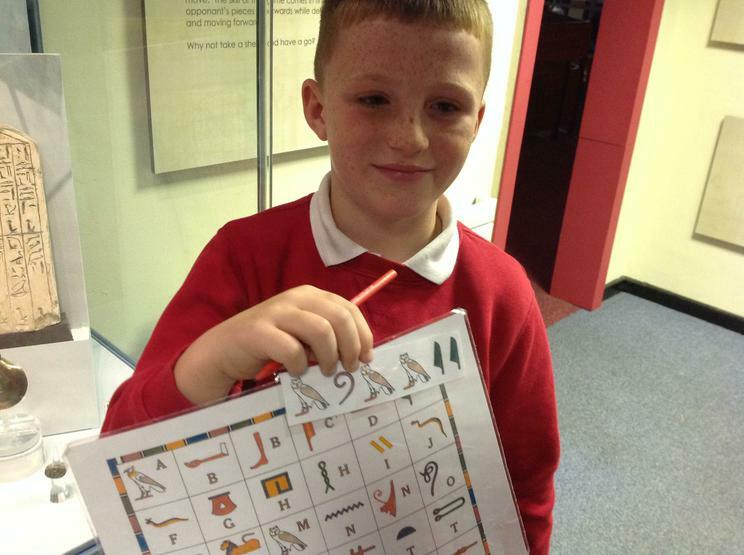 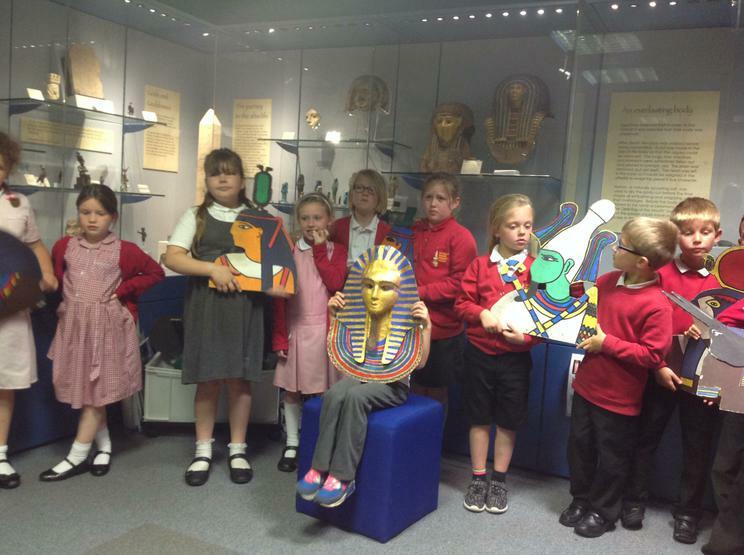 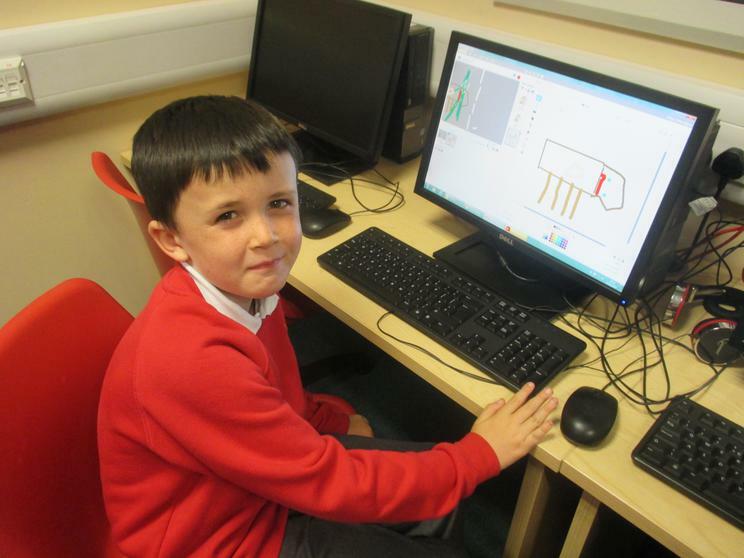 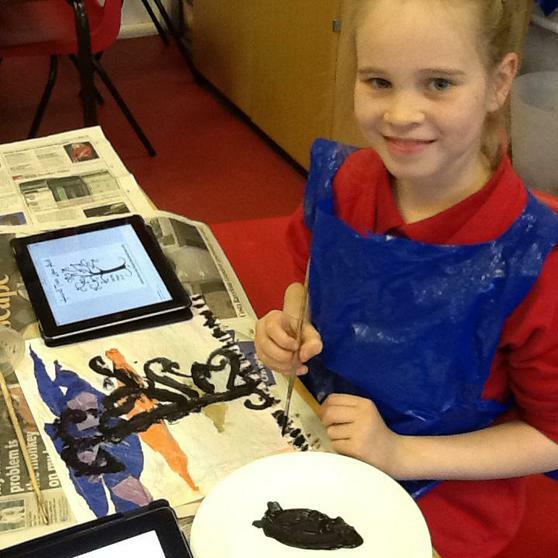 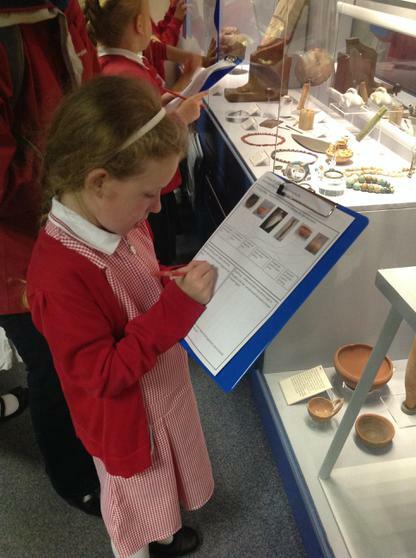 In Art, we have been writing our names, as well as messages, using ancient Egyptian picture symbols, known as hieroglyphs. 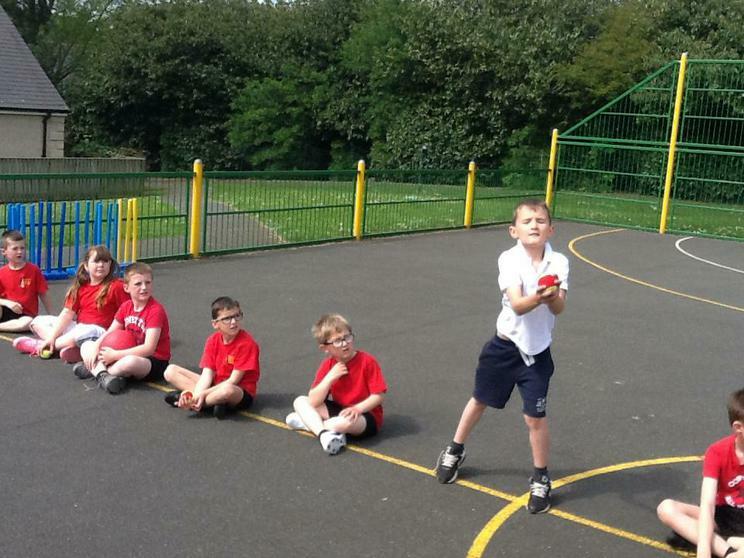 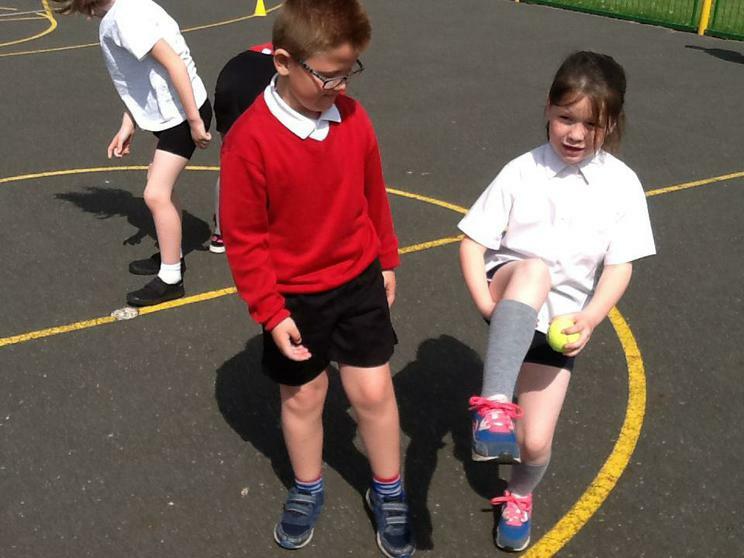 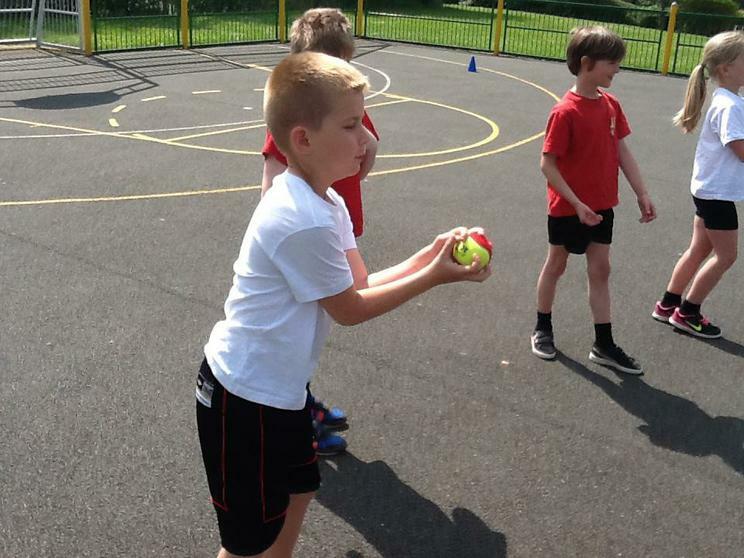 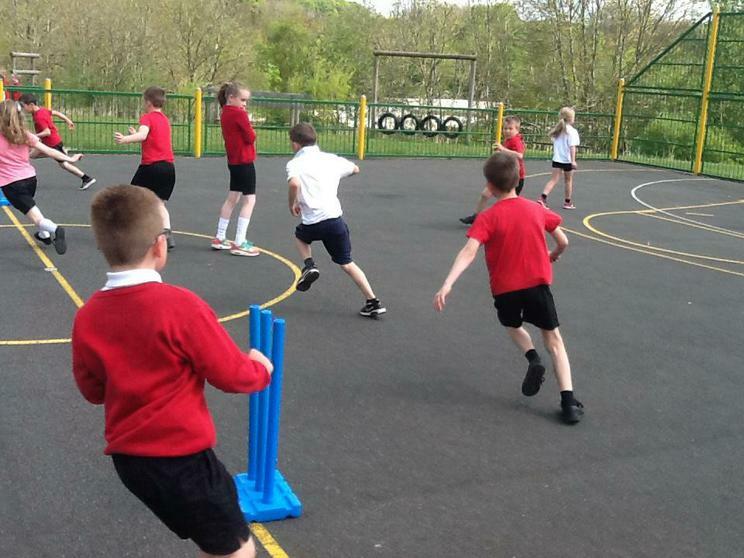 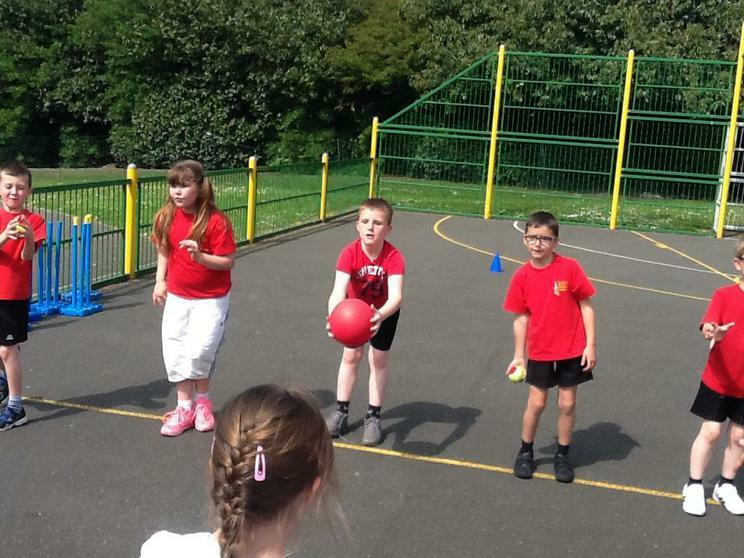 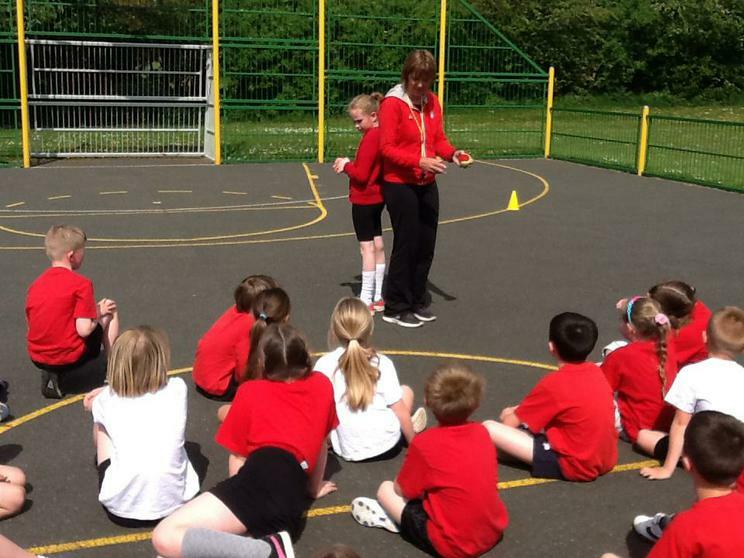 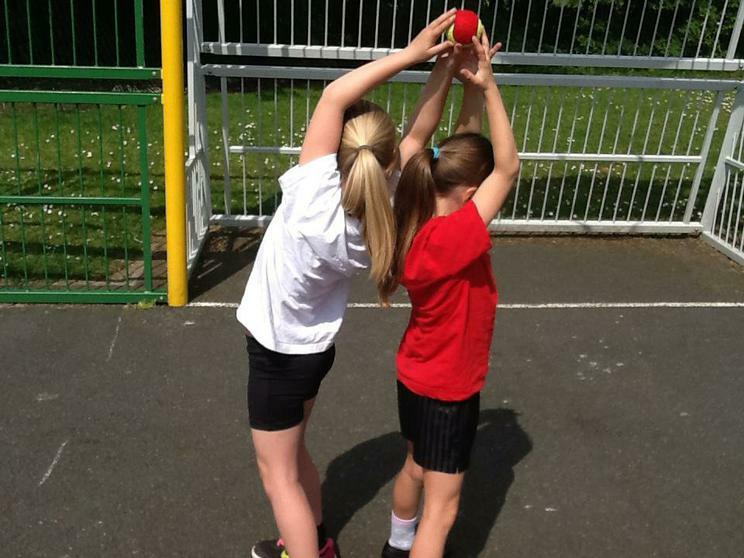 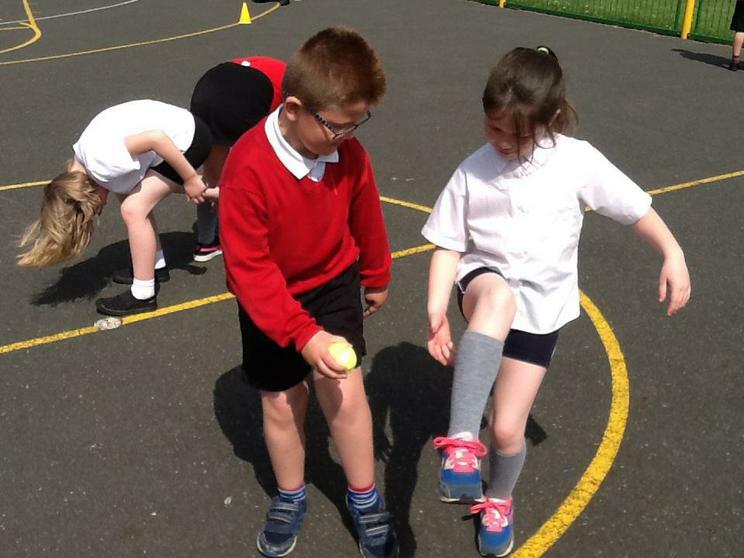 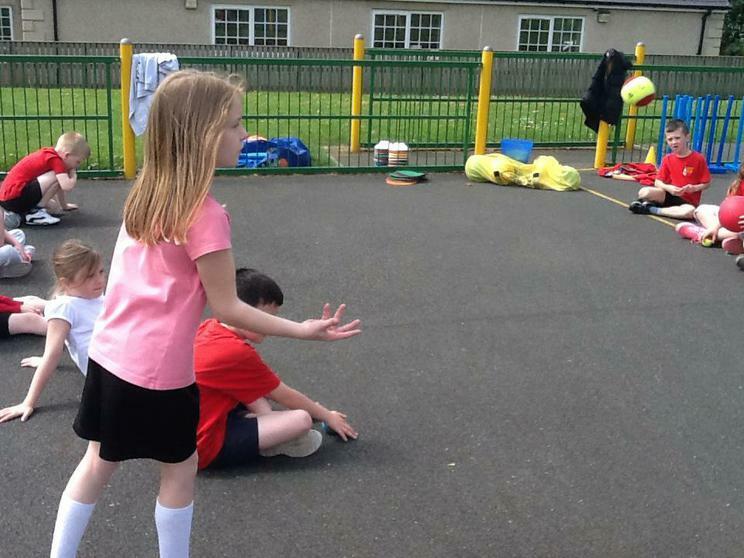 During PE, Mrs Marshall has been helping us to practise the throwing and catching skills necessary for sports such as rounders and cricket. 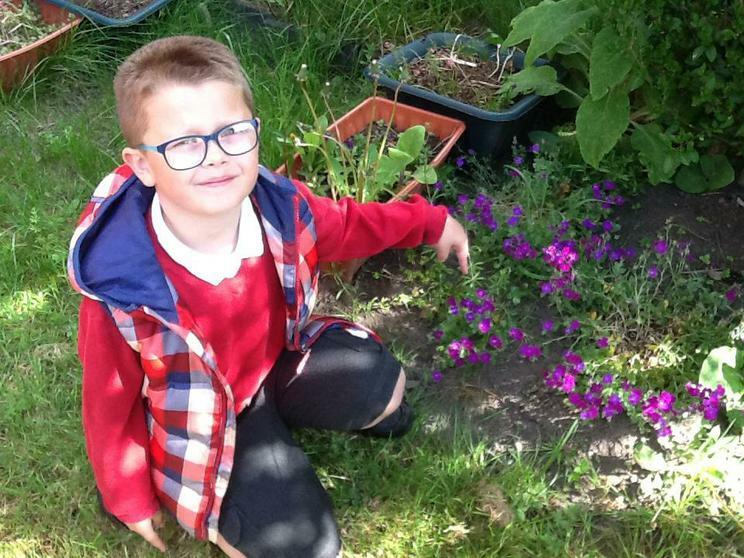 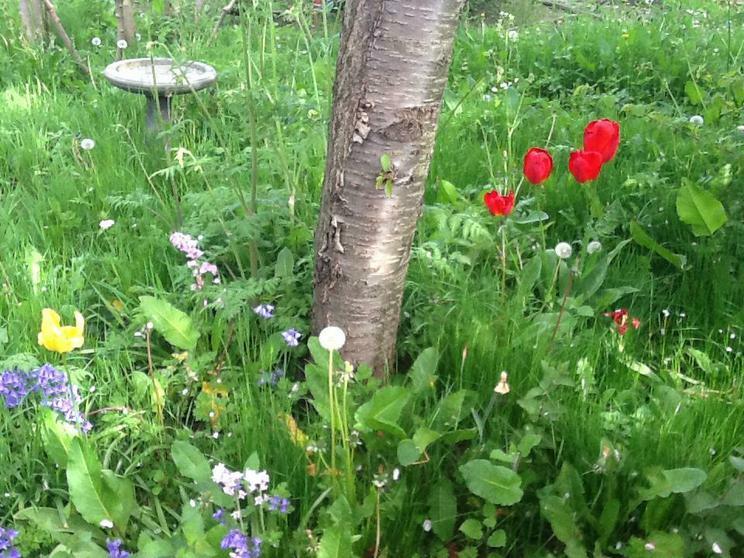 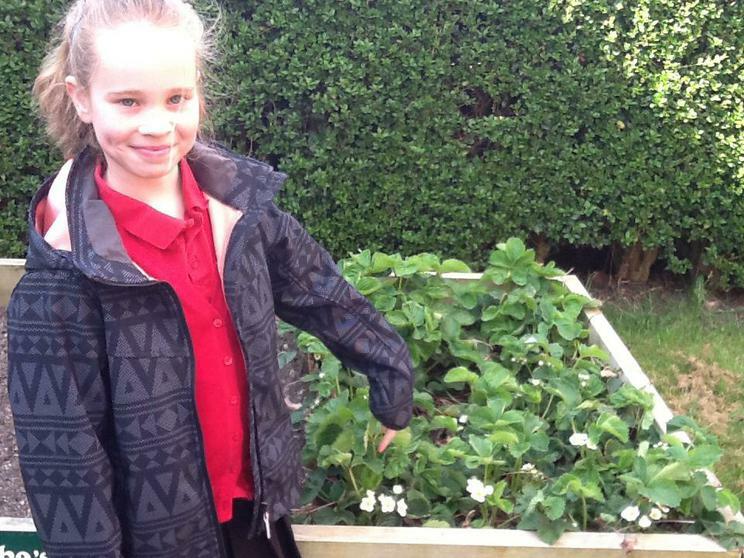 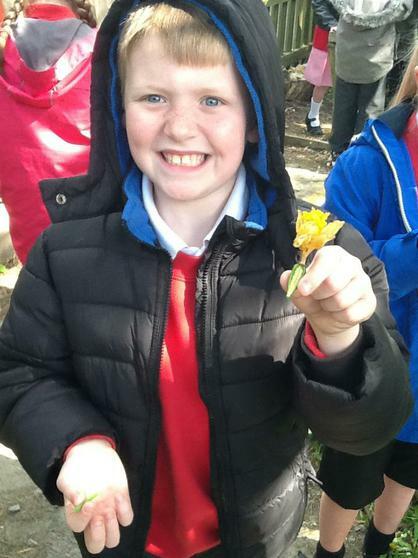 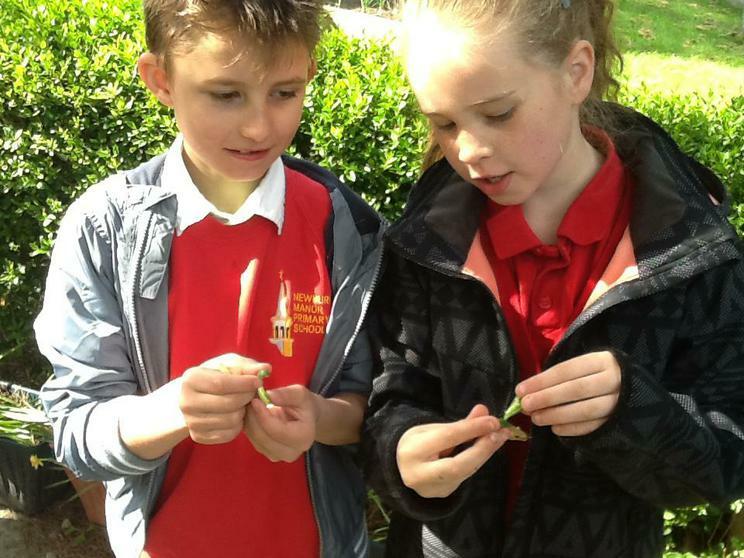 In Science, we have been studying the parts of flowering plants and their functions, the conditions affecting plant growth and plants as living things. 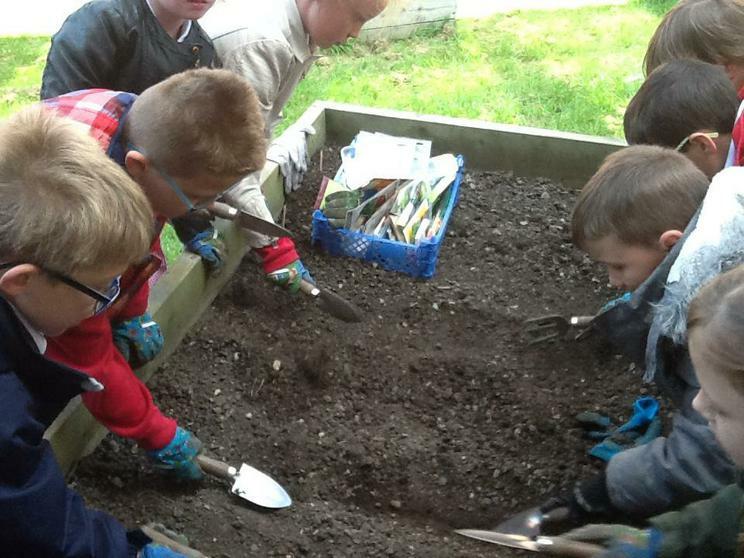 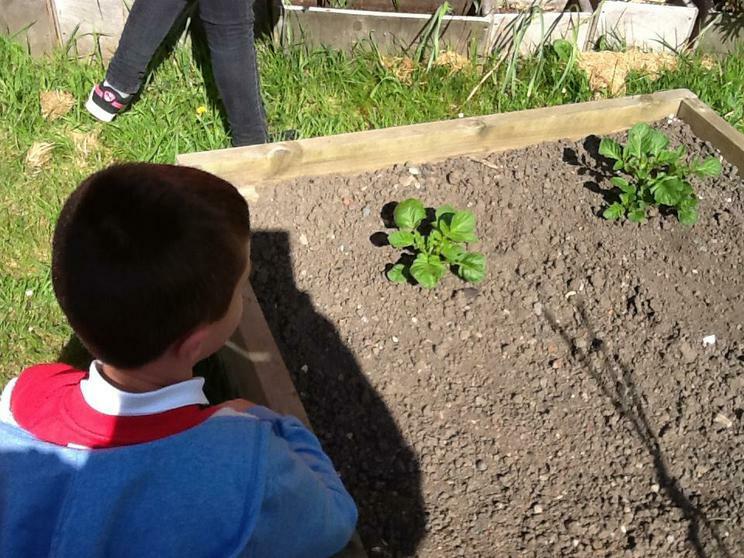 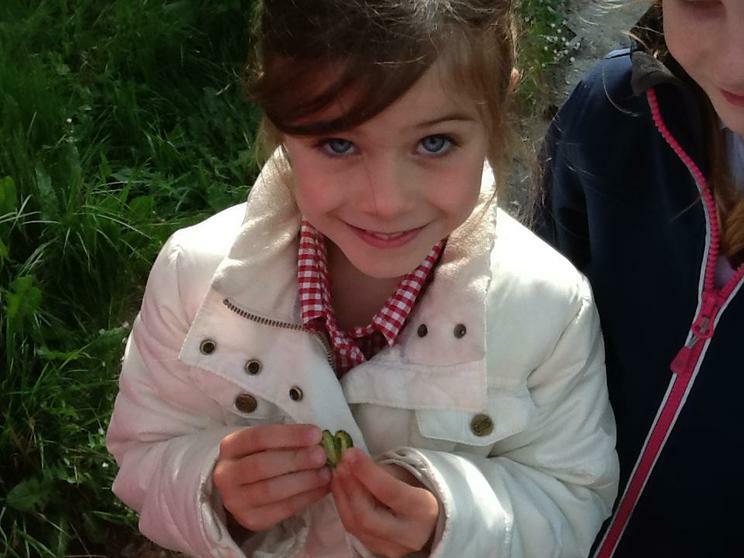 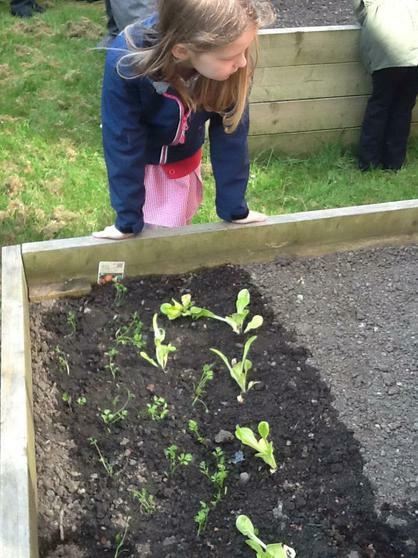 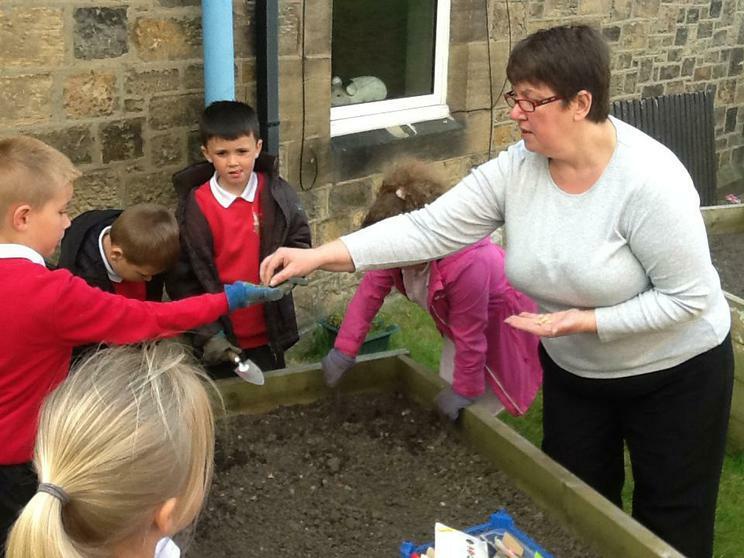 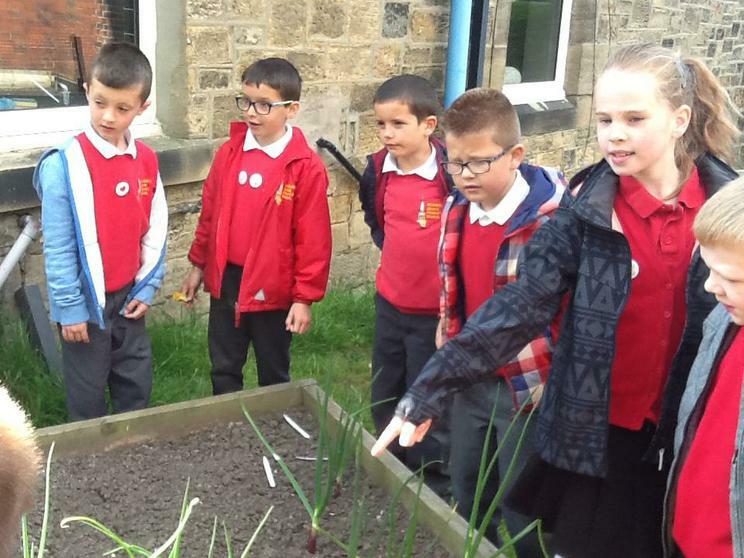 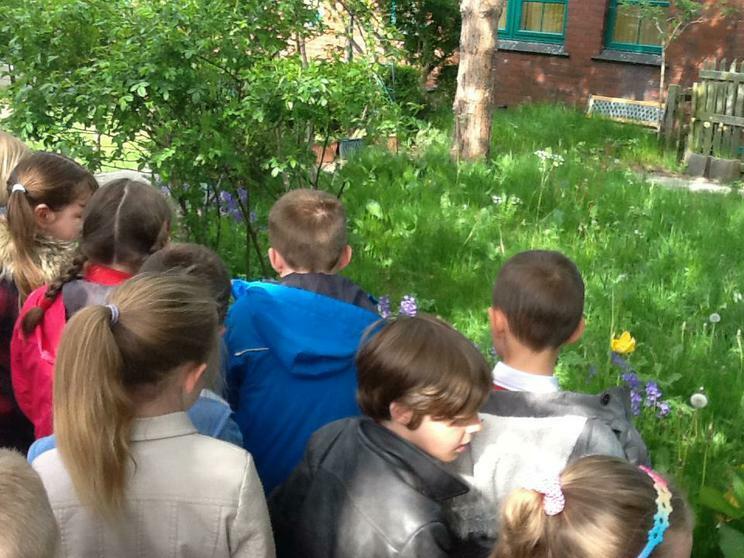 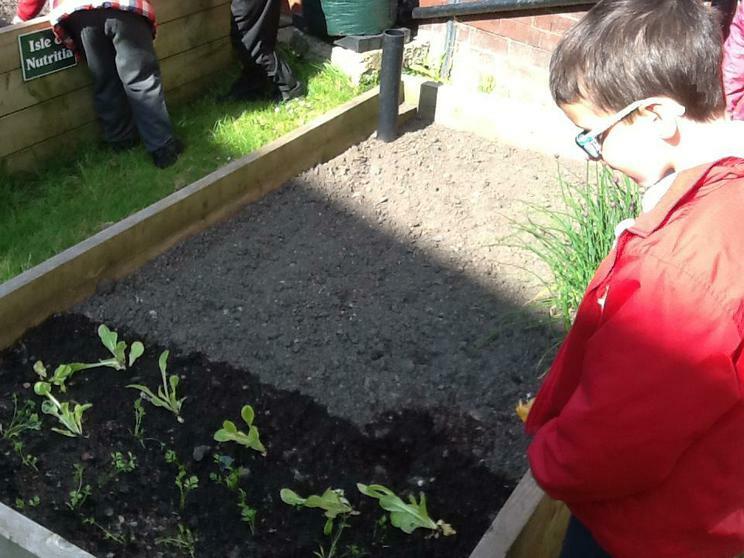 Mrs Lester (a school volunteer) took us into the school garden so we could investigate how seeds are formed, disperse and germinate, as part of the plant life cycle. 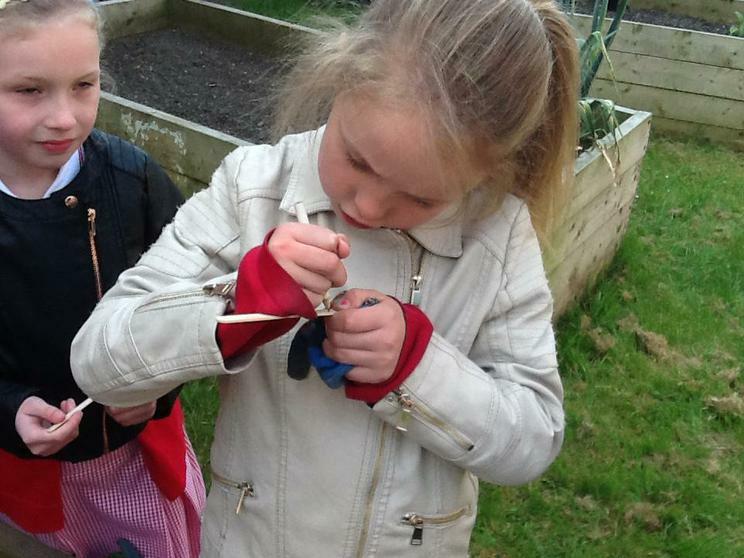 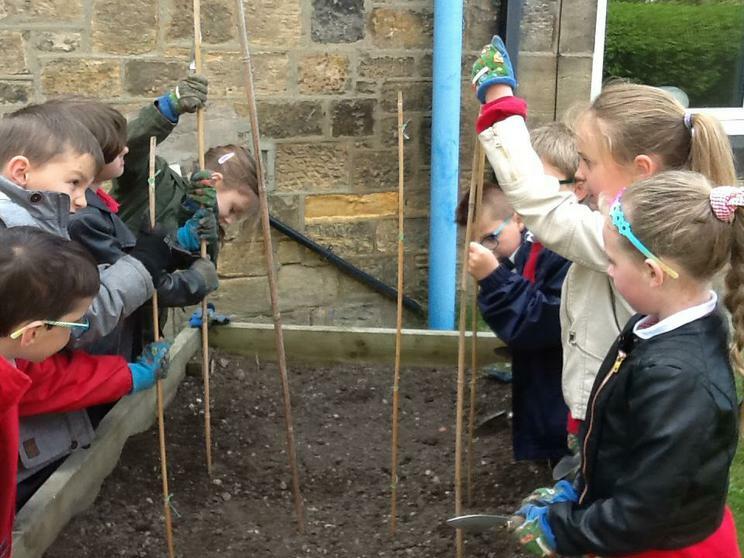 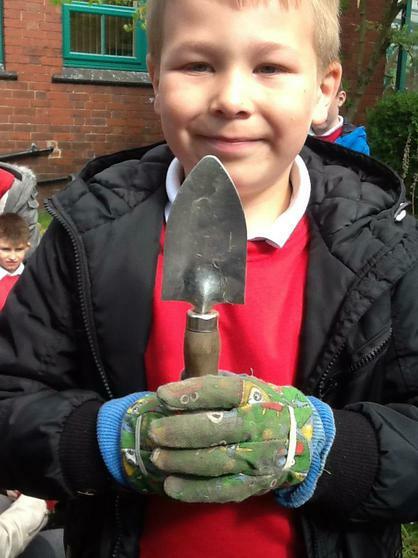 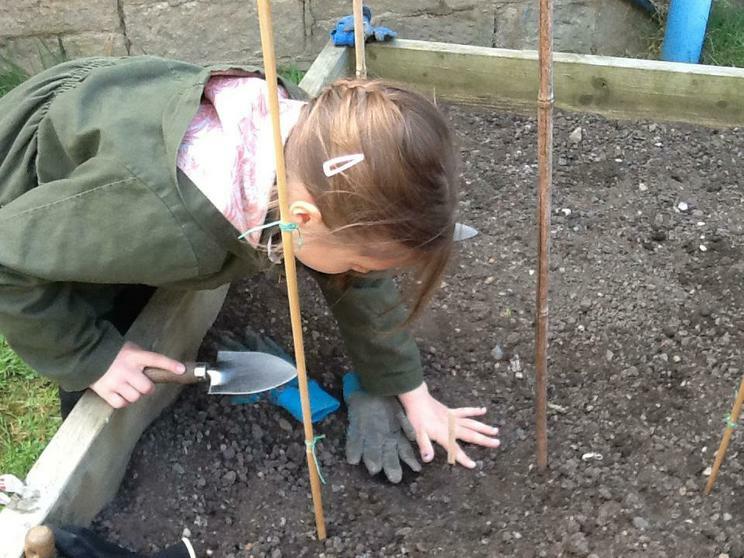 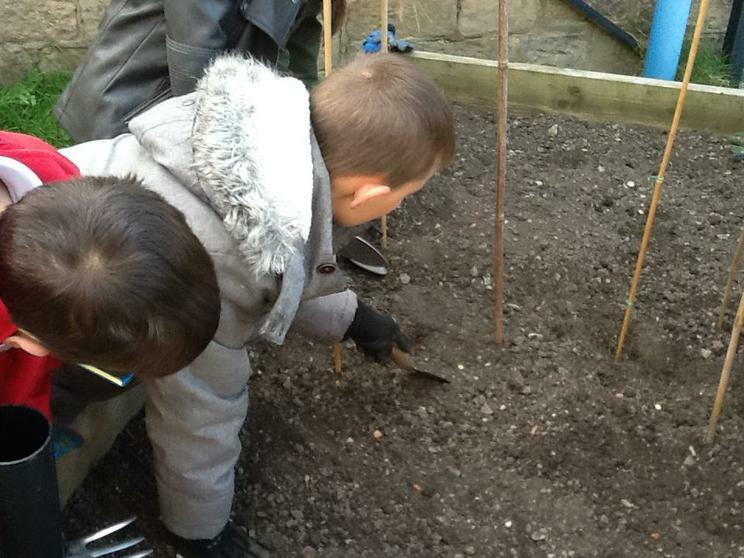 We even sowed some seeds ourselves! 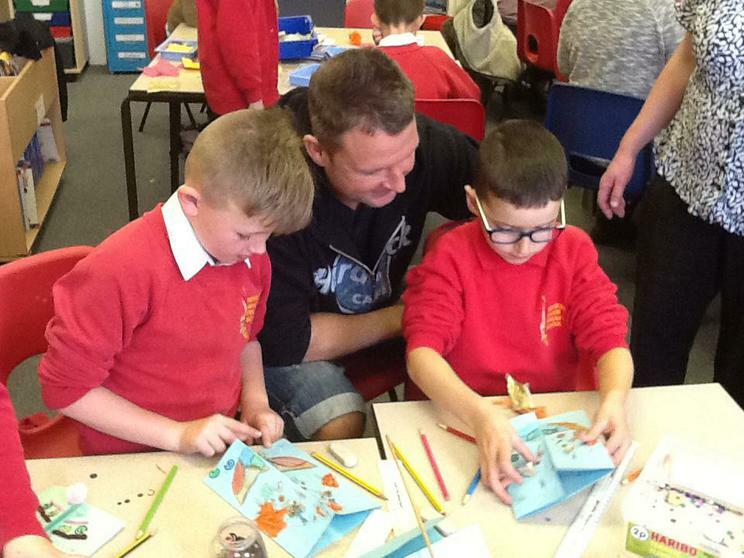 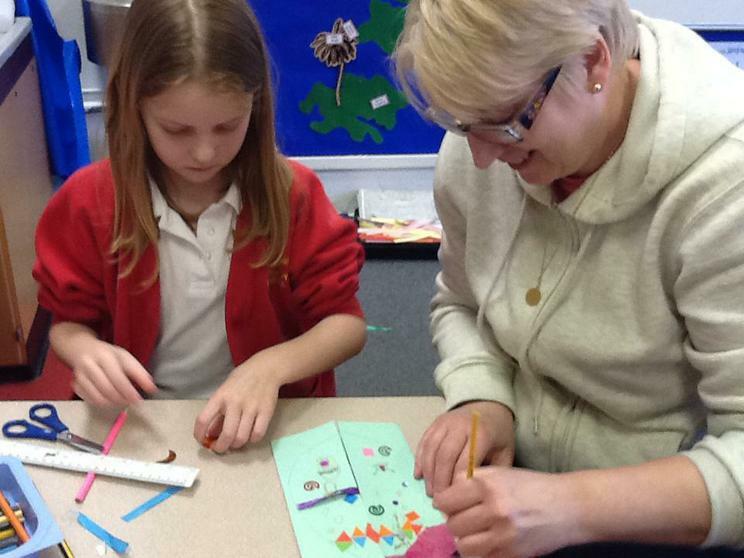 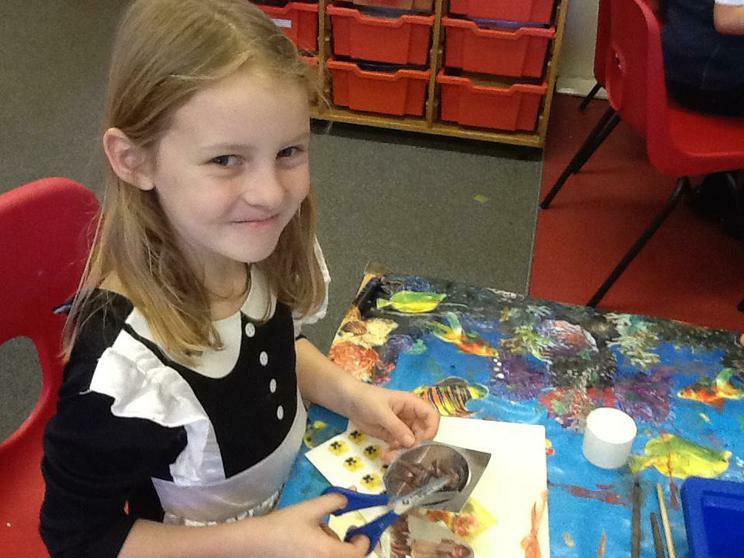 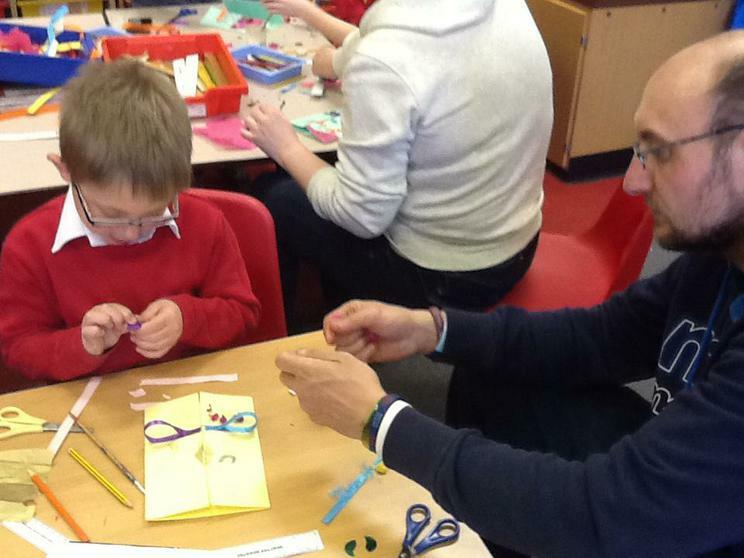 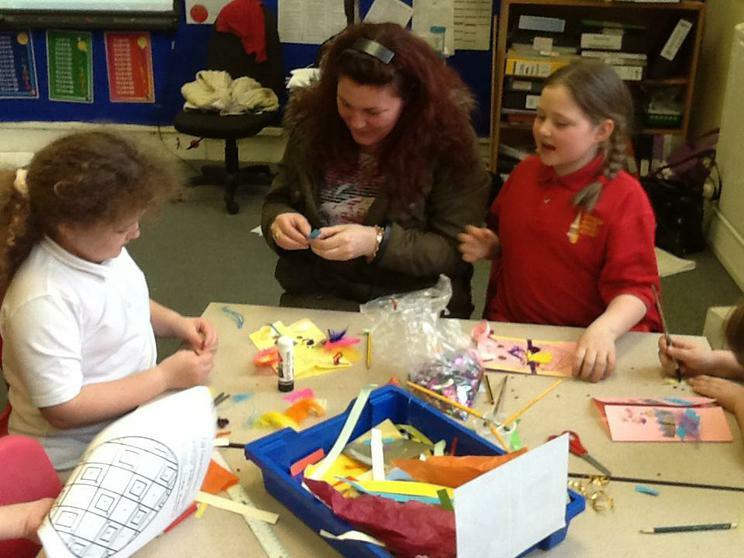 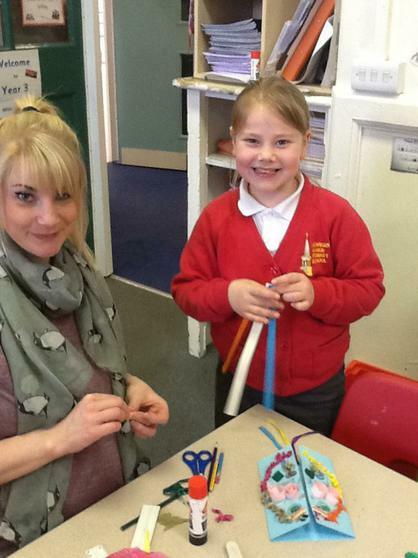 We were delighted when parents and carers came to join us in the classroom for an afternoon of seasonal craft activities during the last week of term. 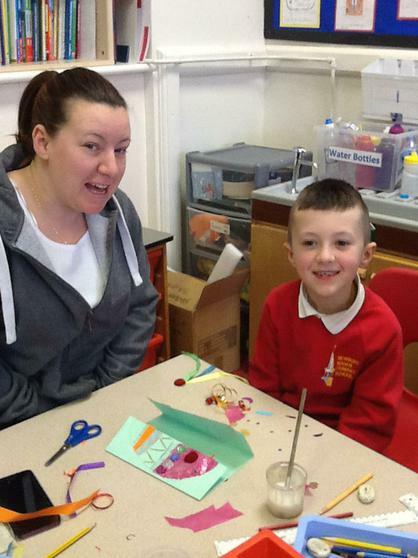 The children had so much fun making Easter goodies! 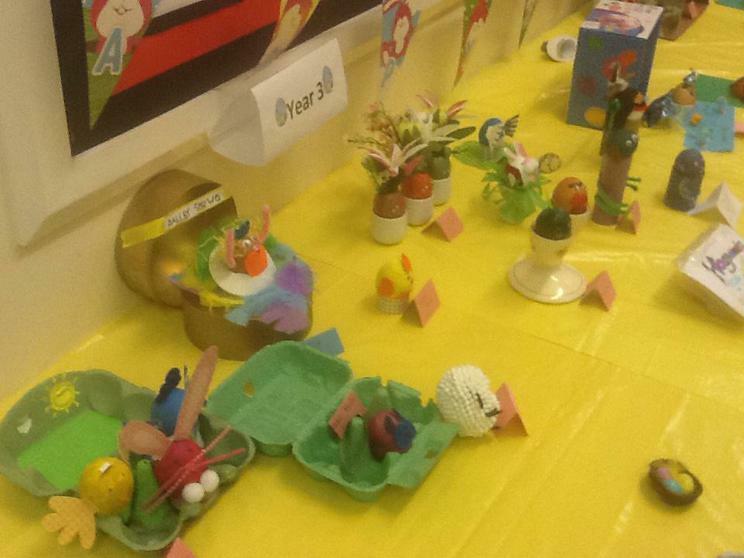 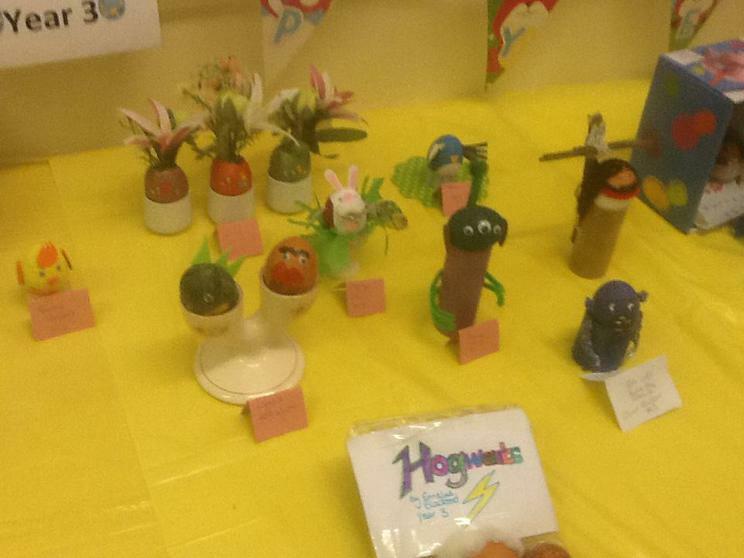 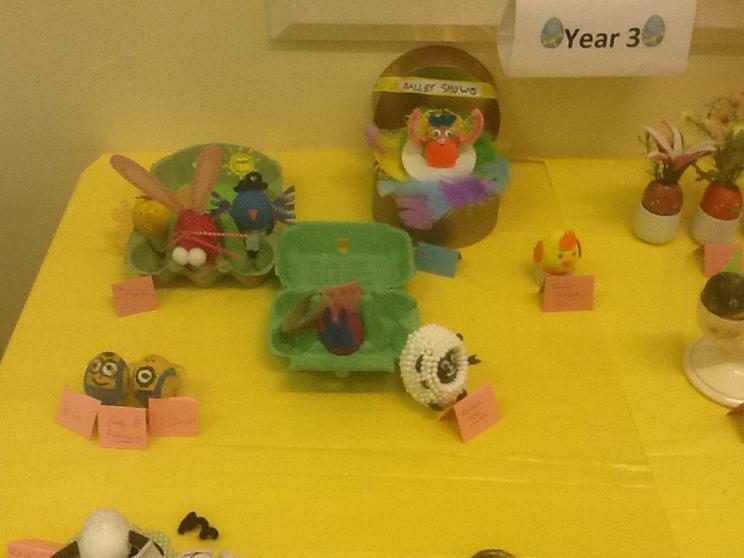 The Easter eggs we had decorated at home were also proudly on display at school for all to see. 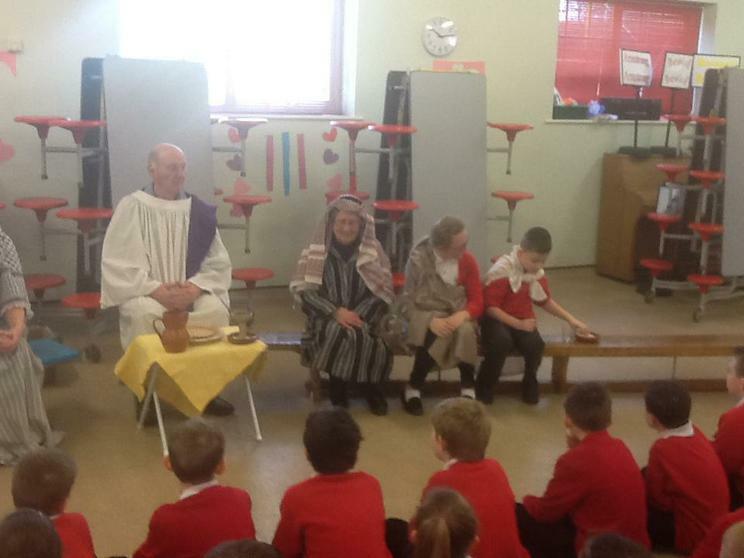 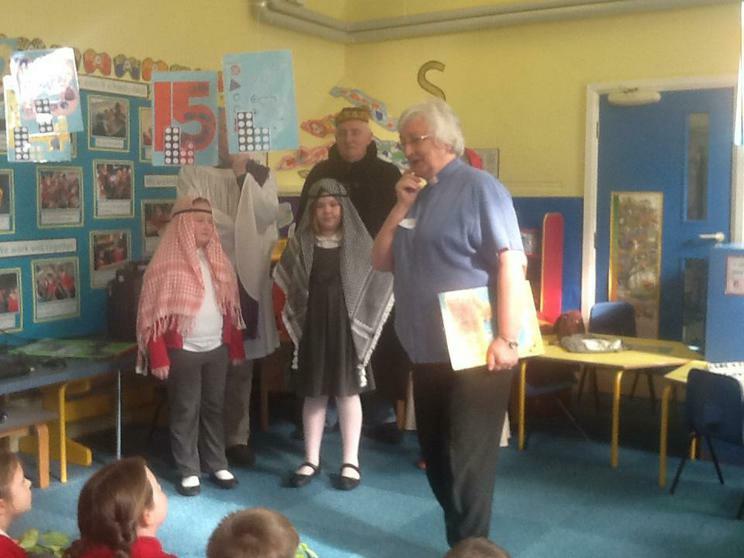 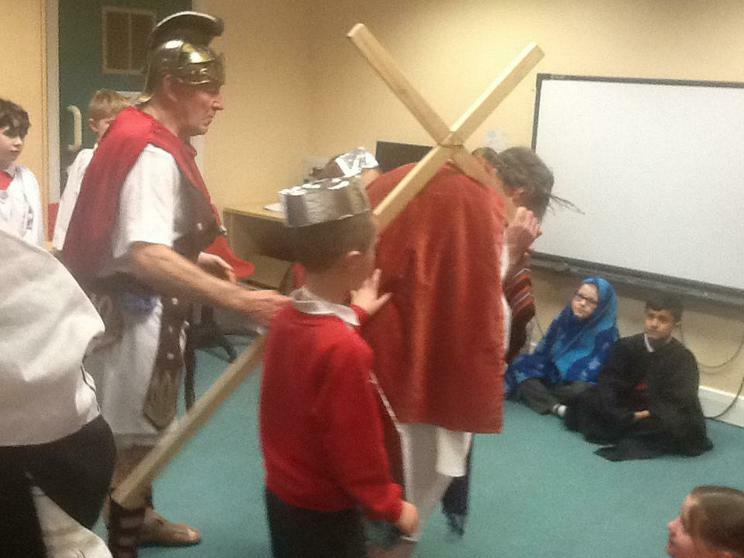 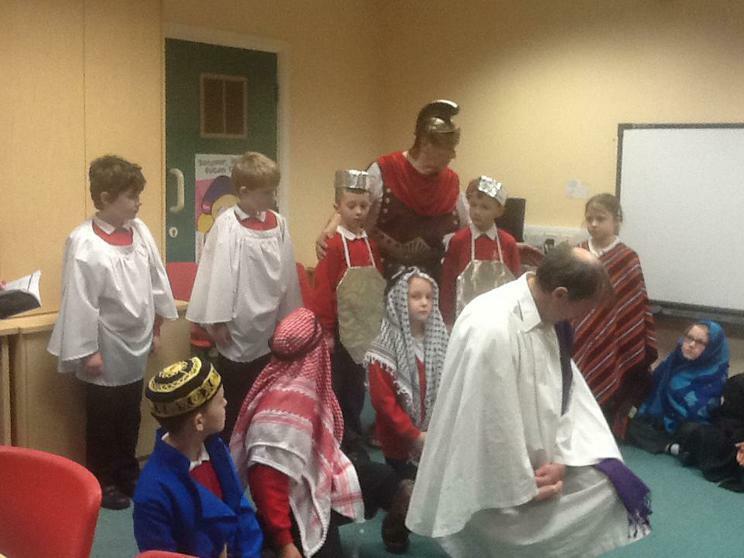 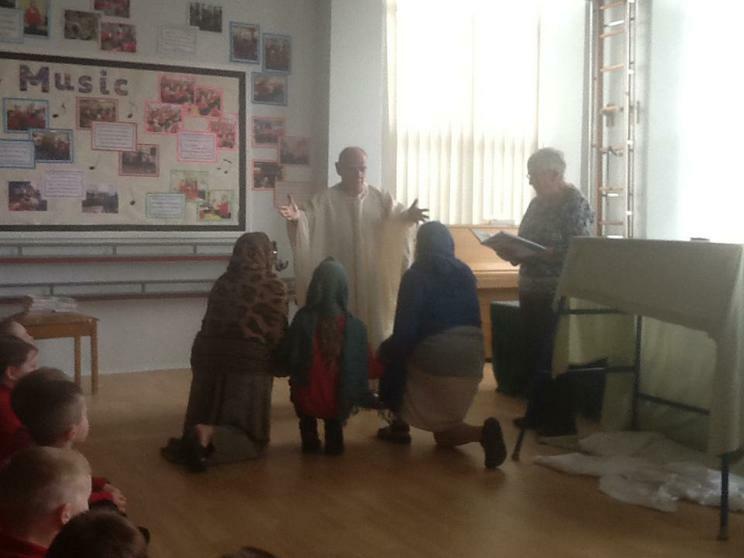 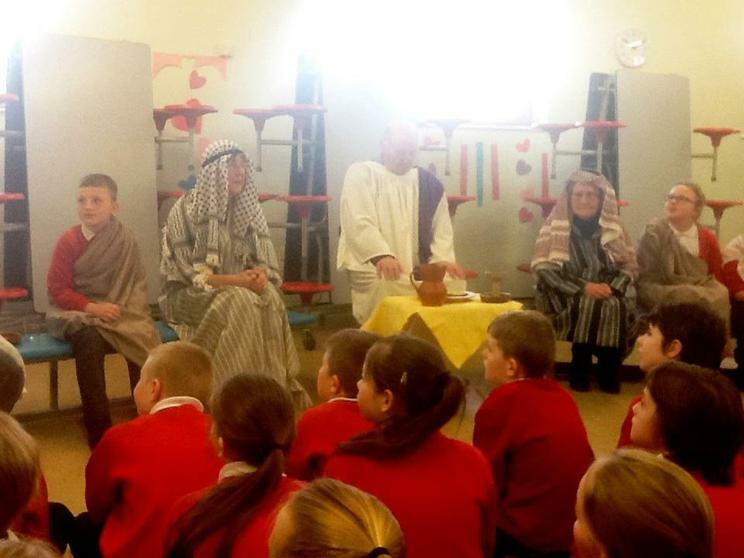 Visitors from the Parish Church of St Michael and All Angels, Newburn and St Mary's Church, Throckley came to tell us stories about the events of Holy Week, during which Christians remember the last week of the life of Jesus. 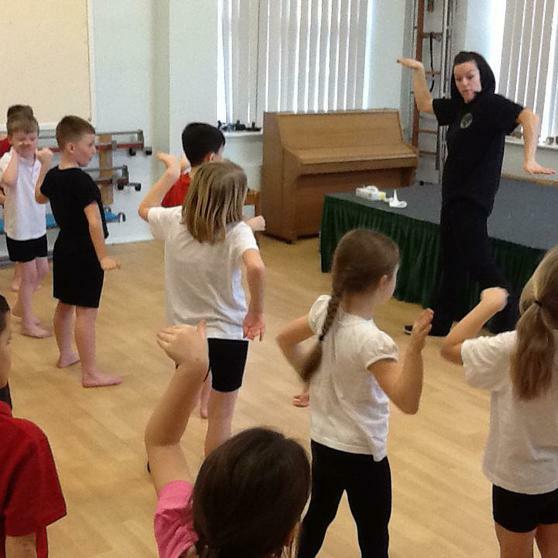 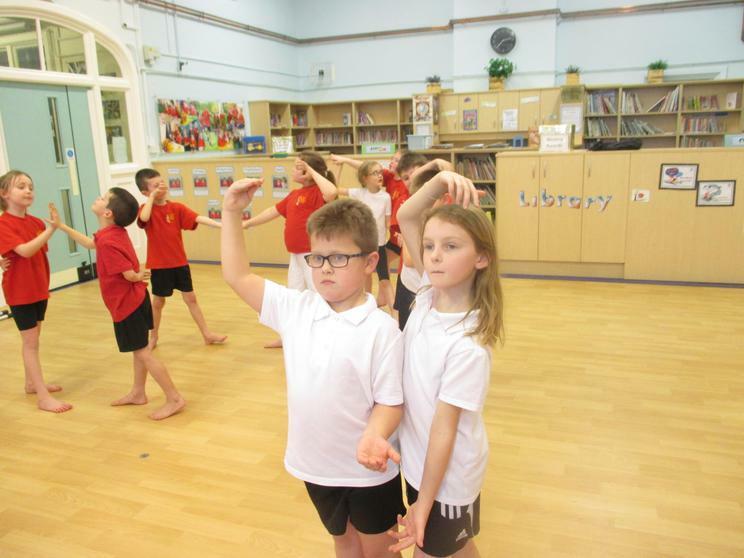 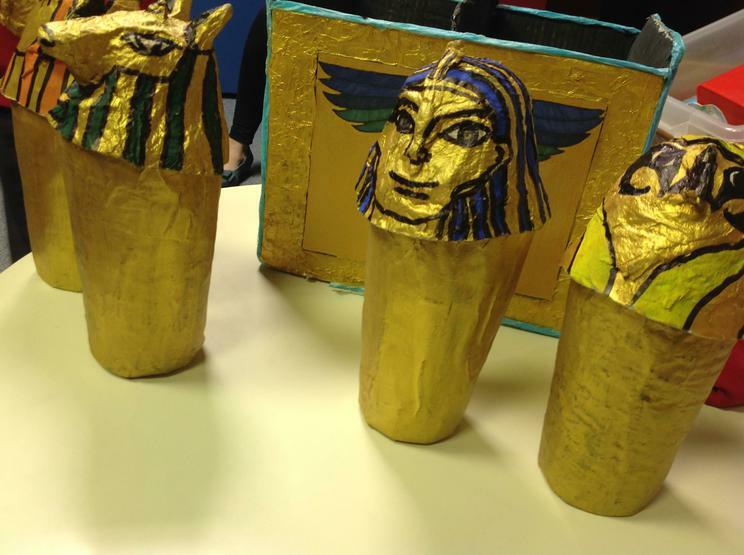 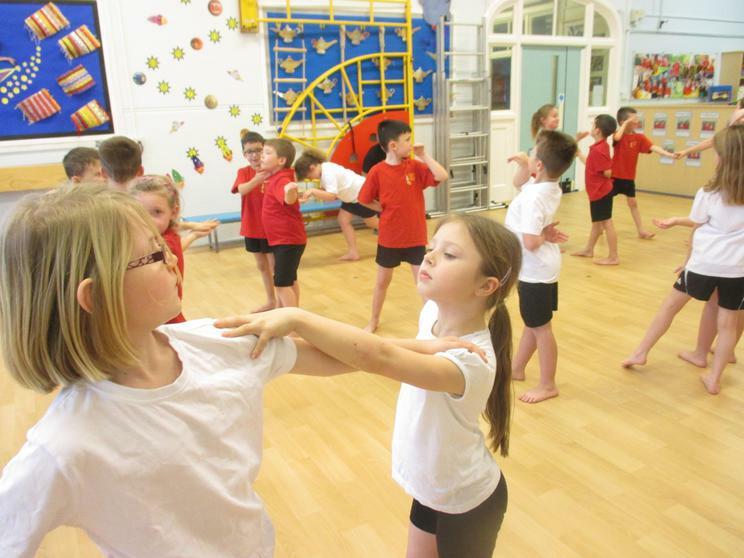 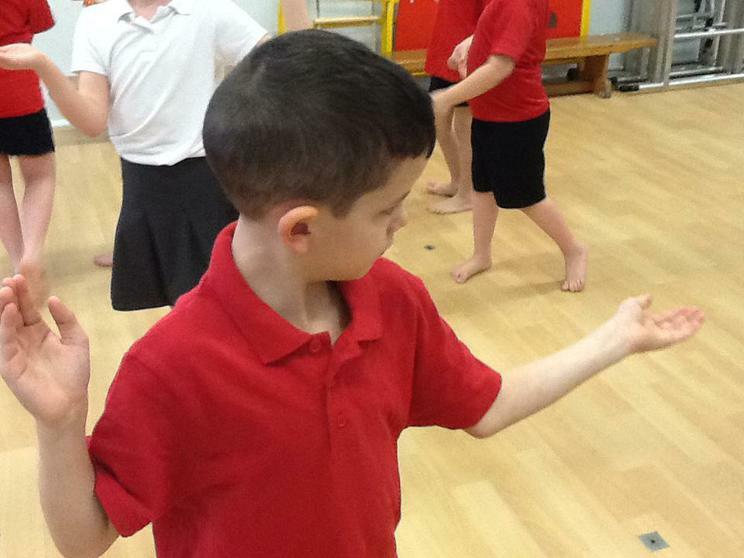 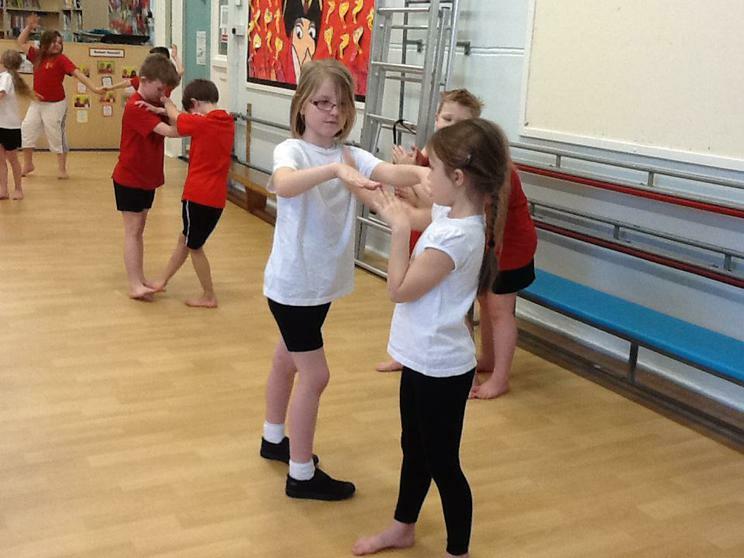 Emma, from In The Limelight (www.inthelimelightltd.com/), has been leading us in learning some Egyptian dance during this half-term, prior to us starting our new topic based on Ancient Egypt. 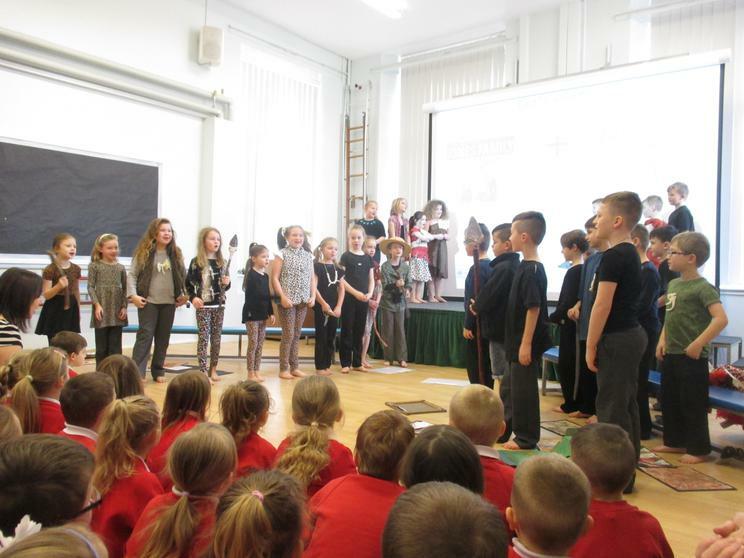 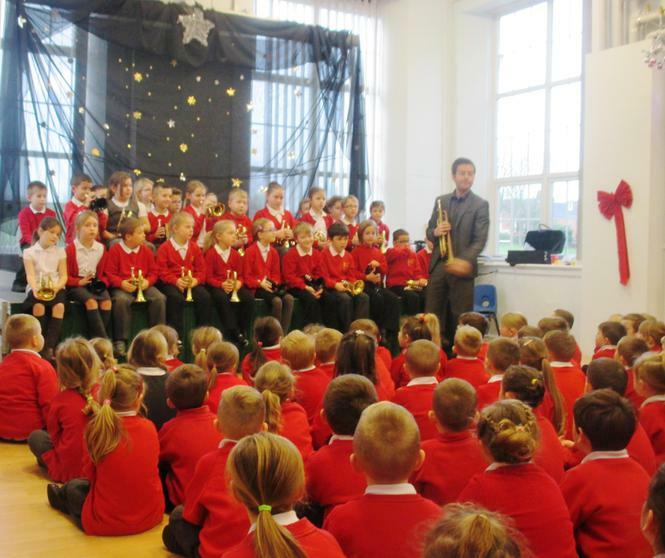 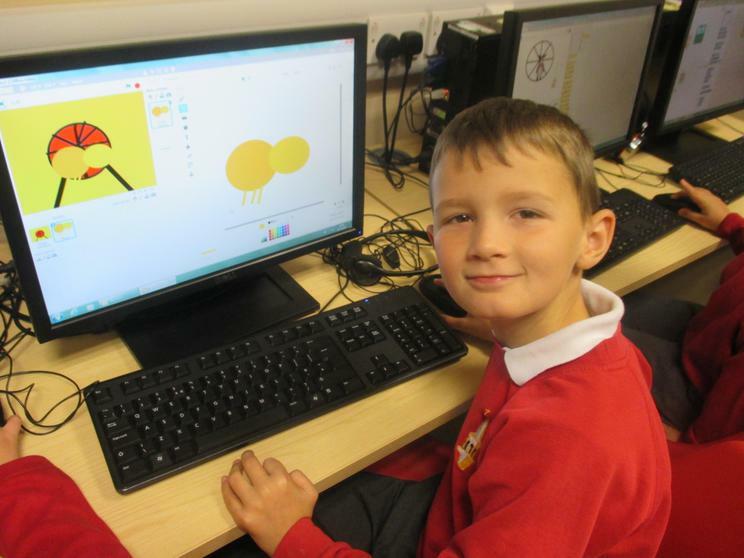 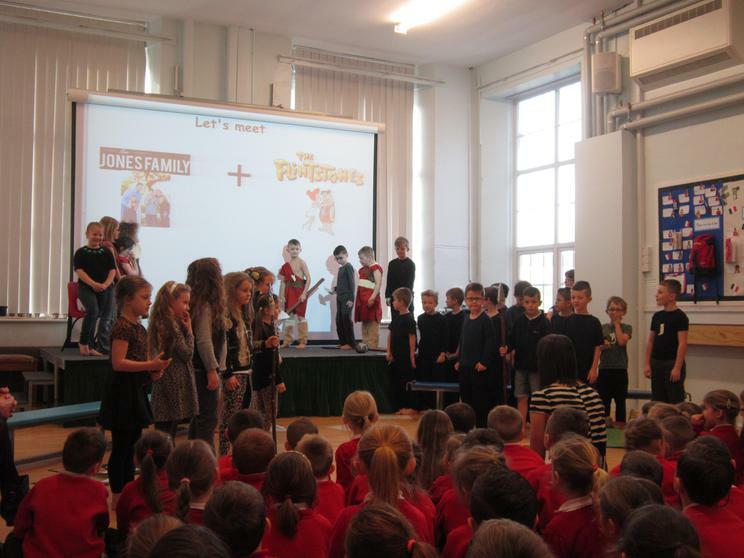 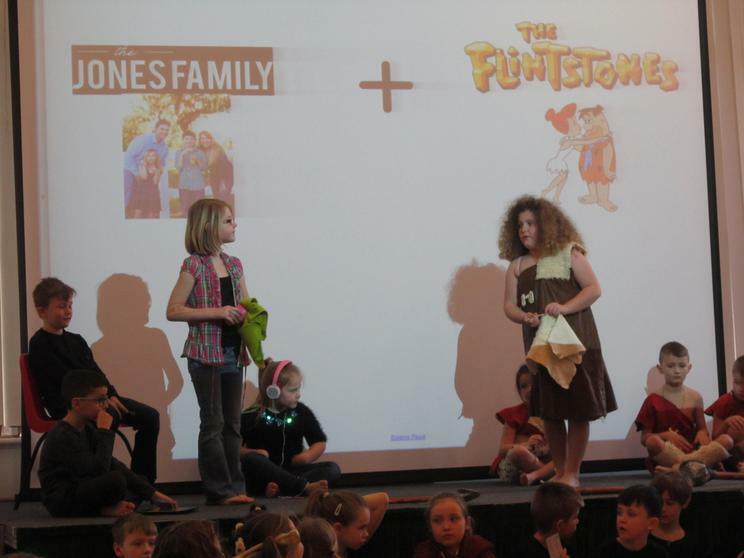 Many thanks to all parents/carers who attended our recent class assembly. 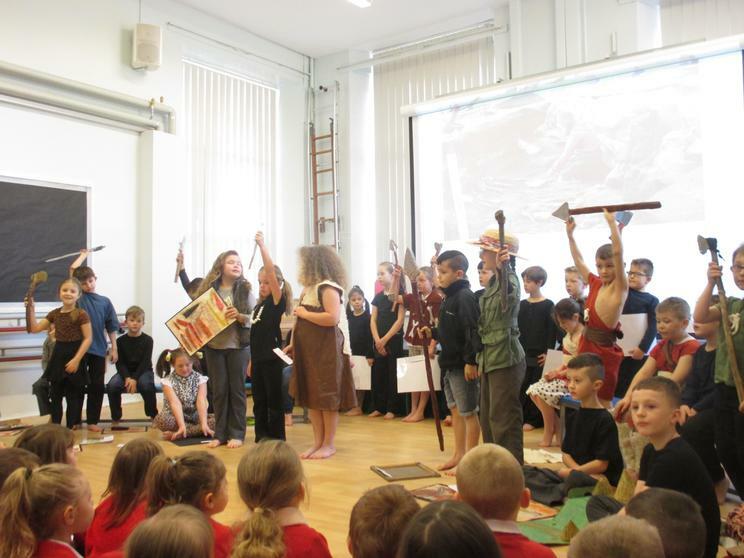 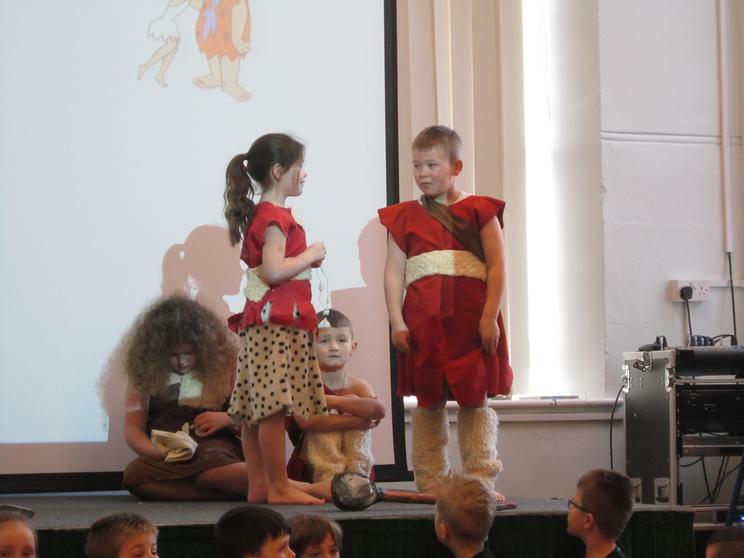 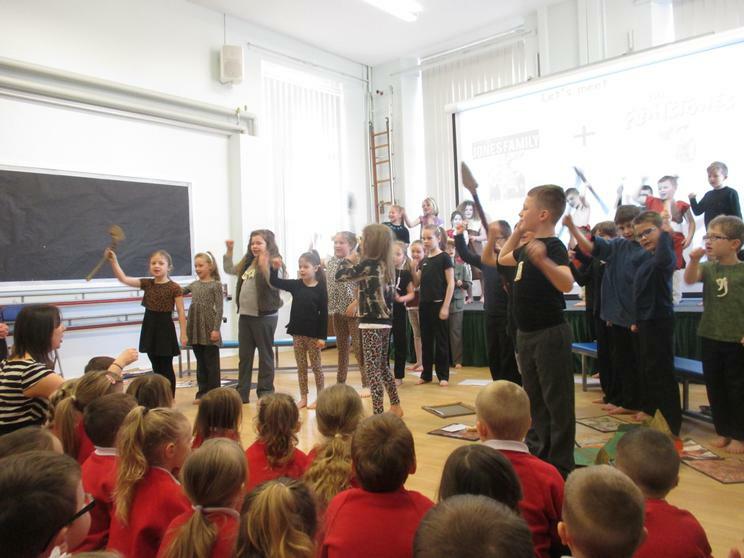 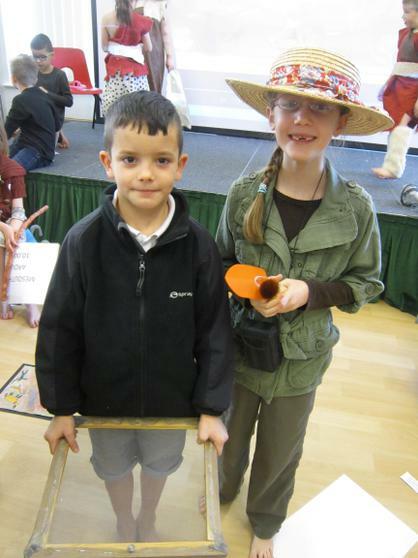 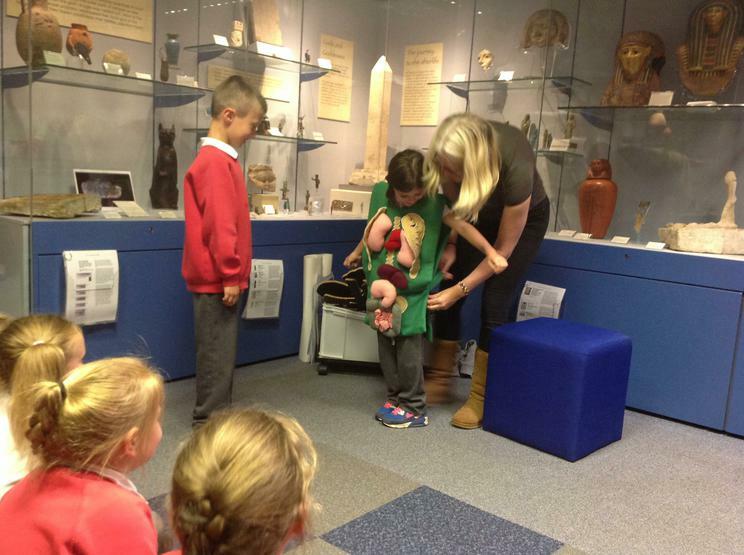 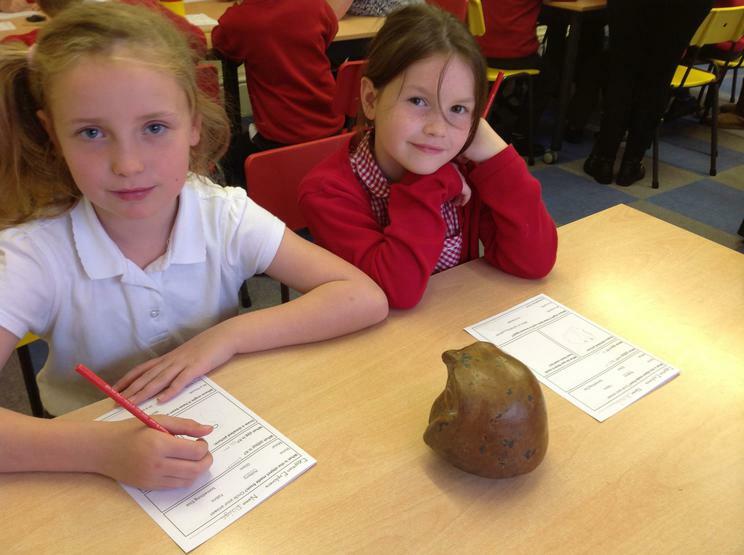 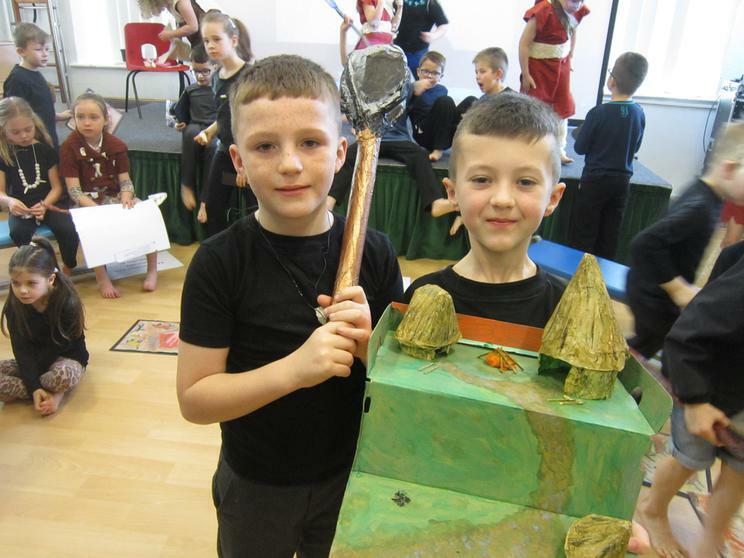 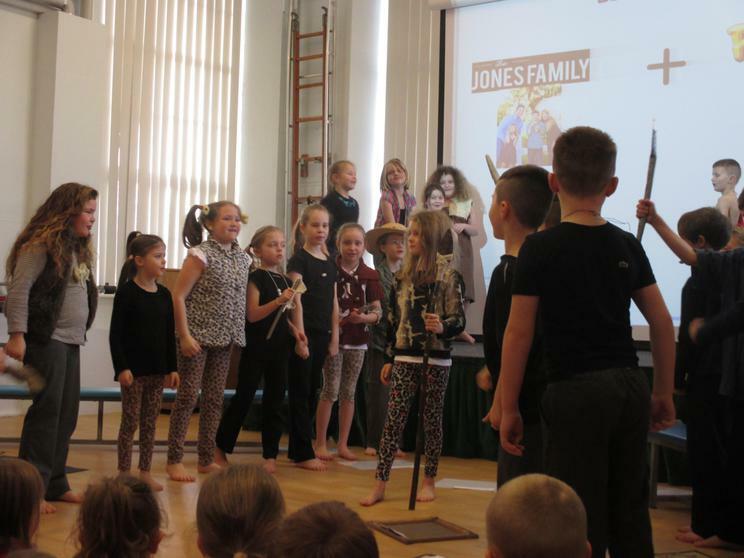 We had great fun presenting the work that we have been doing around our Stone Age topic and we hope you enjoyed watching! 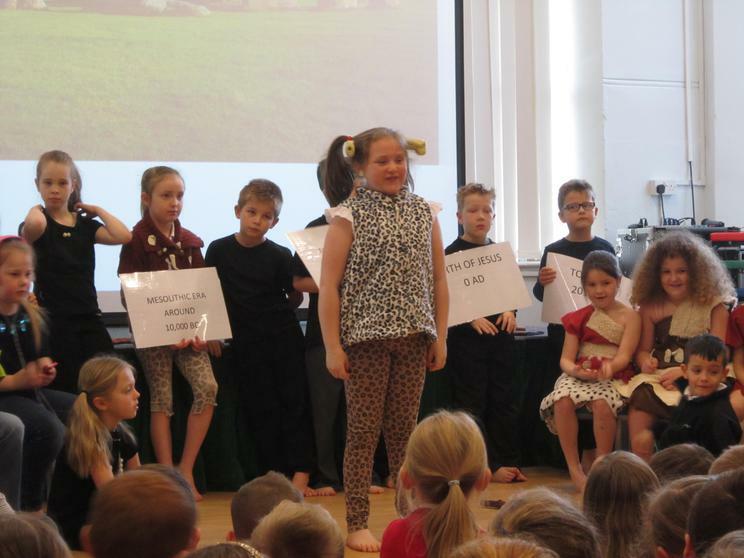 Here are some photos and a video slideshow from the assembly. 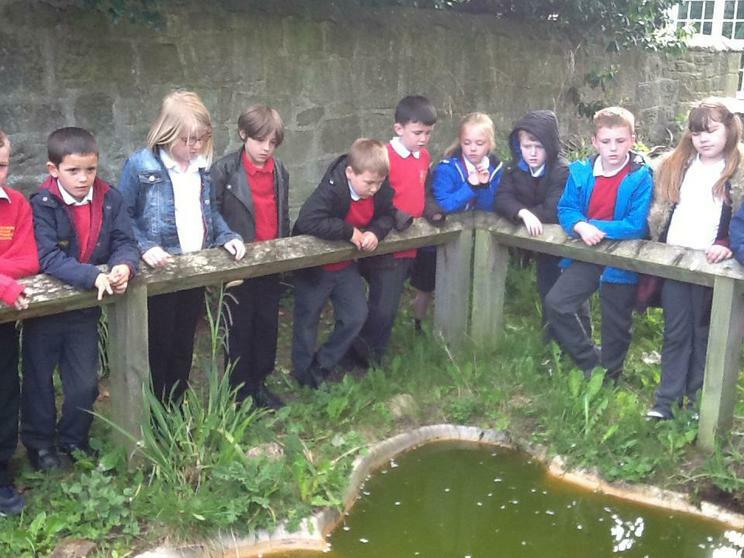 We were delighted when Ray from Kielder Water Birds of Prey Centre brought some of his birds to visit us at school. 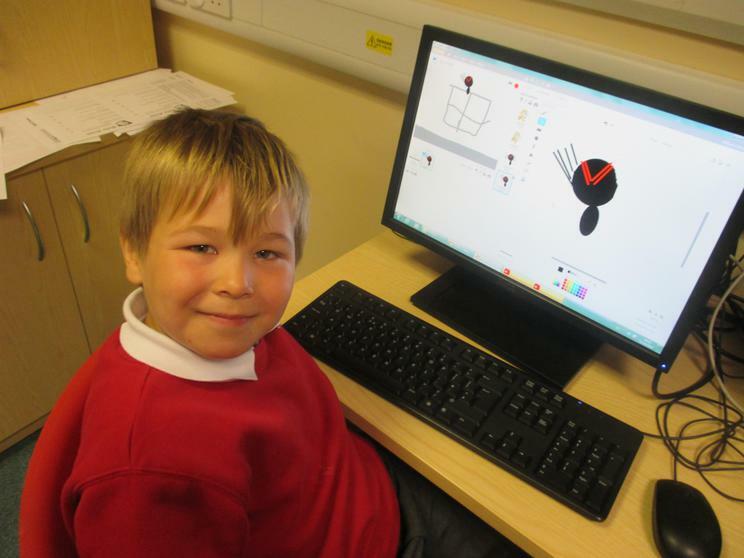 He showed us several different breeds of owls and a vulture. 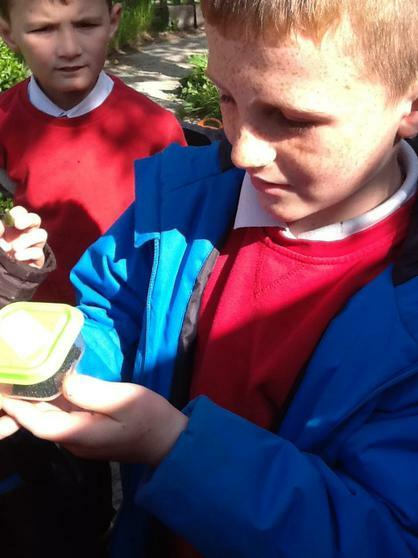 Some of us got a chance to handle them and we all learned lots of amazing facts about these wonderful creatures. 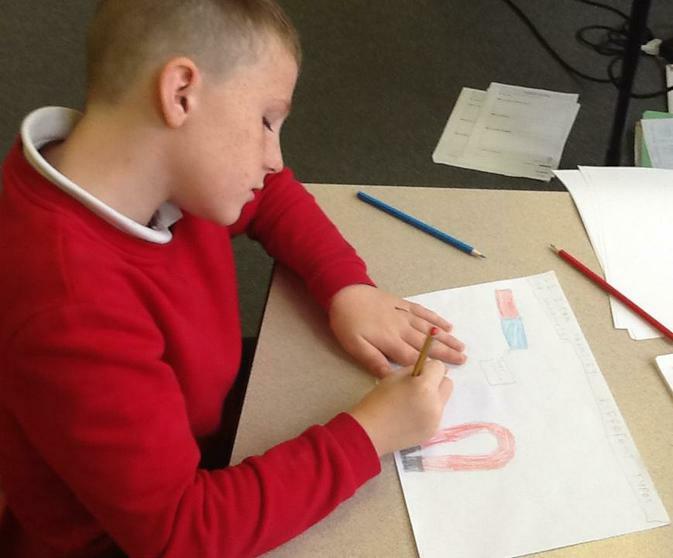 We found out about some of the different ways The Salvation Army helps people in need in Newcastle upon Tyne. 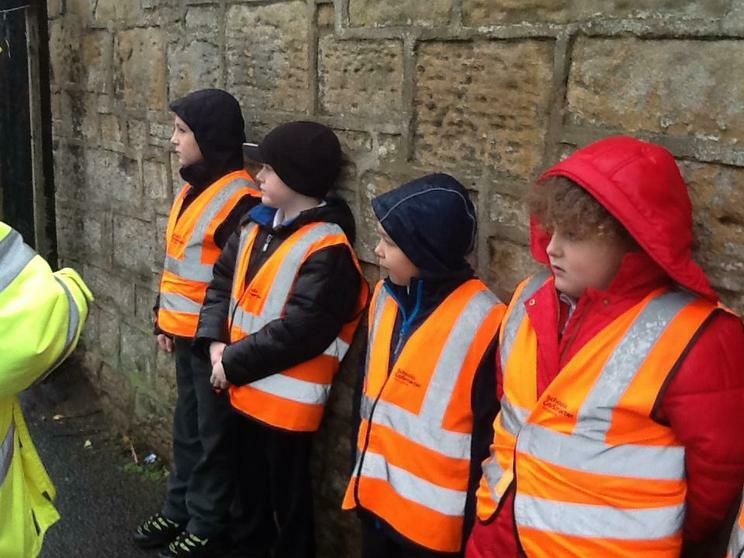 In Newburn, The Salvation Army collects unwanted clothes to raise money. 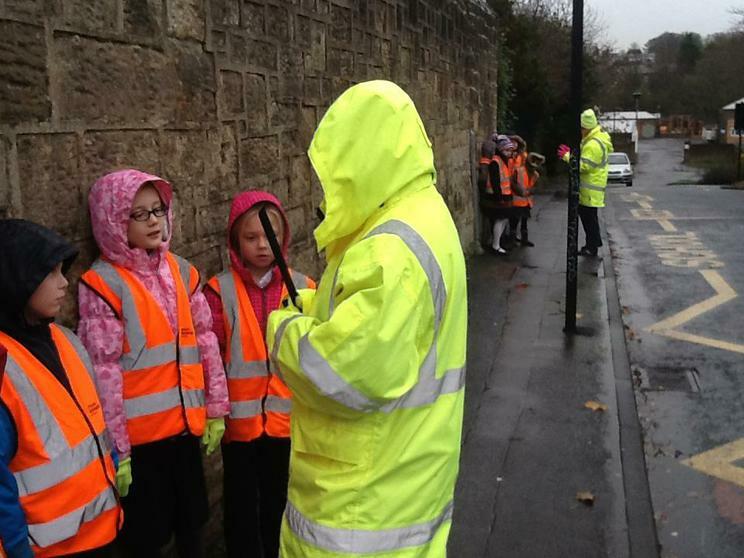 They also send out information about how we can help the homeless. 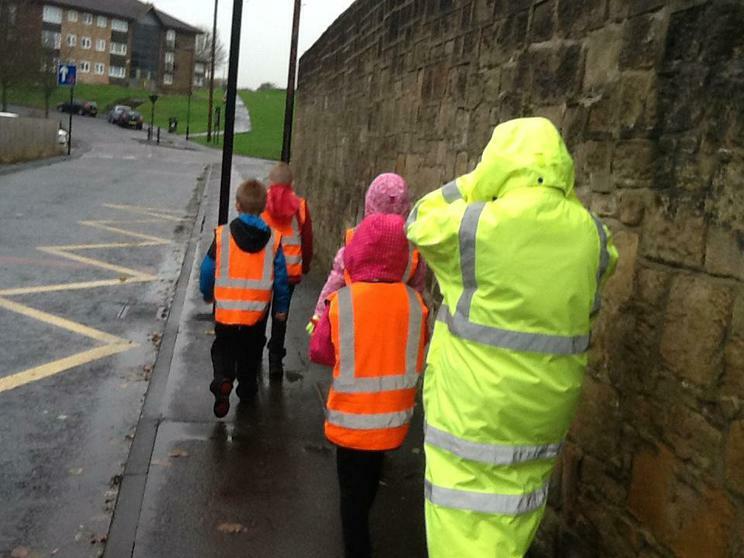 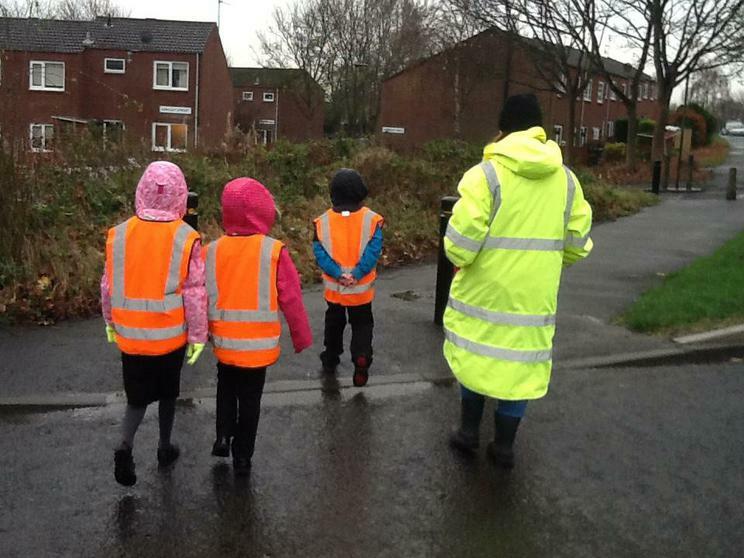 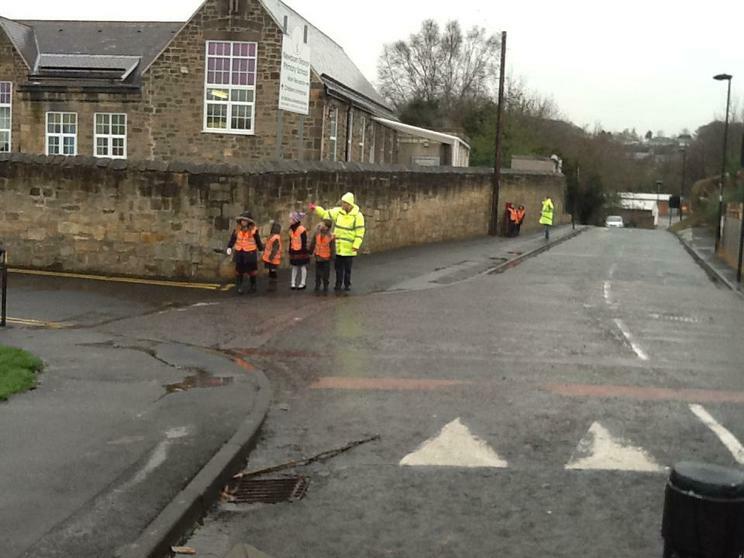 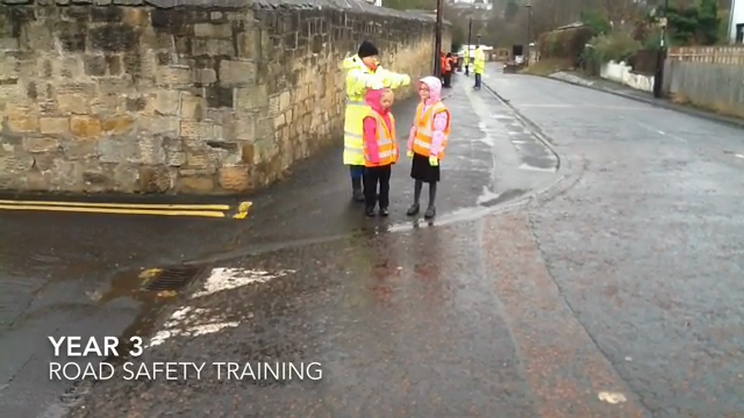 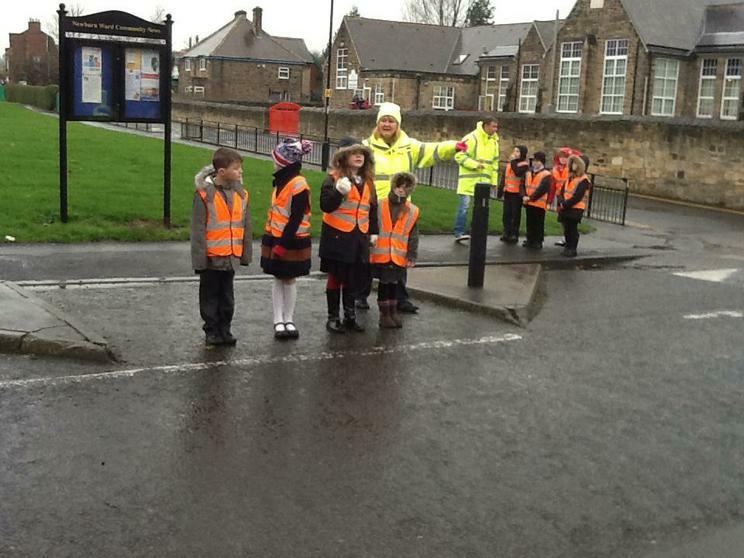 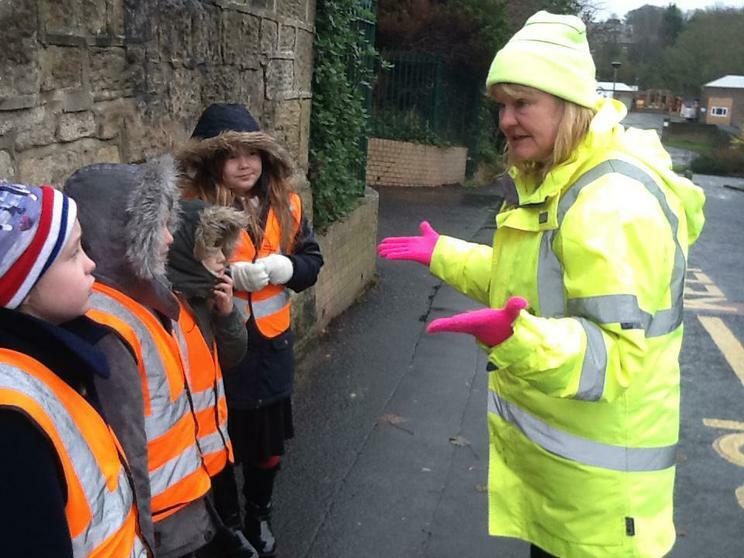 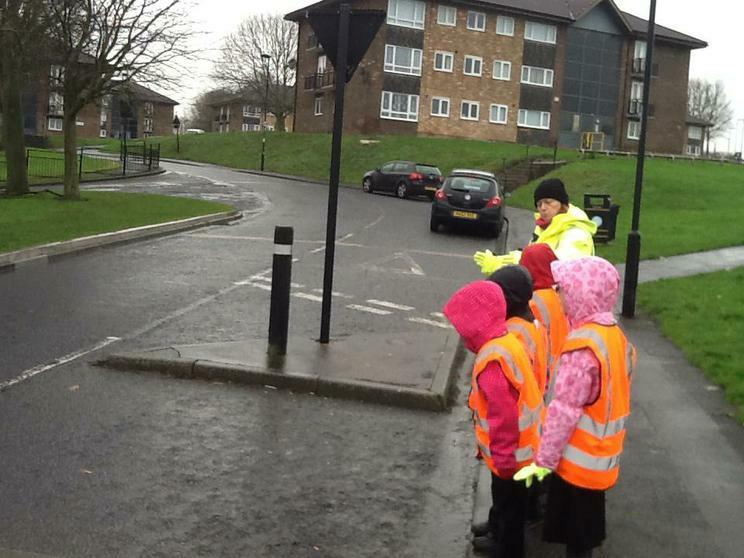 As part of the WalkSmart Pedestrian Training scheme, visitors from Newcastle City Council came to help us refresh our knowledge of the Green Cross Code and discuss the road markings and junctions around school. 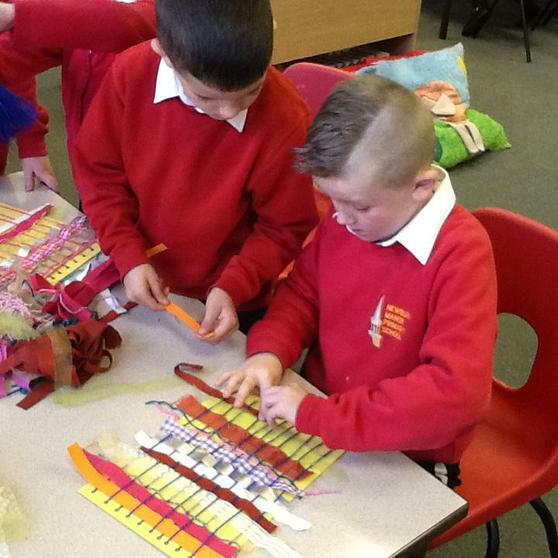 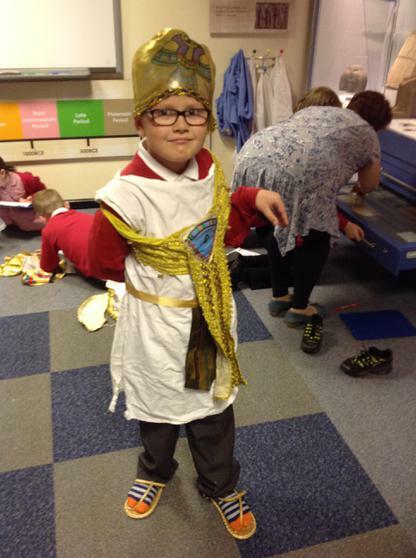 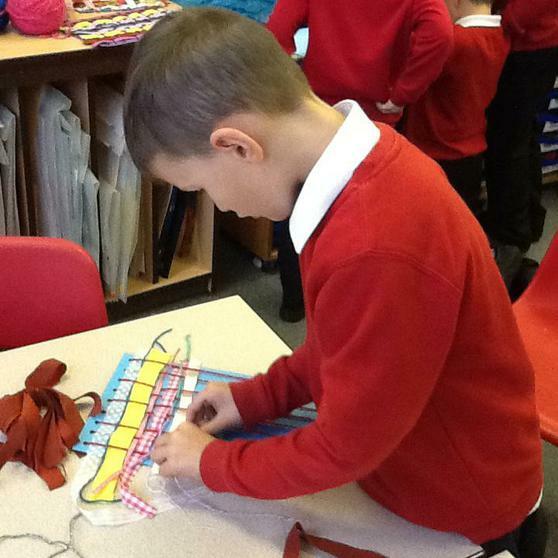 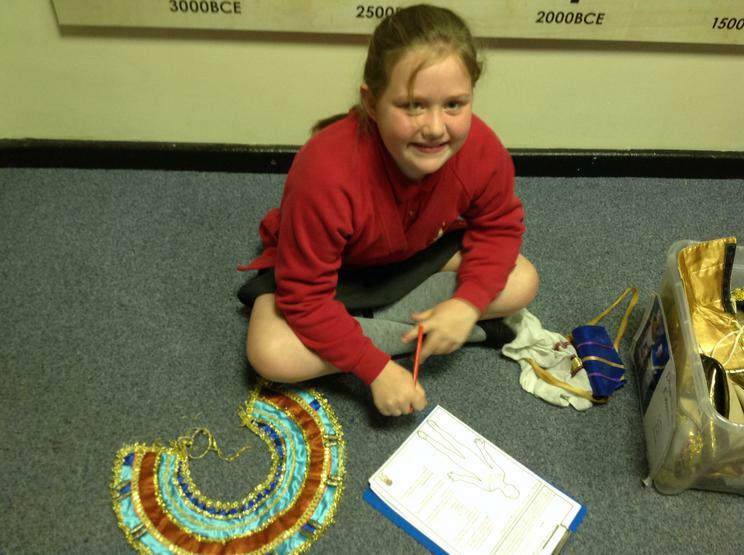 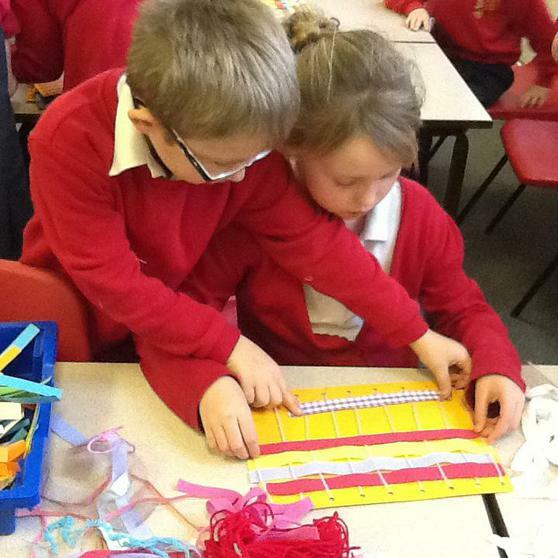 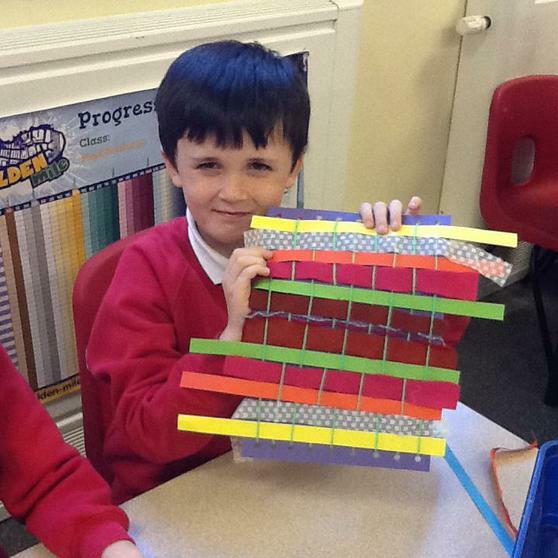 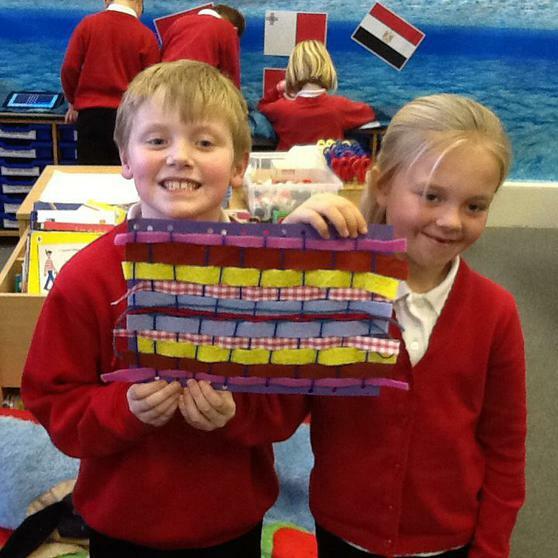 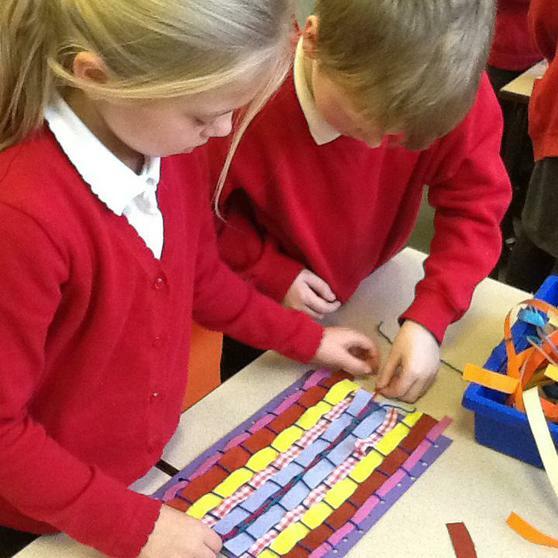 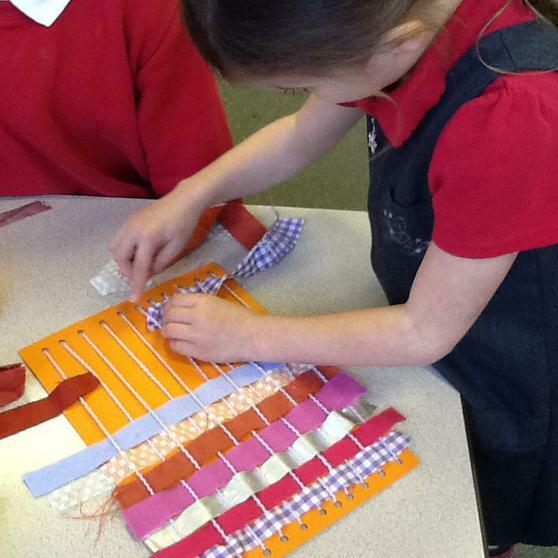 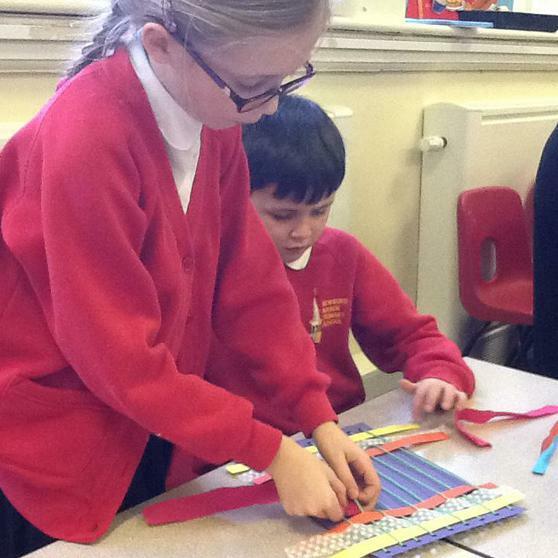 We have been very busy weaving magic carpets! 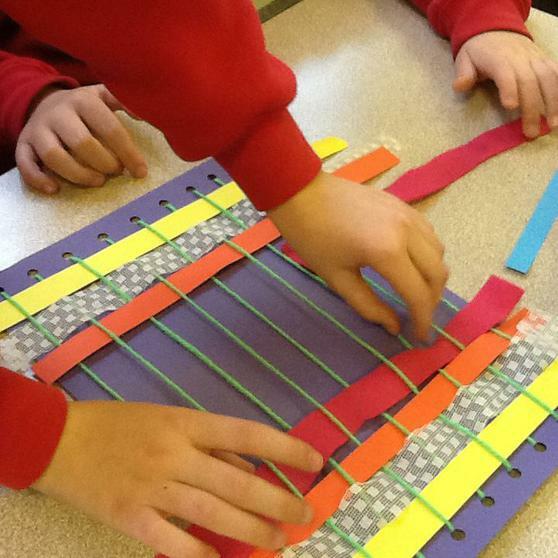 Working together in pairs, we wove a variety of fabrics through wool on card frames to create our colourful rugs. 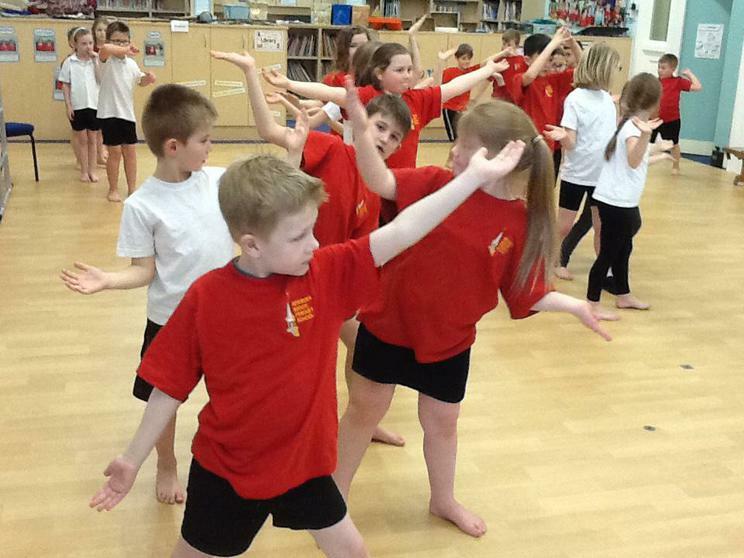 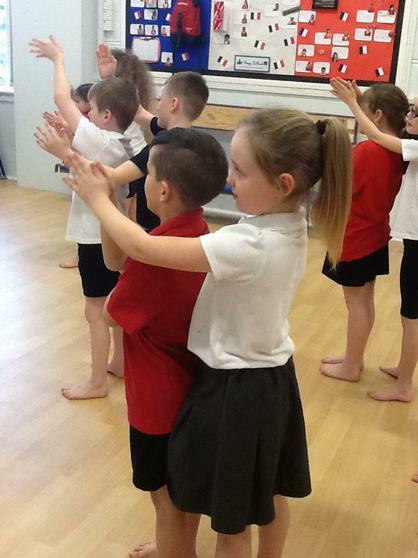 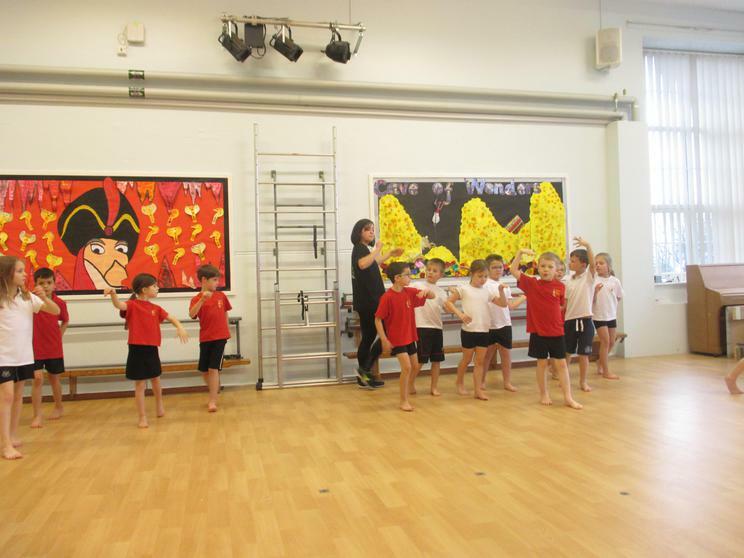 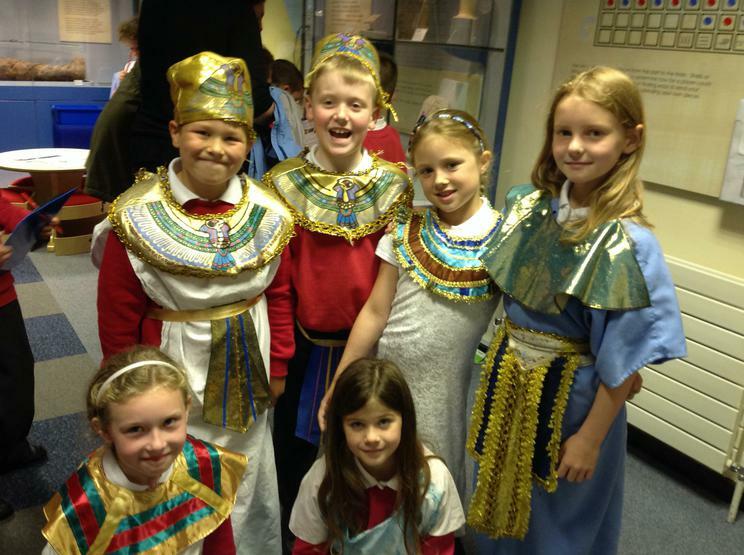 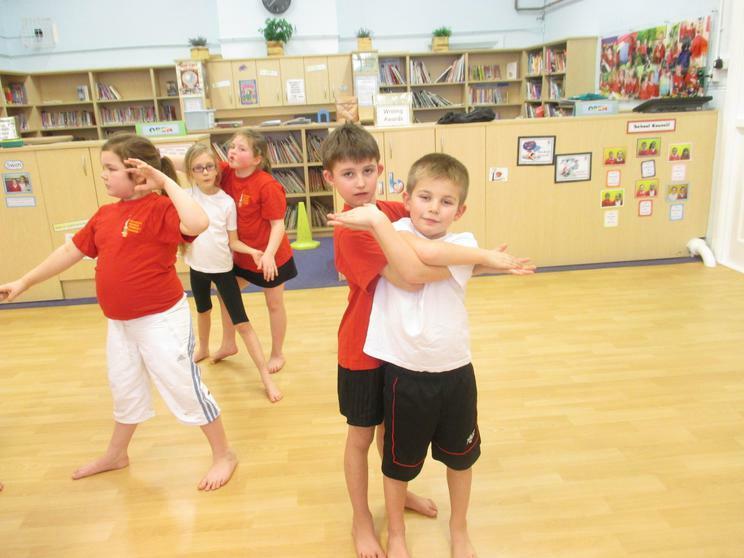 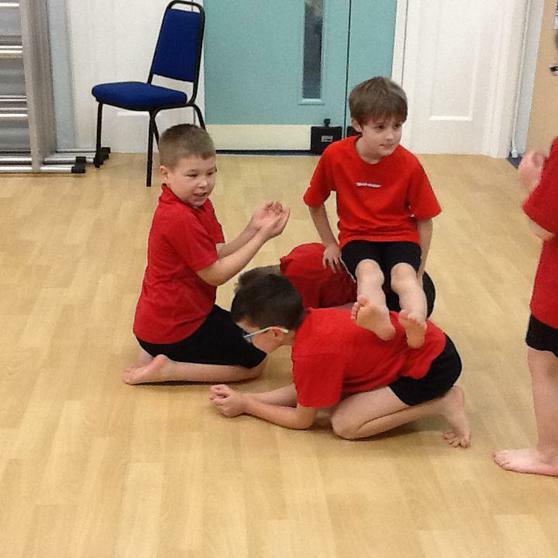 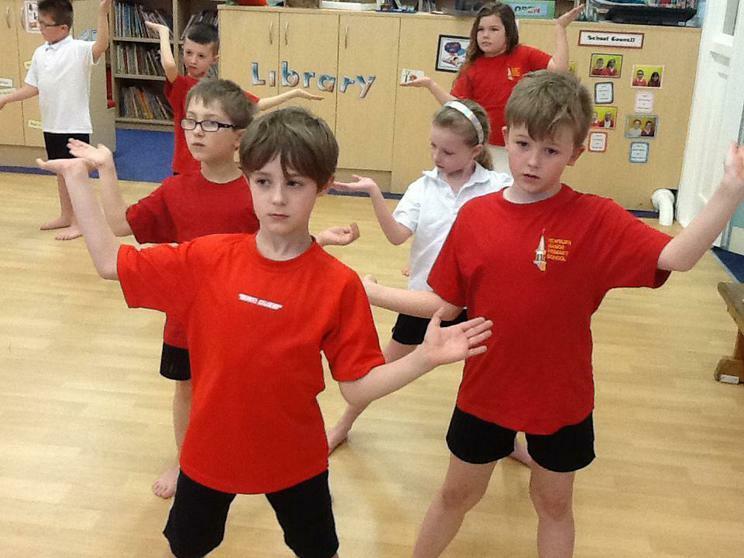 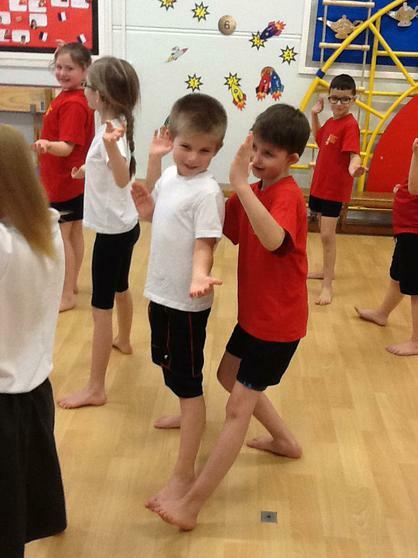 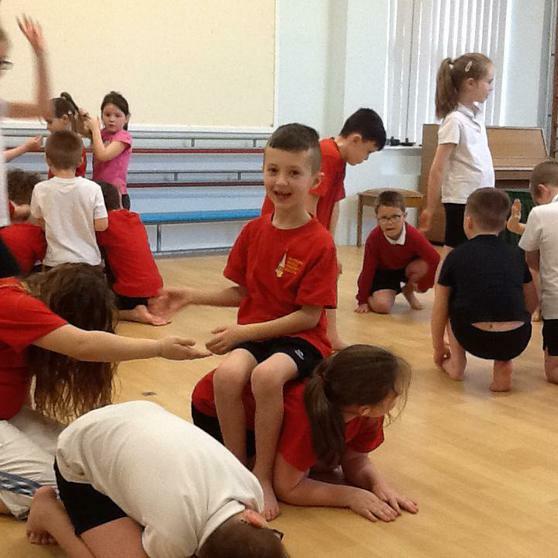 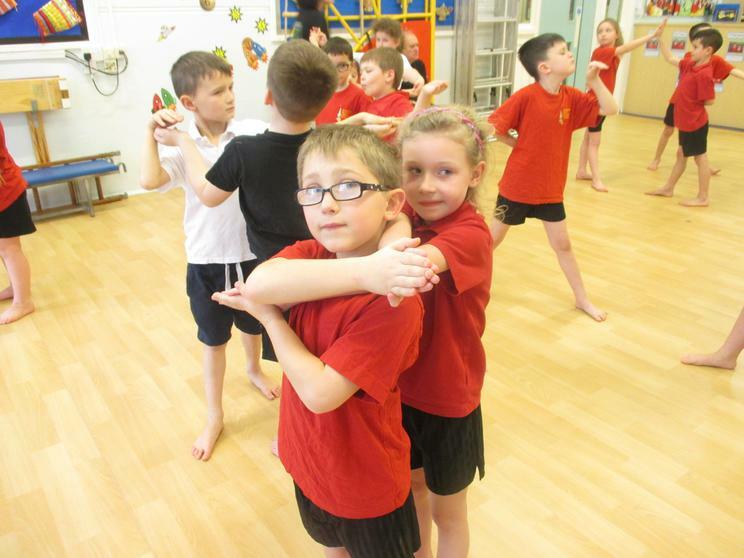 Please come along to our Christmas performance when you will see them on our Aladdin themed display in the old hall. 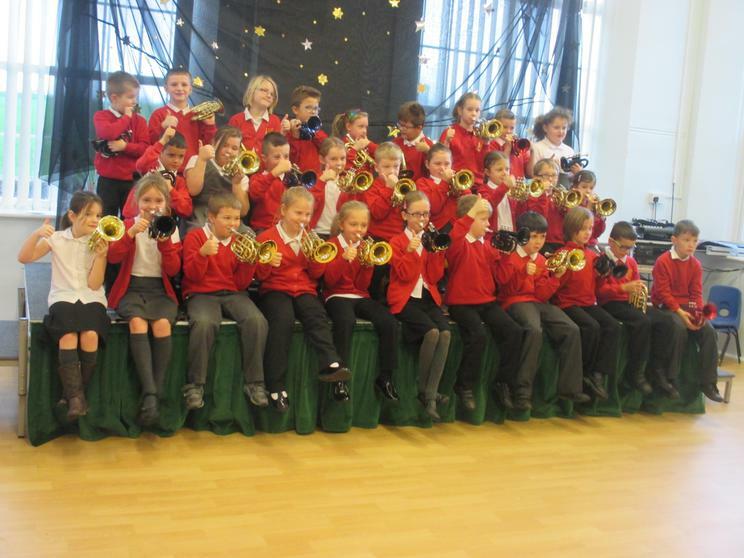 In the meantime, do take a look at our photos below for a sneak preview! 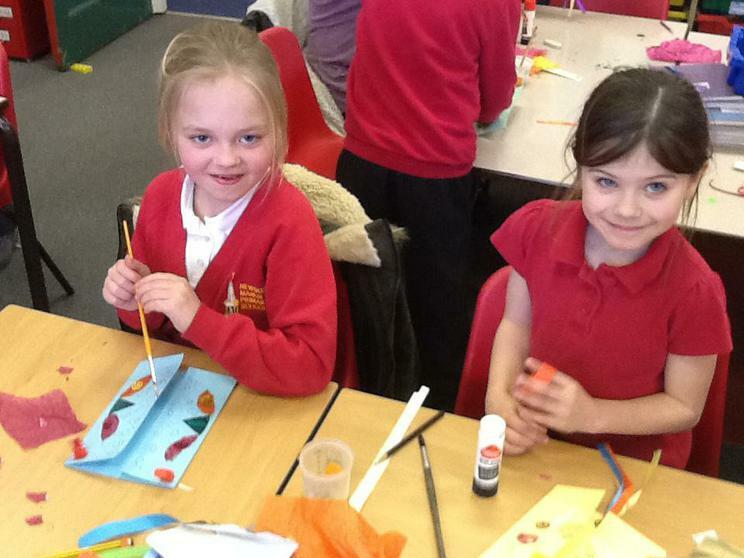 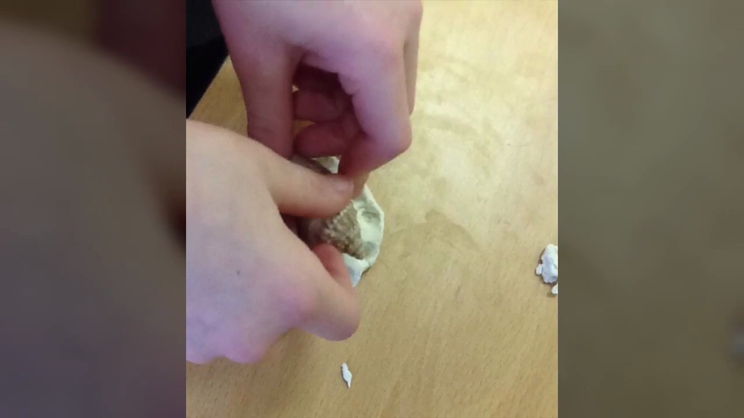 We used chalks, tissue paper, paint and glitter to create our own unique winter landscapes. 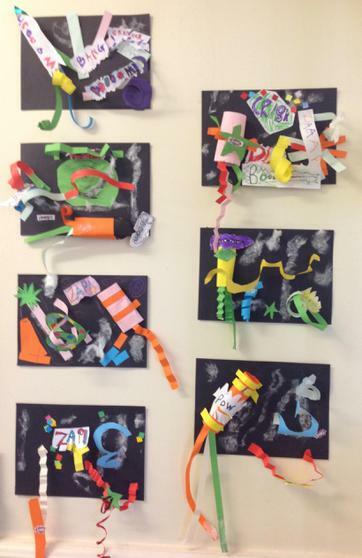 If you are visiting school in December we hope you will admire them on our classroom door! 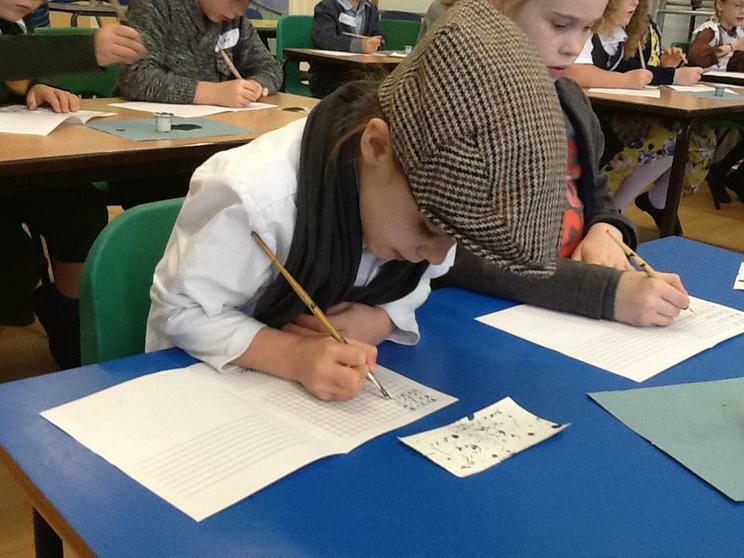 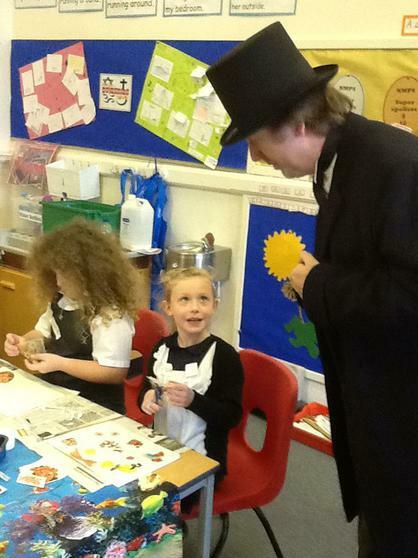 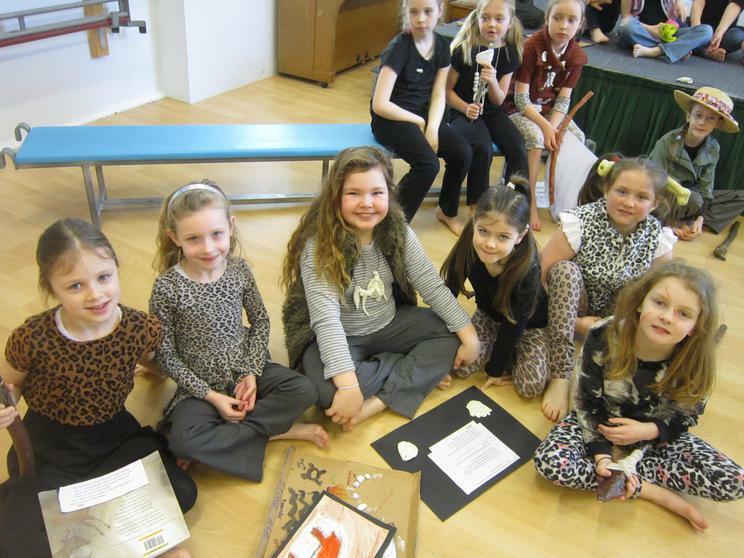 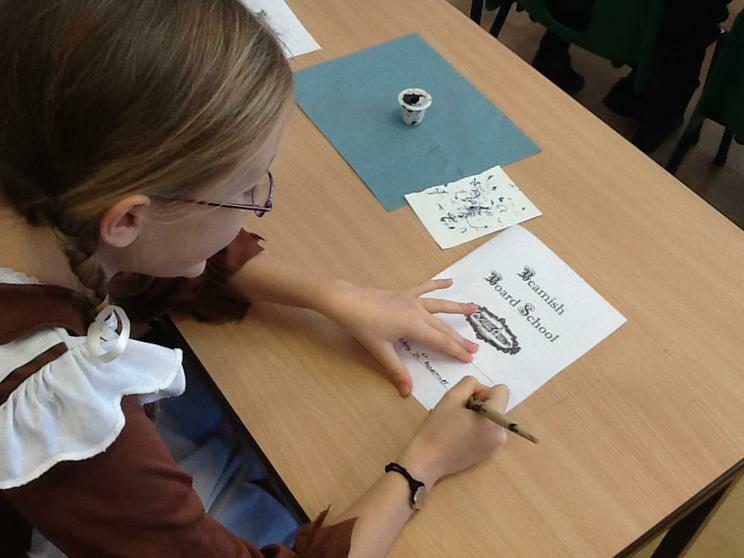 Everyone thoroughly enjoyed our school's Victorian themed Super Learning Day, held to celebrate its 125th year. 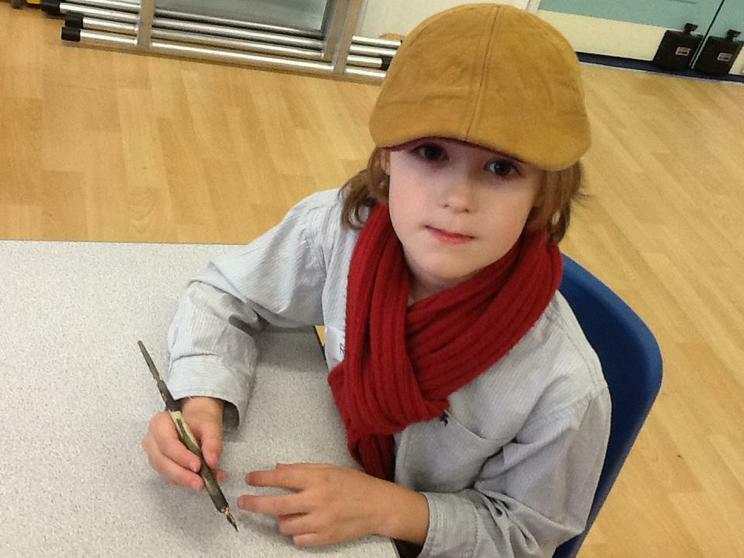 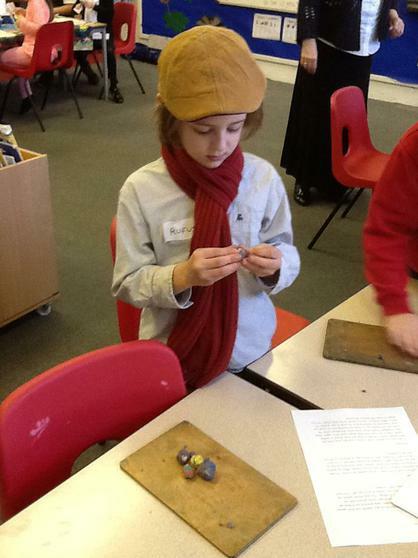 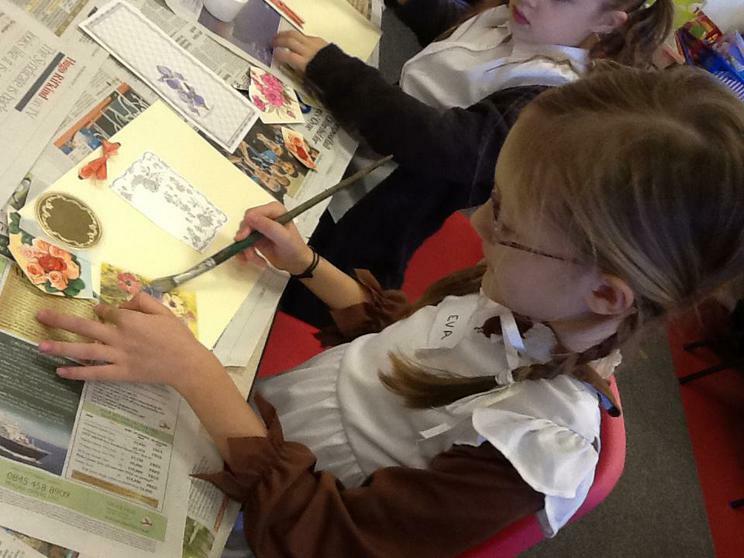 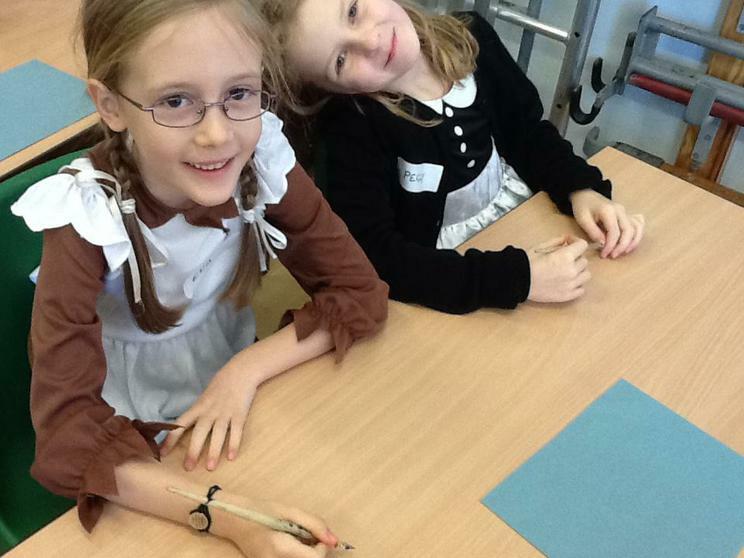 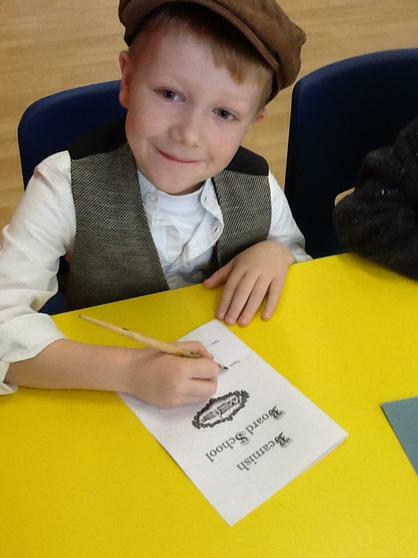 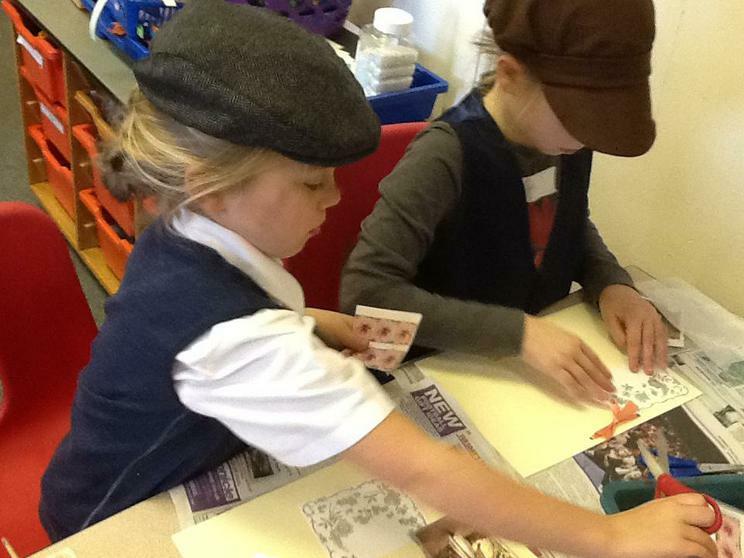 We all had a fantastic time dressing up as Victorian school children and learning more about Victorian life. 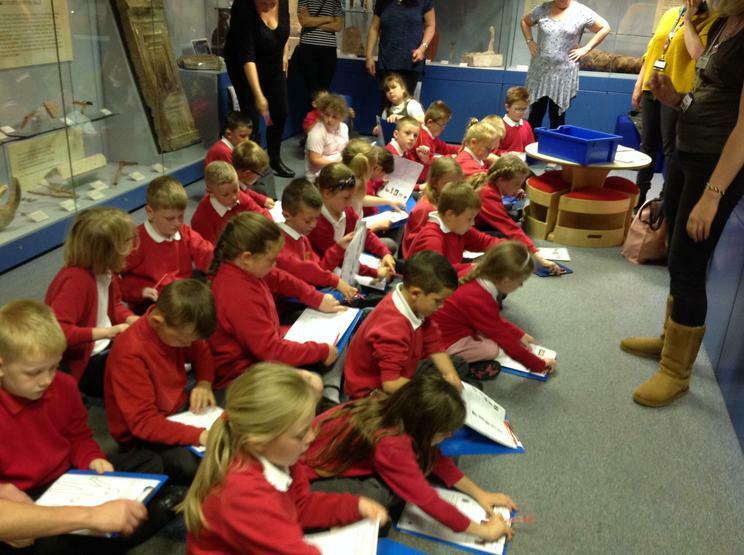 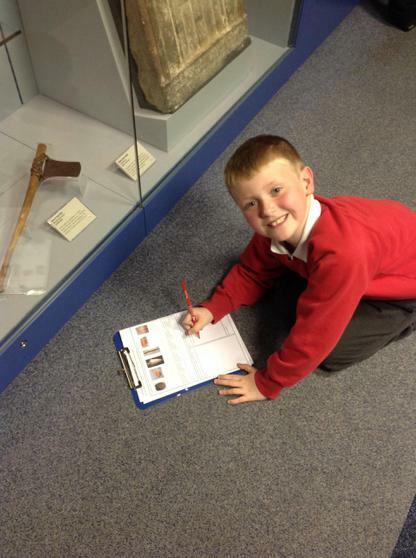 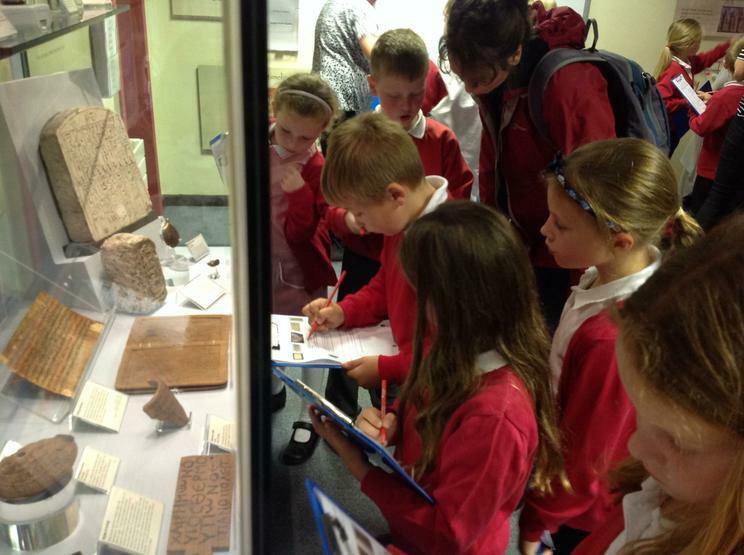 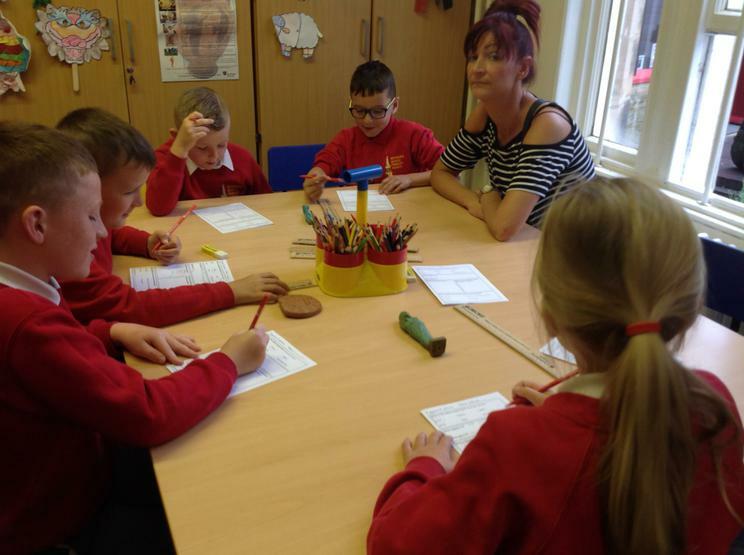 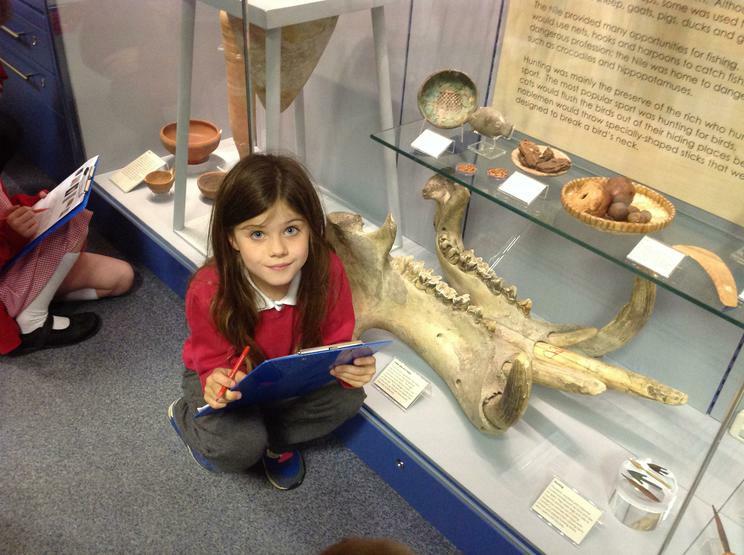 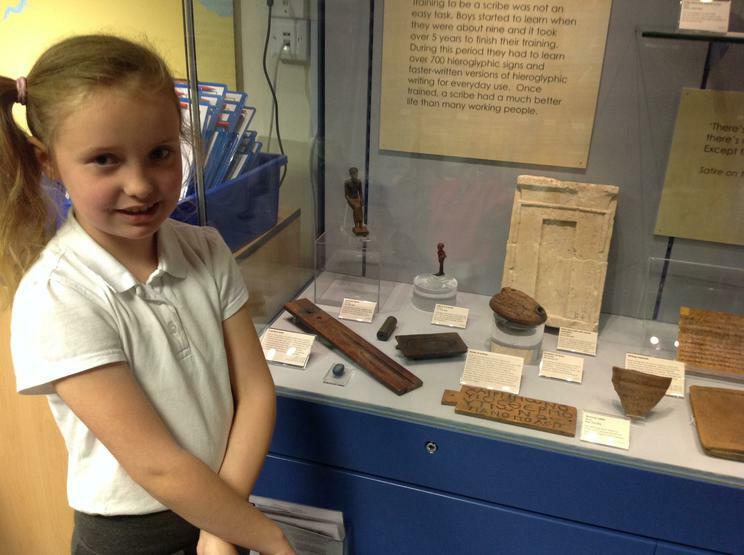 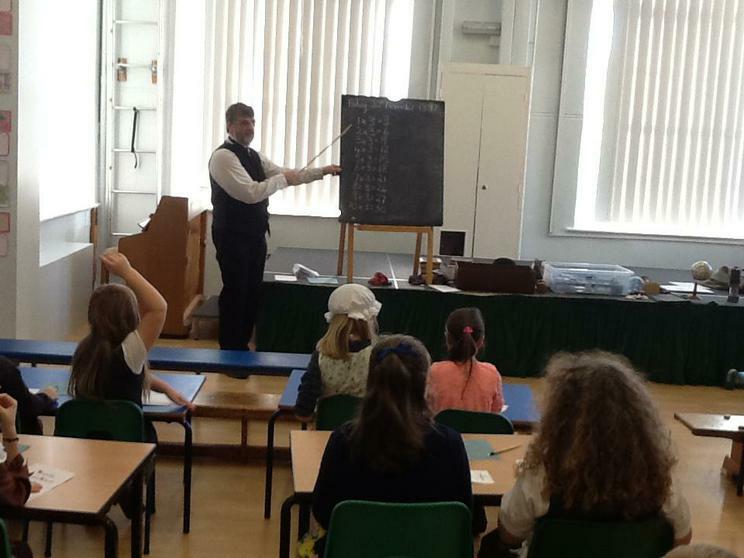 We had to get used to writing on a slate and soon discovered that school was much stricter in those days! 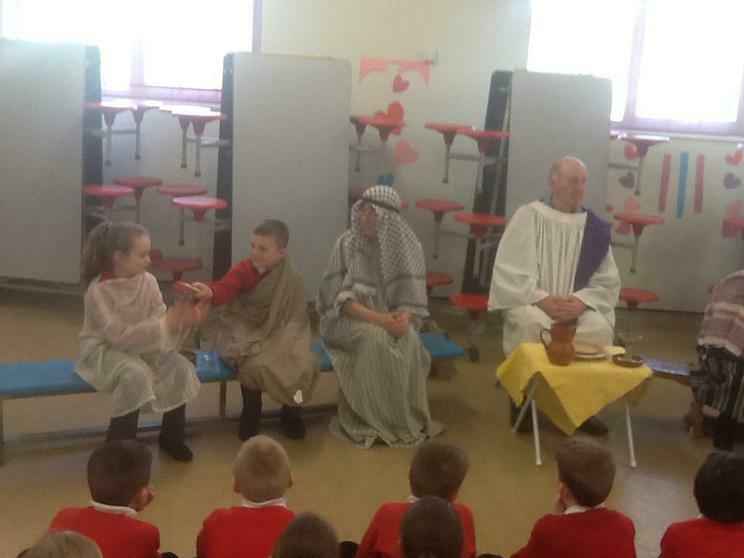 We welcomed several important visitors during the day. 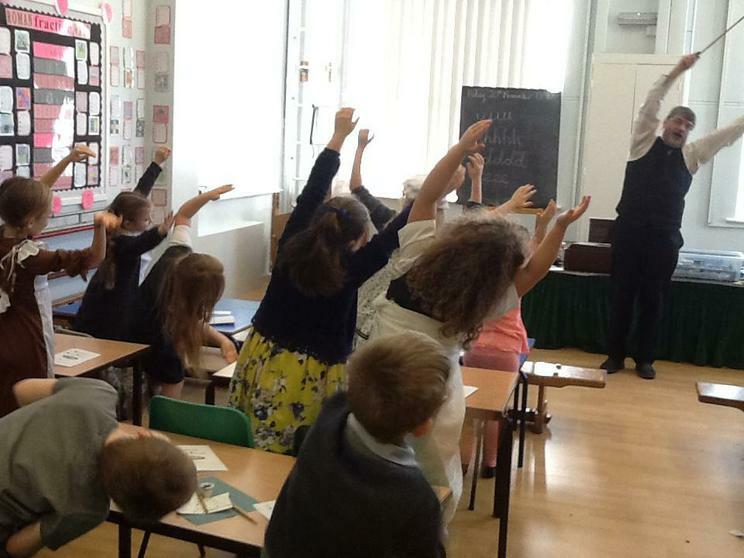 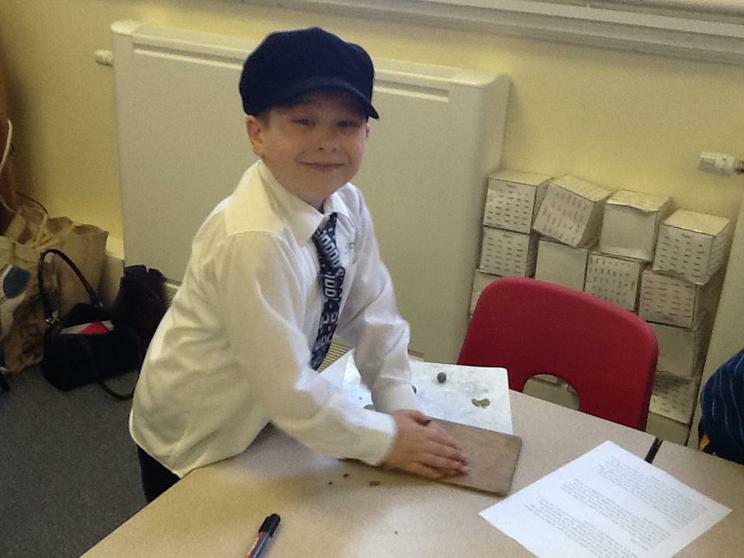 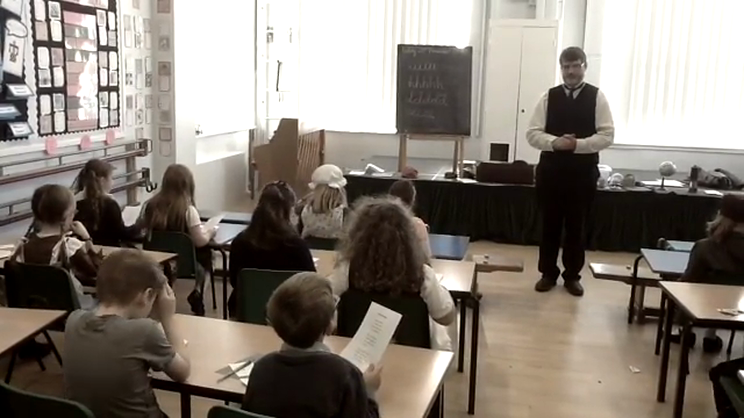 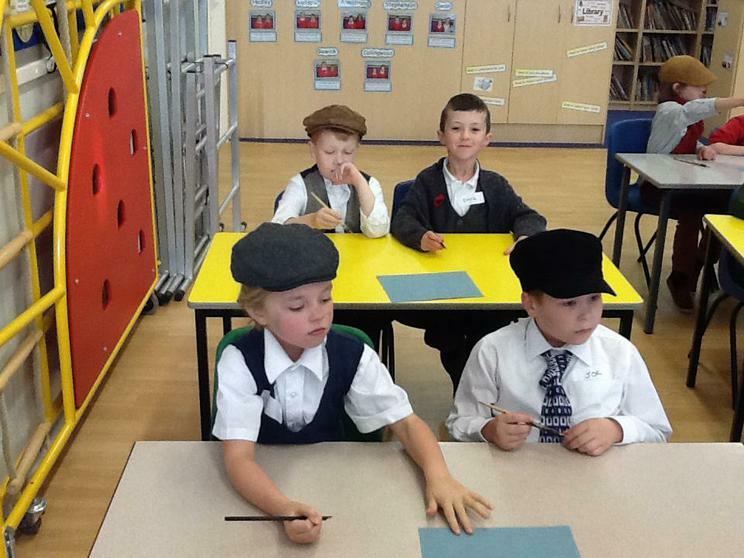 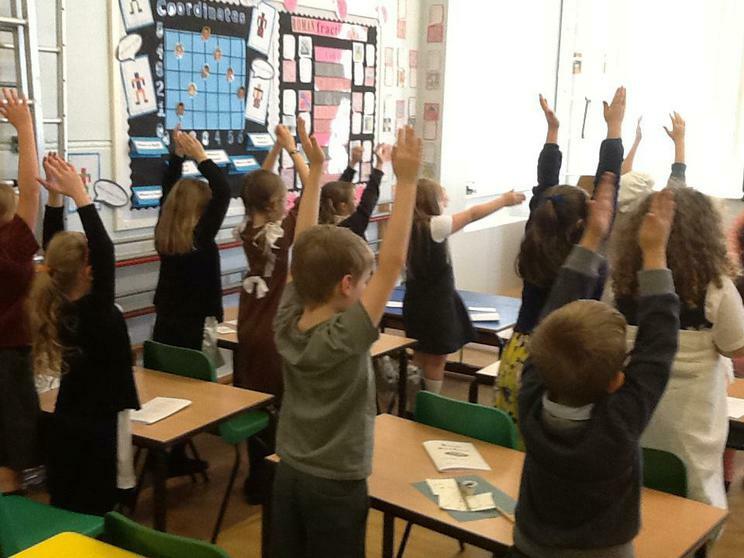 Mr Woolley came from Beamish Museum and took our class for a 'Victorian' lesson. 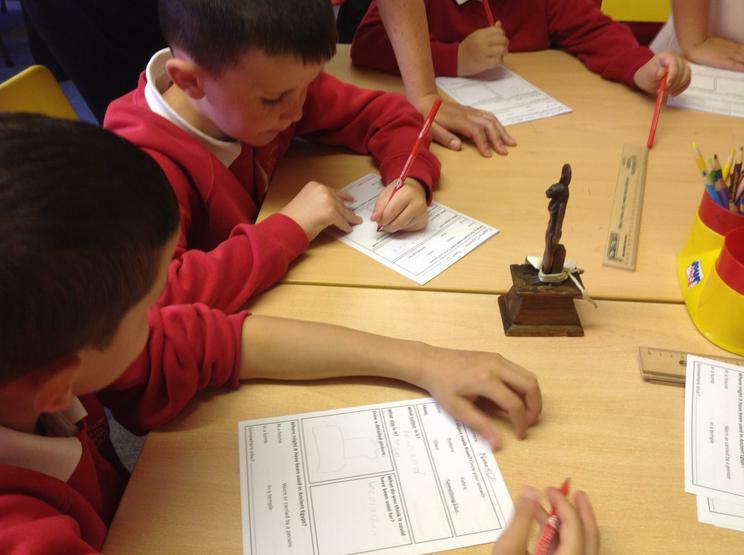 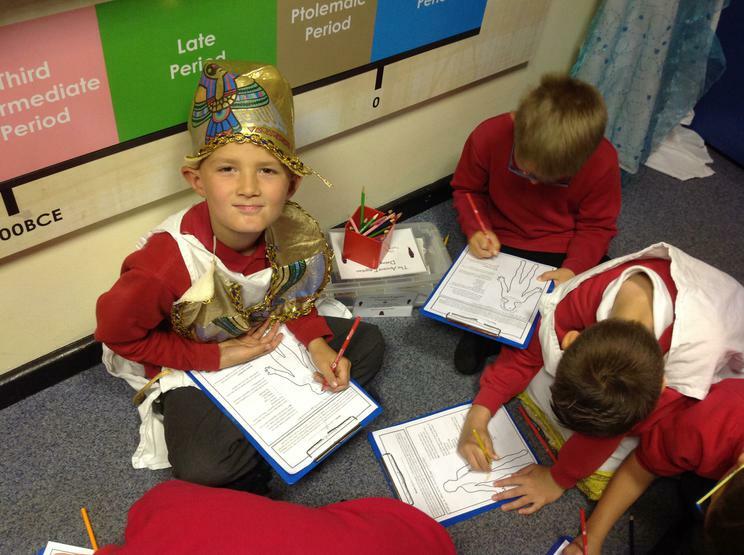 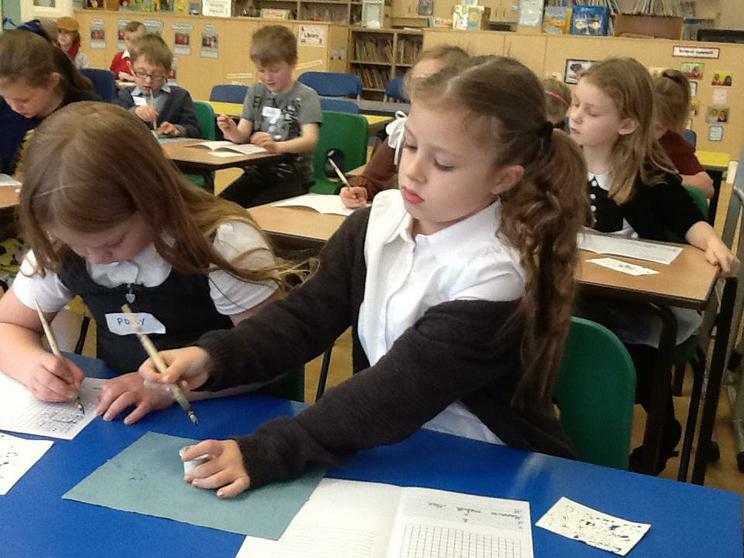 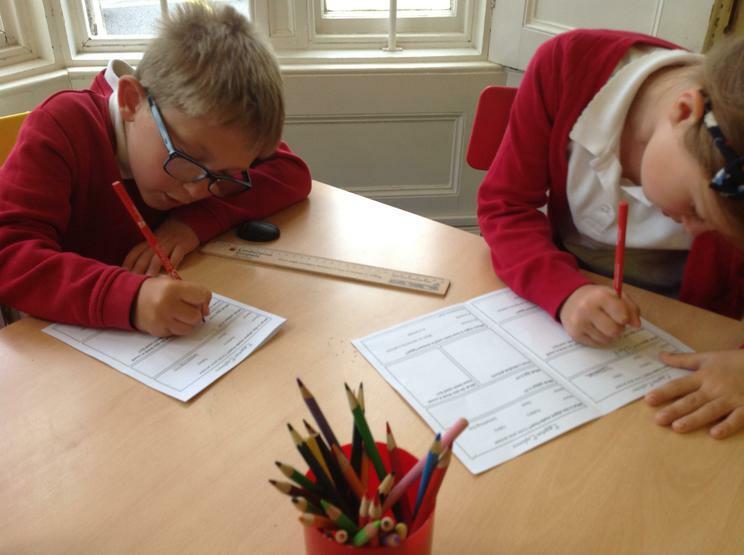 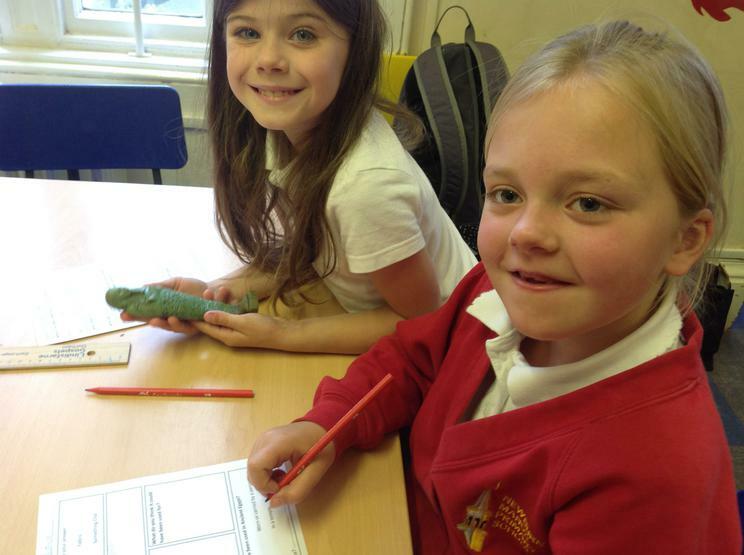 We carefully practised handwriting with pen and ink, recited a poem and chanted times tables. 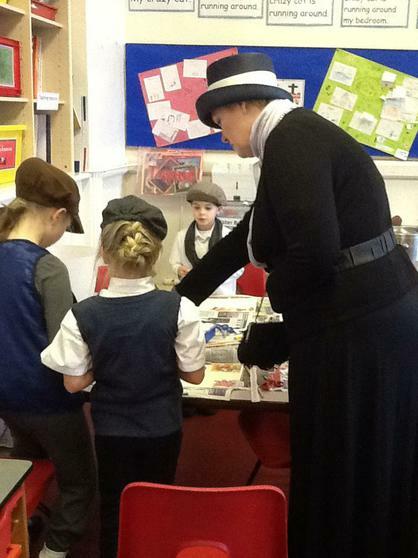 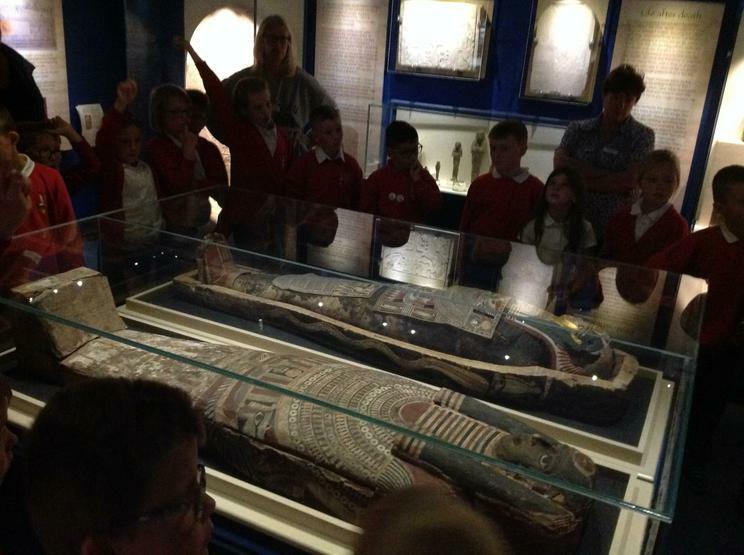 Mrs Davies' mother, Mrs Walker, visited us. 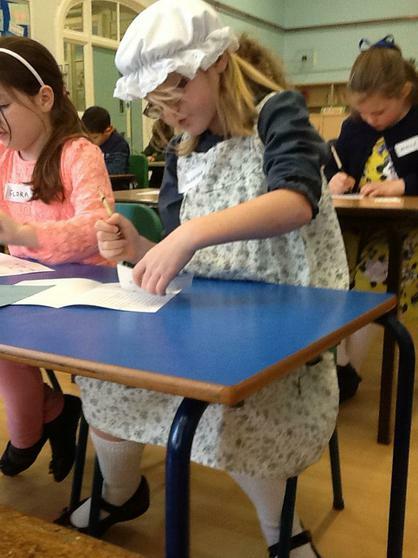 She is 95 years old and first attended our school in 1926! 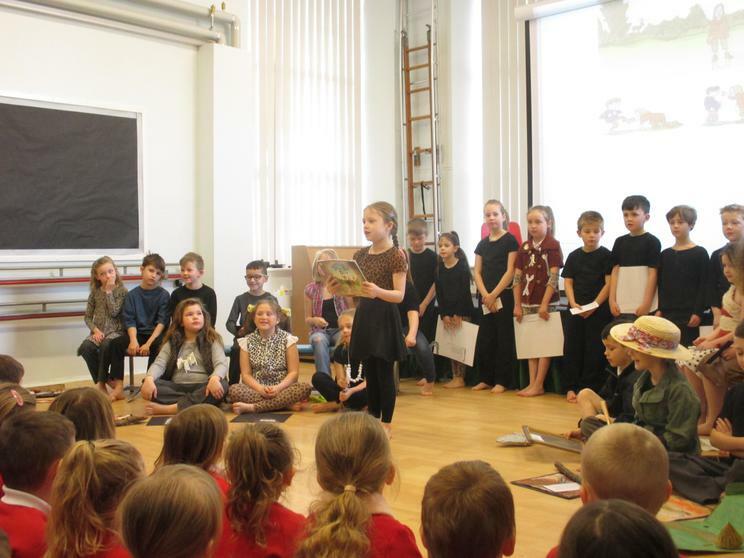 Our other esteemed visitors were none other than the Duke and Duchess of Northumberland (played by actors), who came to check on our progress. 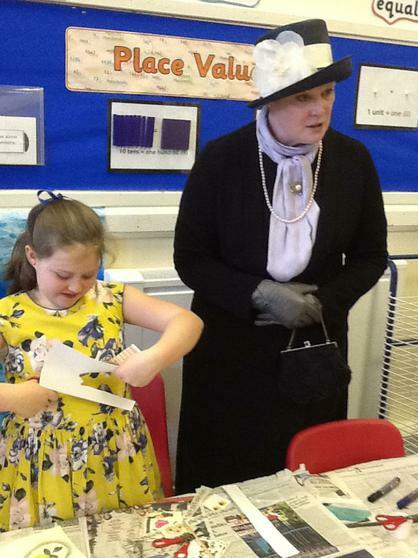 Both Mrs Walker and the Duchess were delighted to be presented with posies from the children. 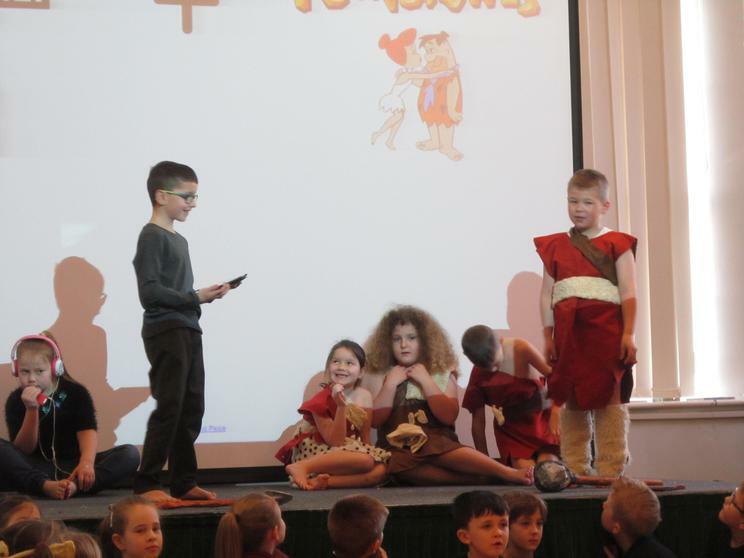 We hope you will enjoy looking at our video and photographs from the day. 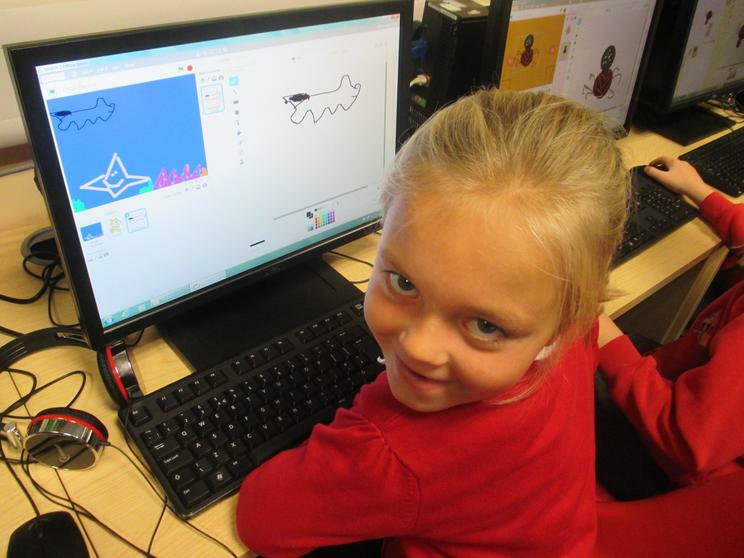 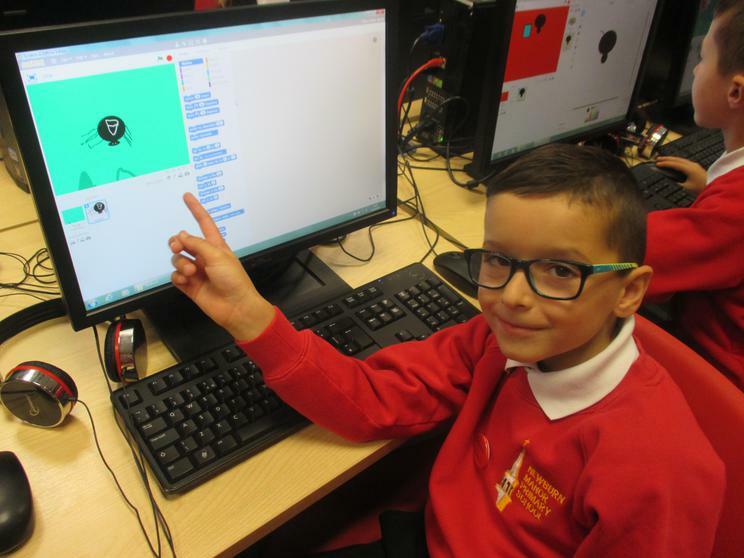 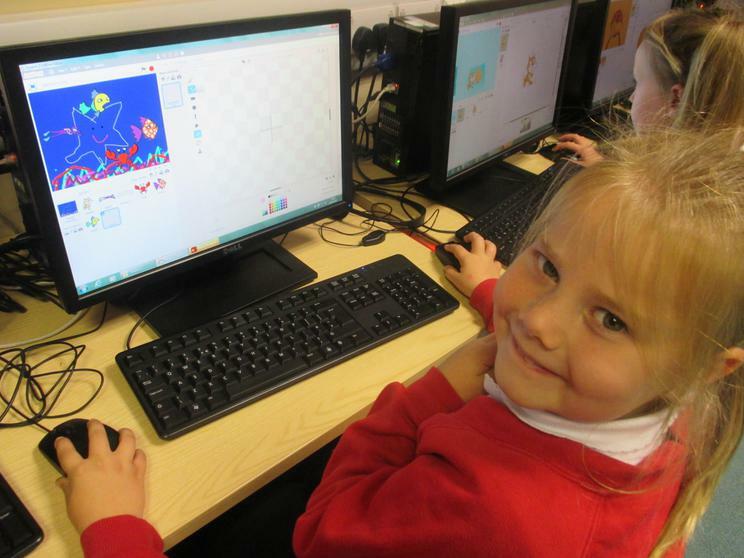 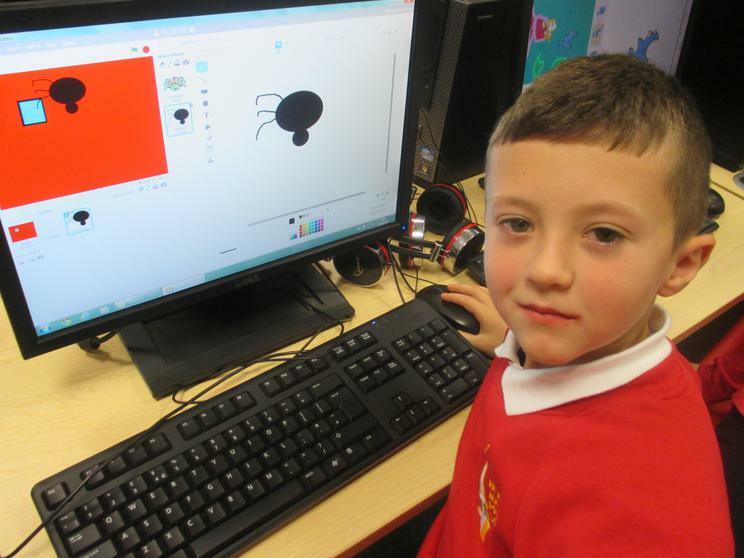 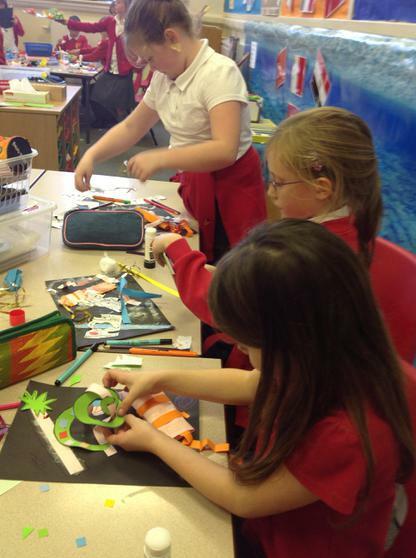 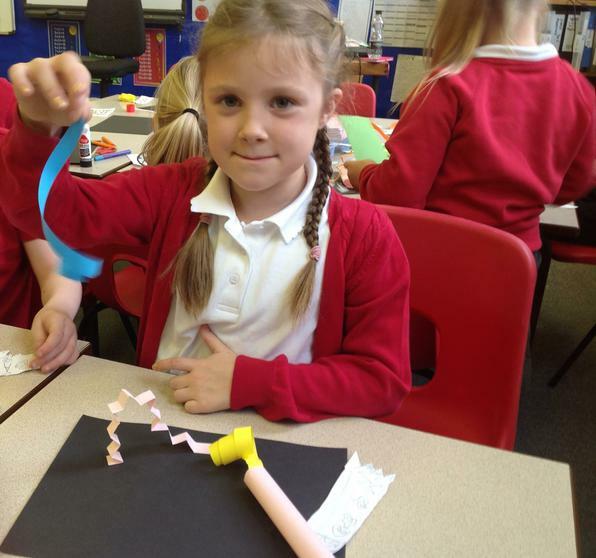 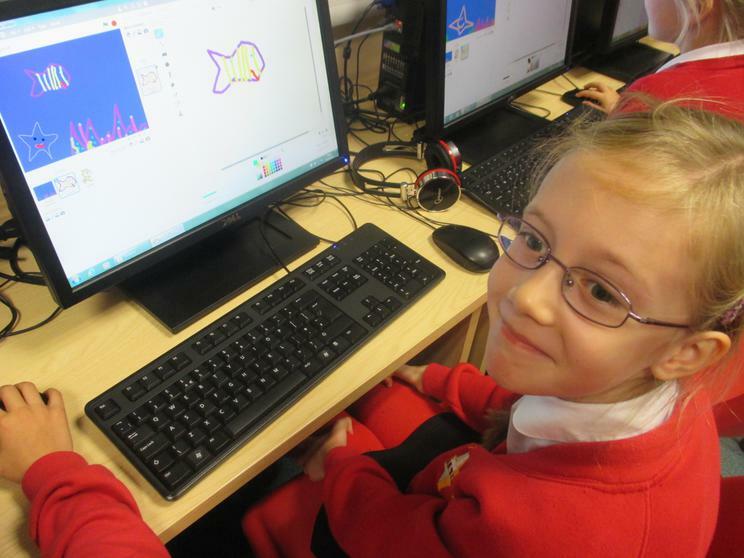 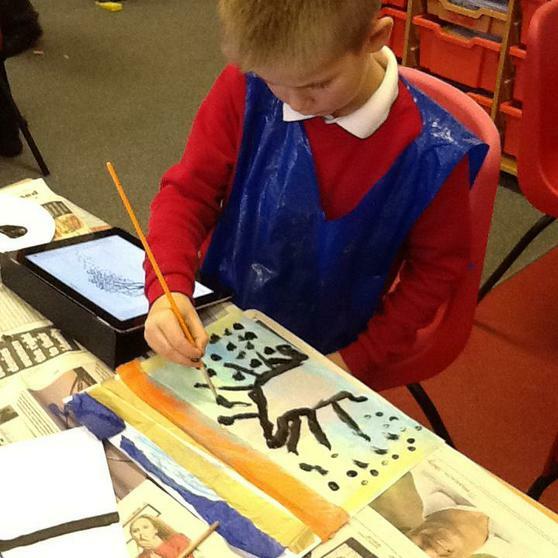 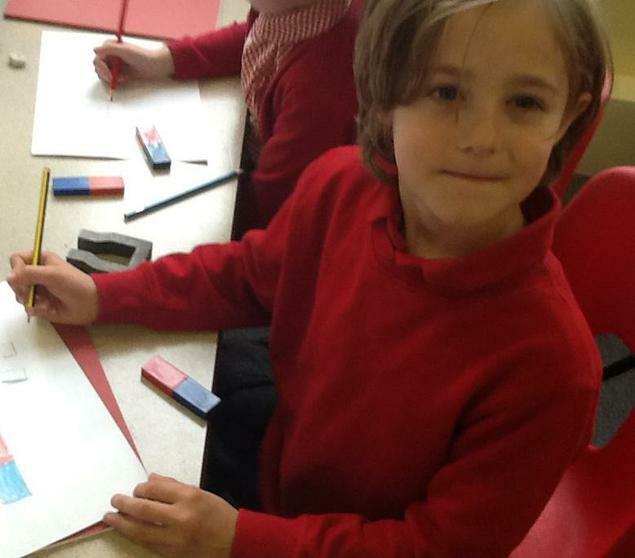 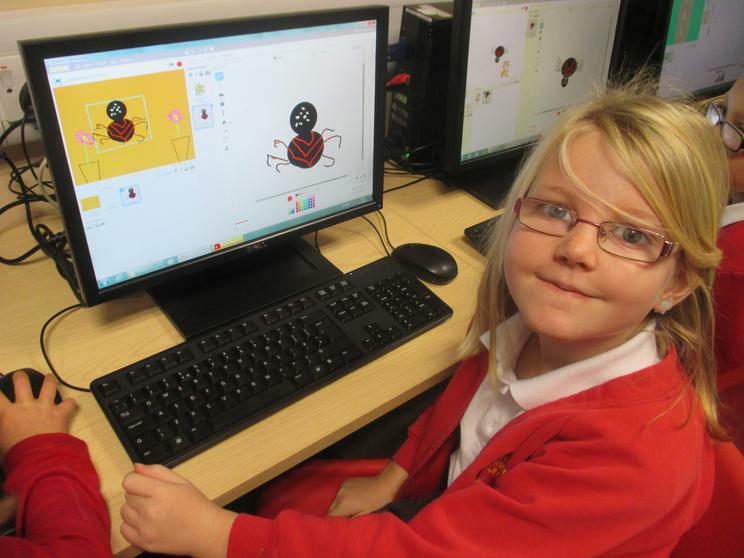 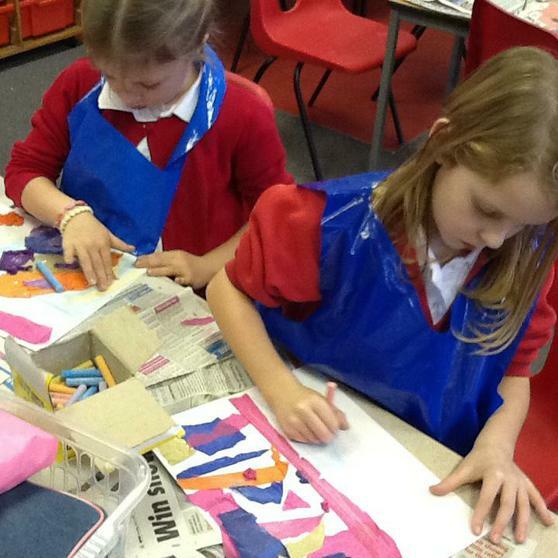 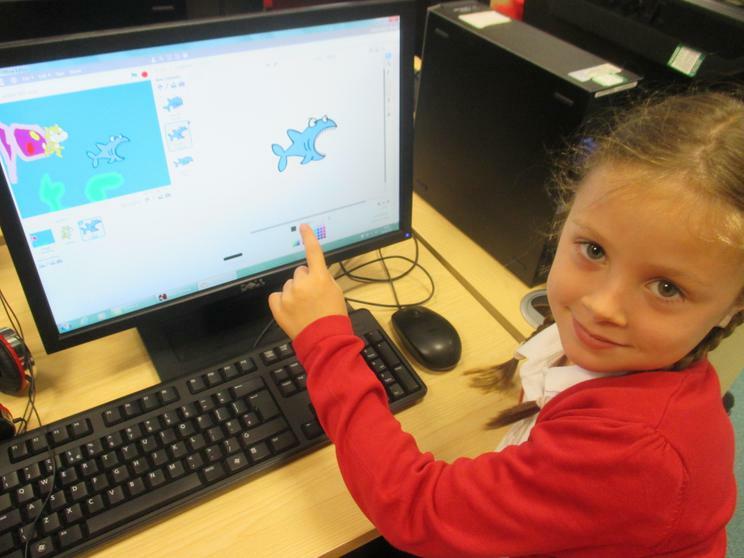 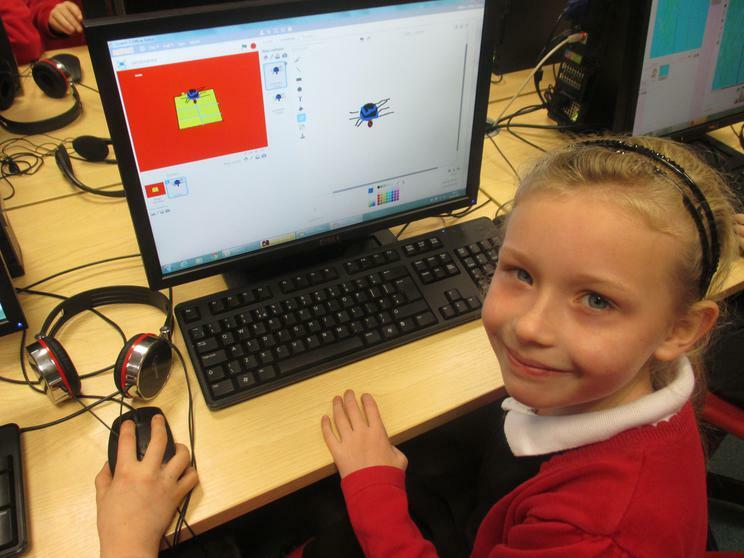 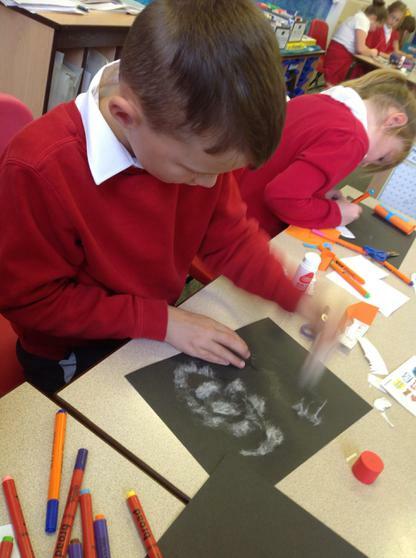 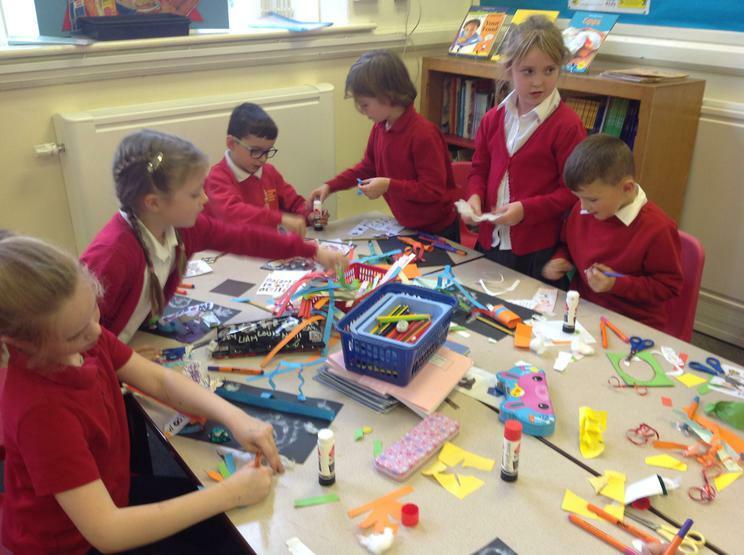 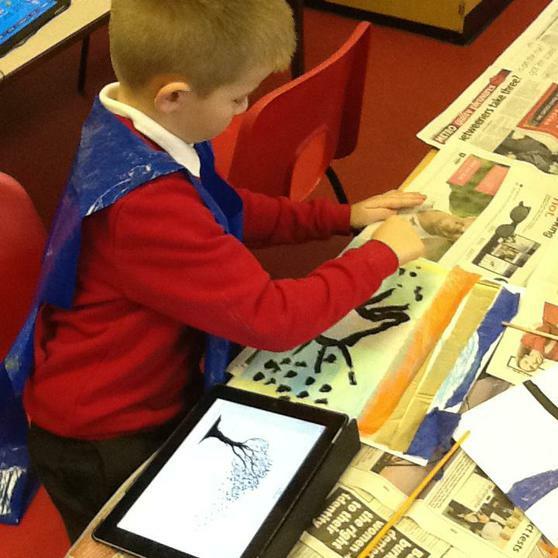 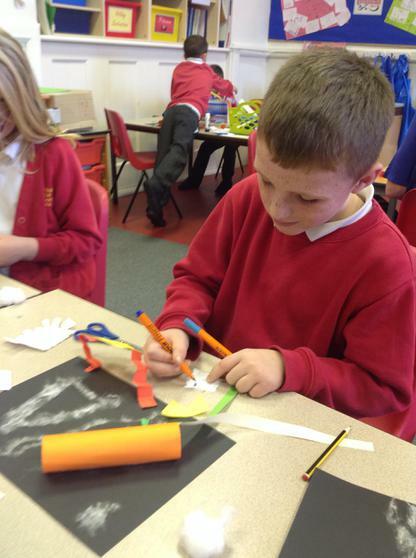 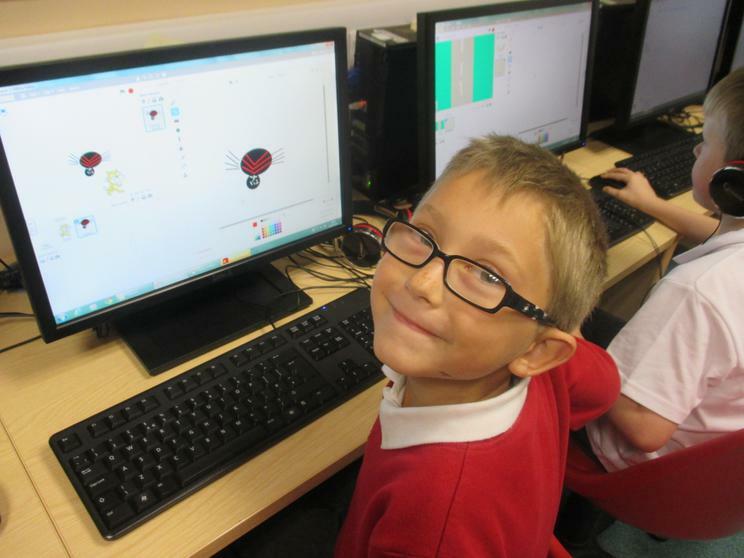 In Year 3, we have been creating three-dimensional pictures of fireworks using paper, chalks and felt tipped pens. 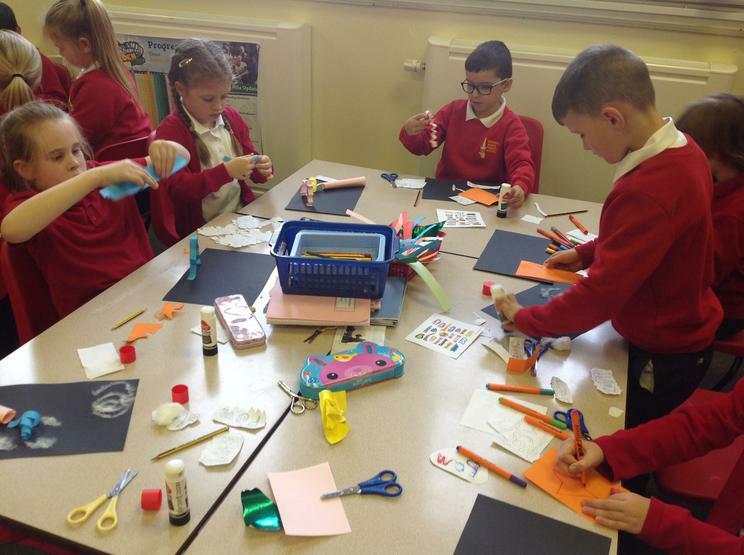 We folded, cut, twisted and curled paper in a variety of ways to make it look as if our fireworks were jumping out of the picture backgrounds! 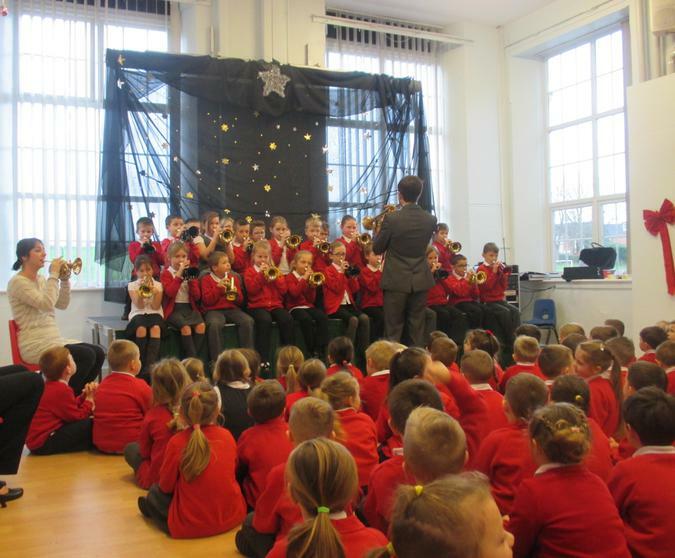 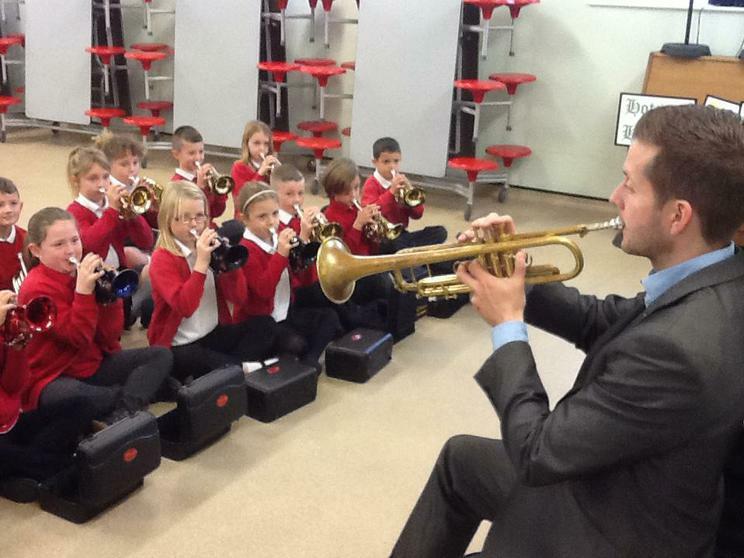 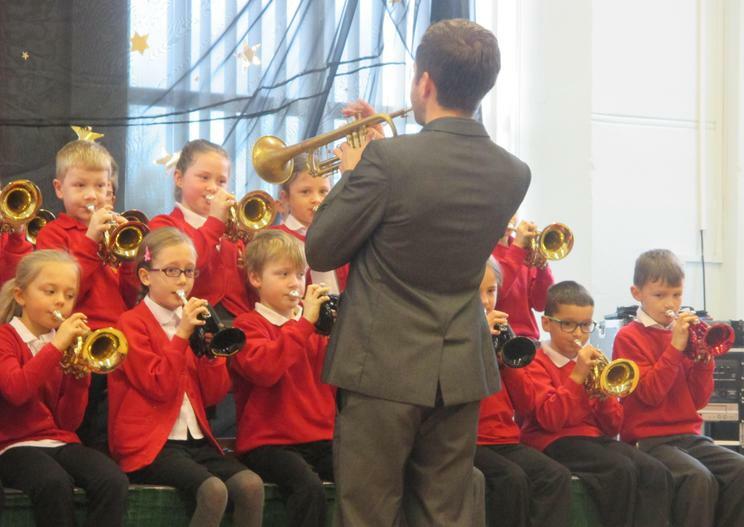 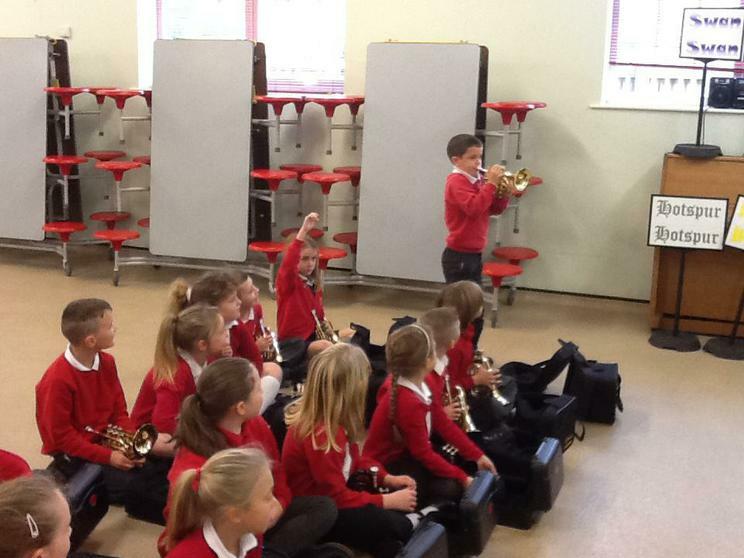 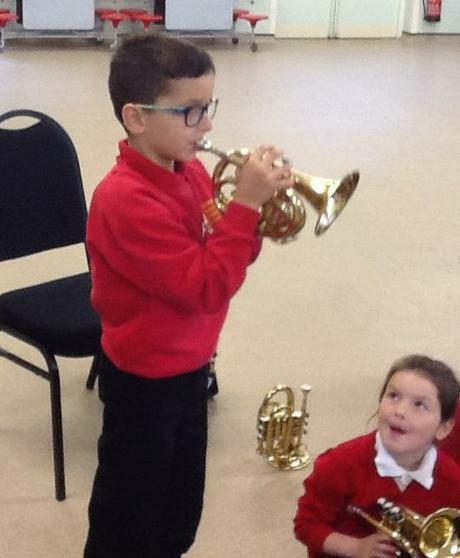 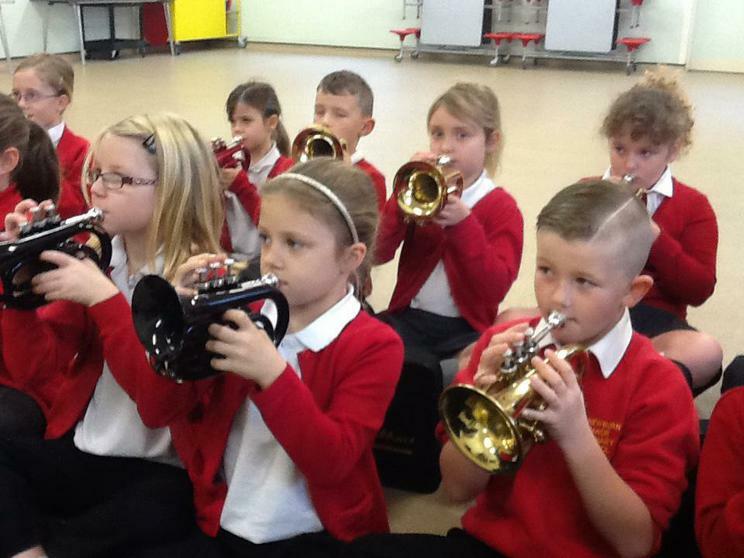 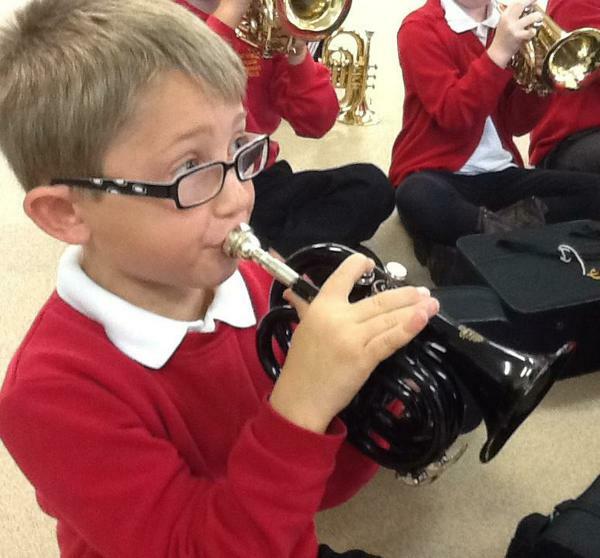 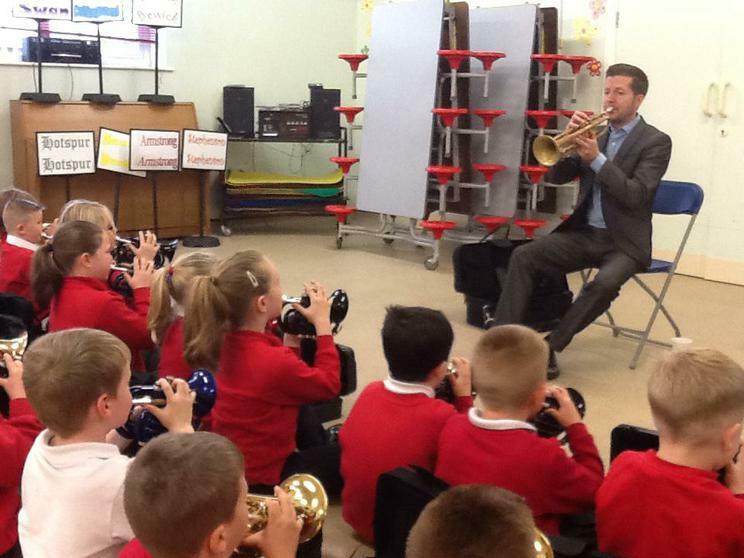 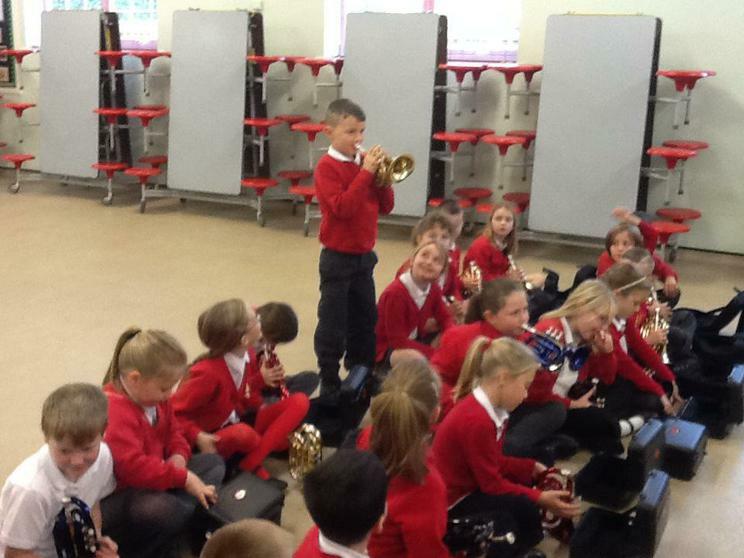 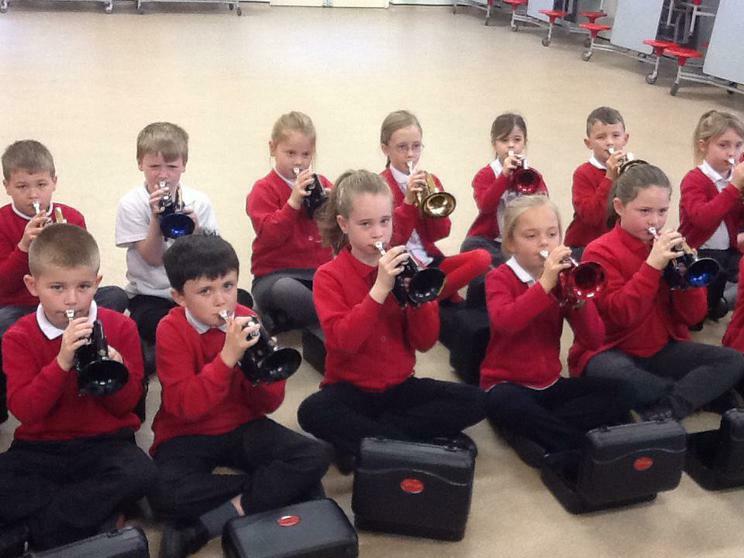 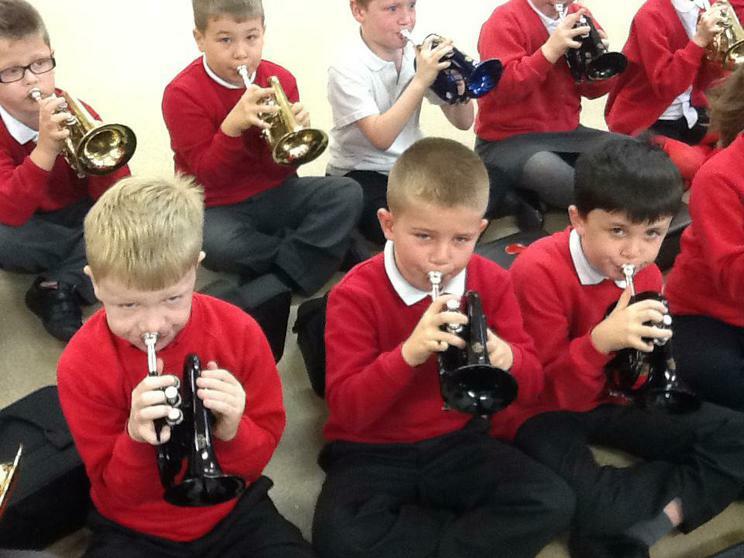 We have been learning how to play the trumpet with peripatetic music teacher, Mr Rudkin, from Newcastle Music Service. 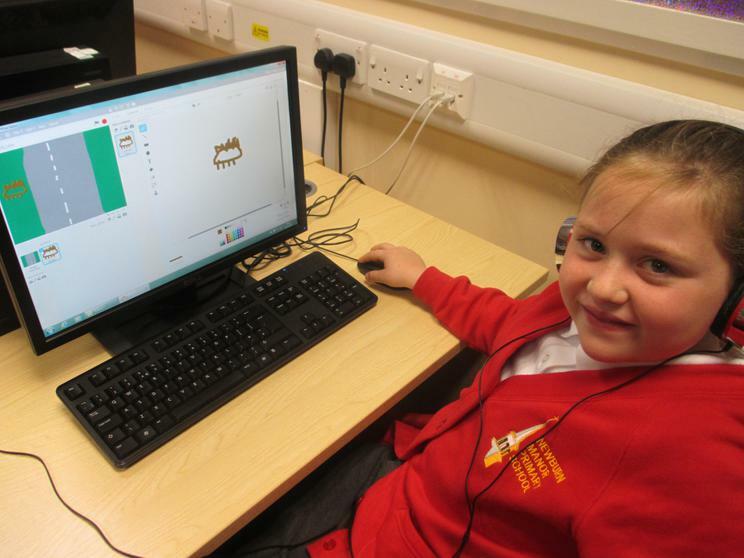 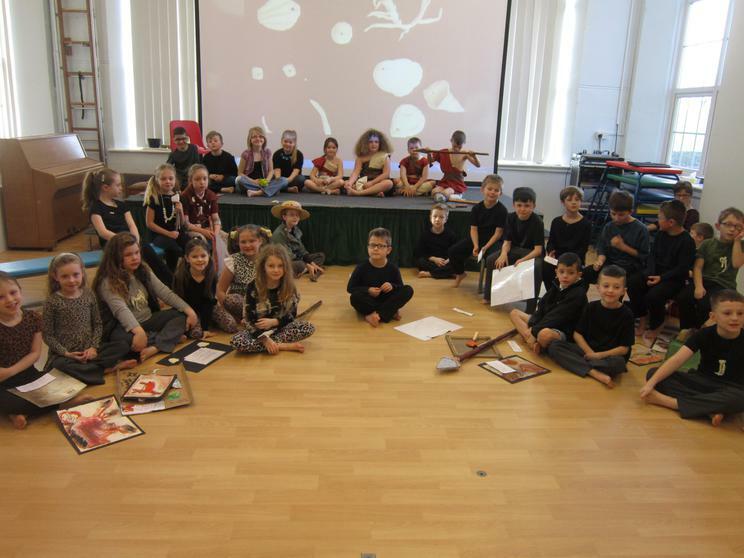 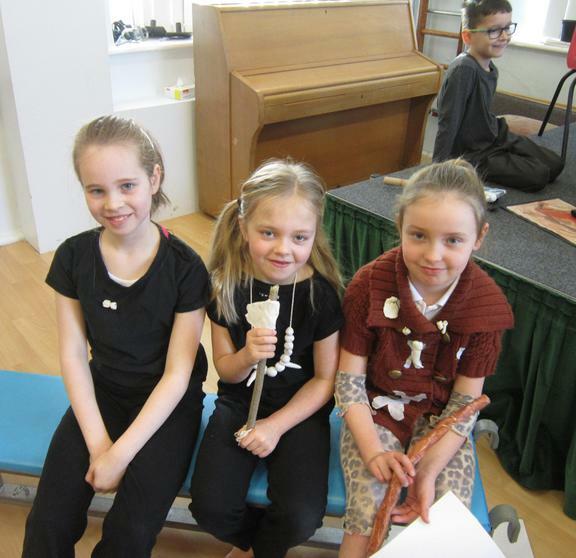 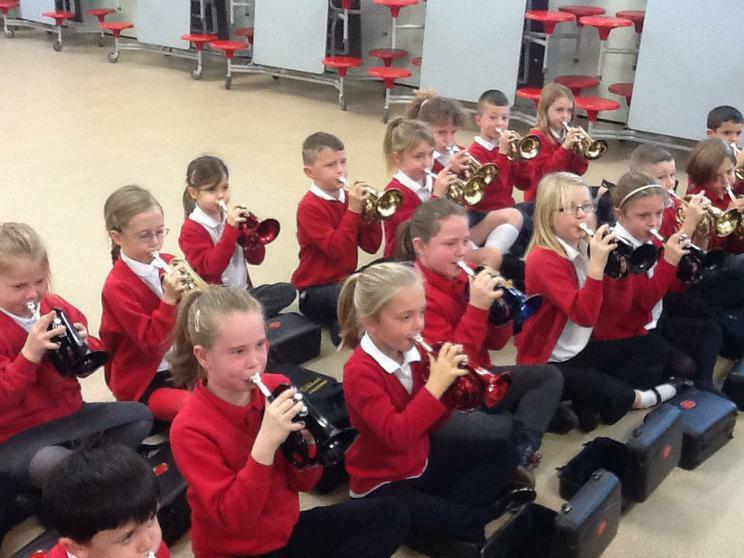 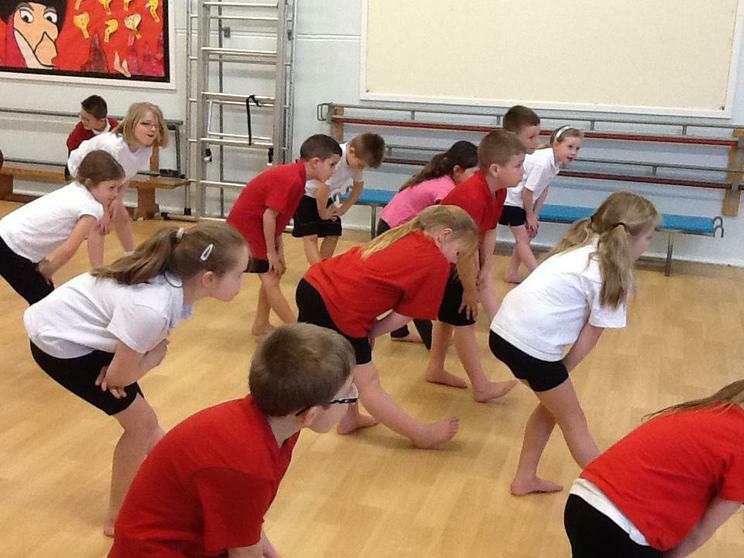 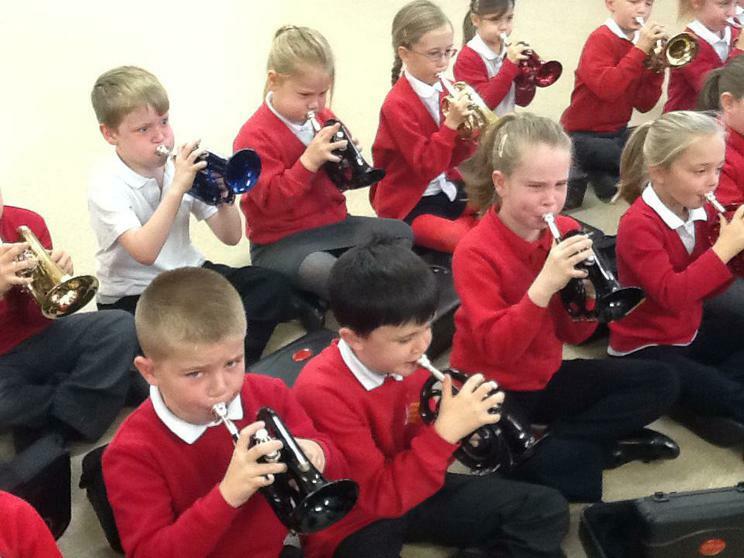 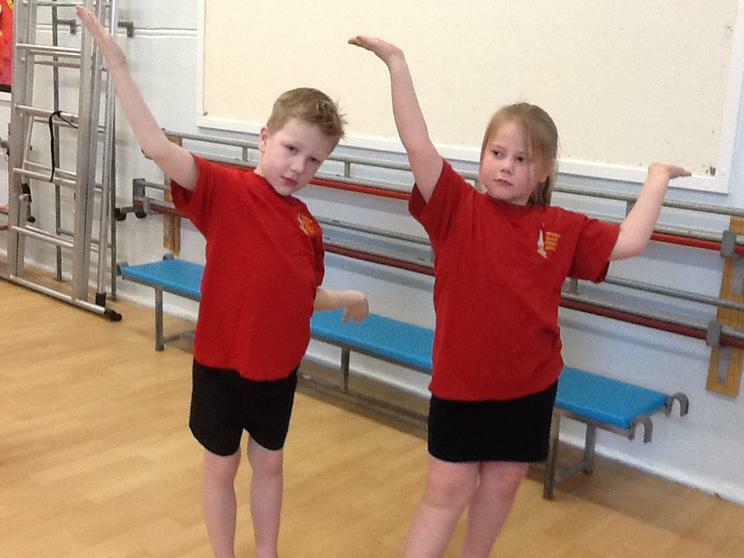 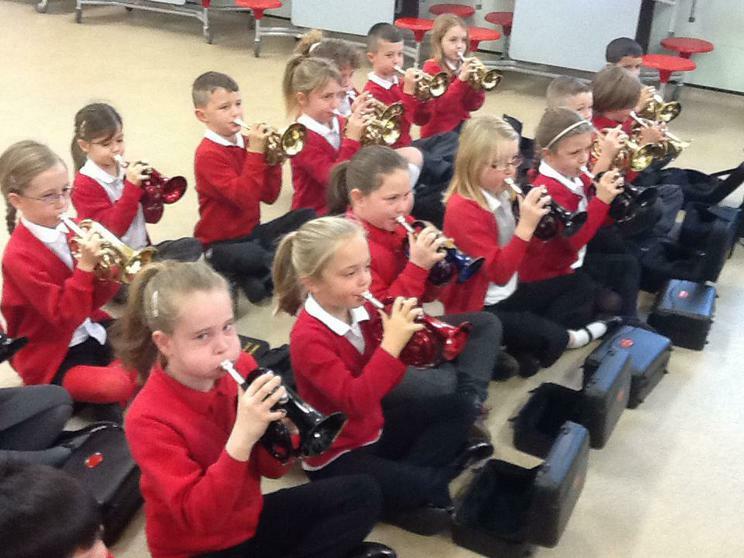 We have learned the notes C, D, E and F, and have been peforming lots of different tunes. 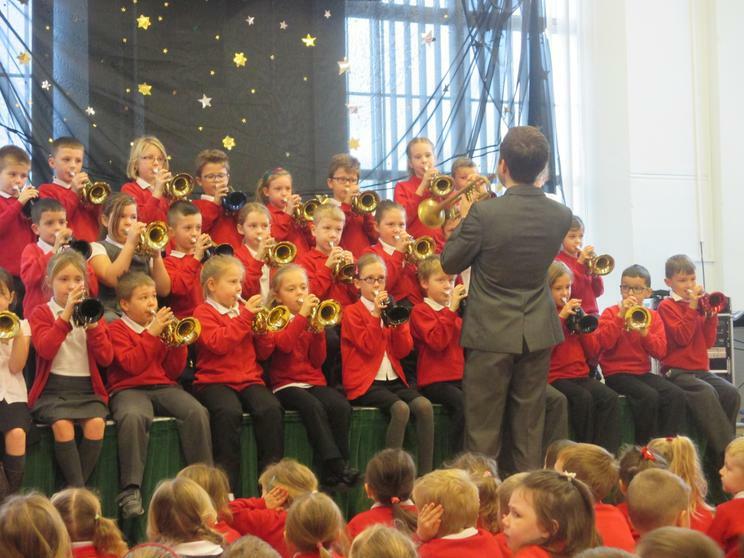 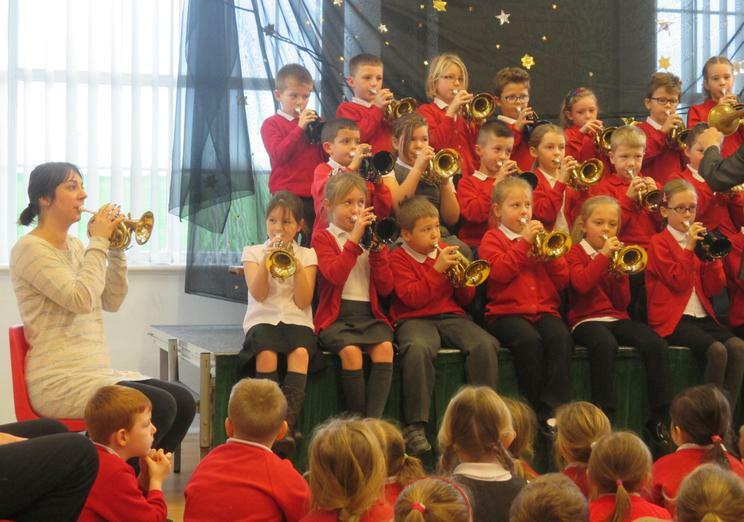 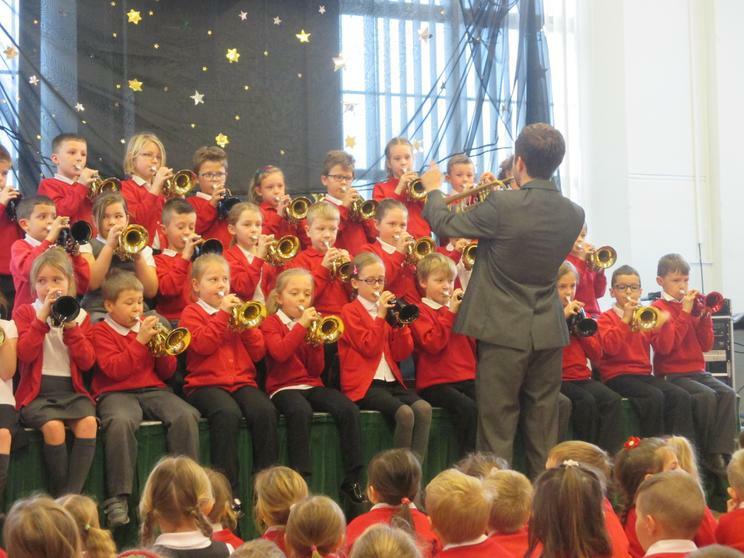 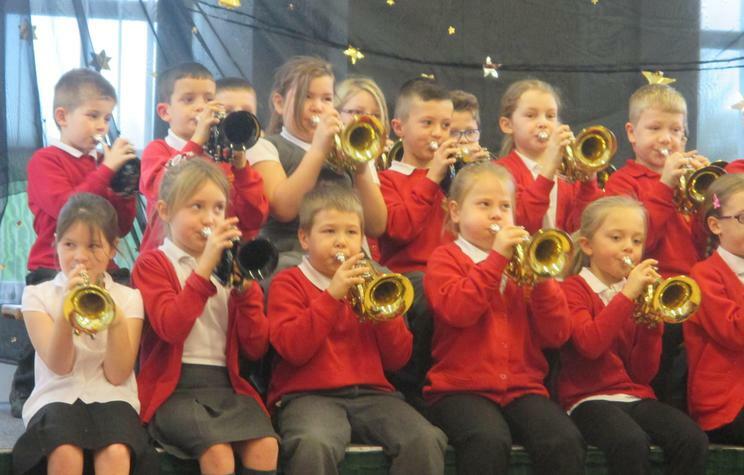 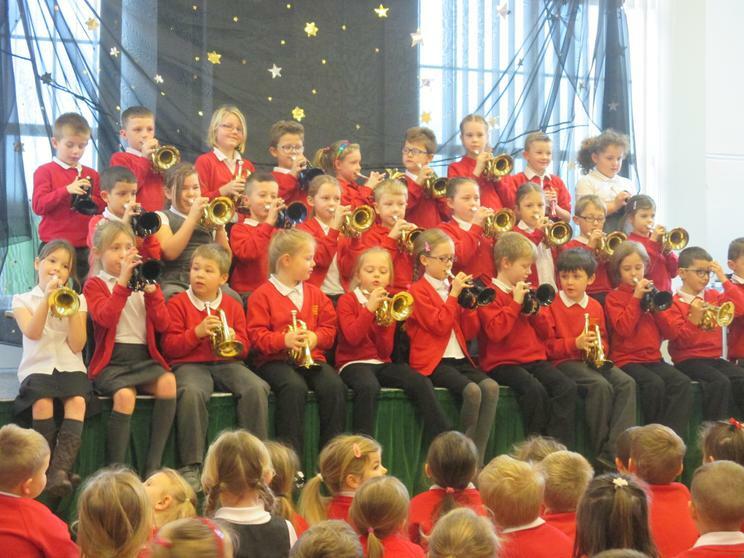 Here are some of our favourites: Big Band Bounce, Easy, Mexican Wave and We Will Rock You. 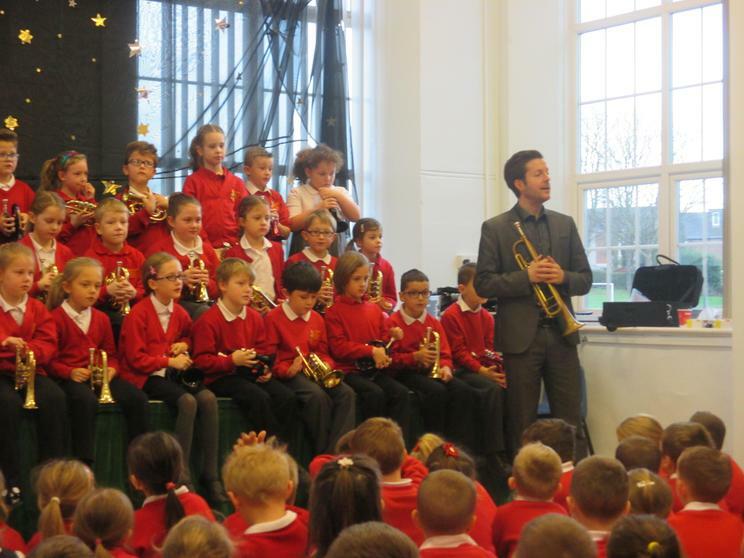 In most of these songs we accompany Mr Rudkin but we have also had the opportunity to perform a solo improvised piece. 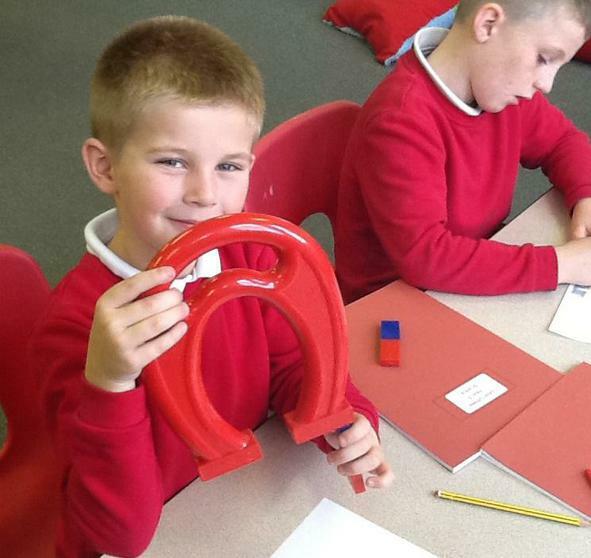 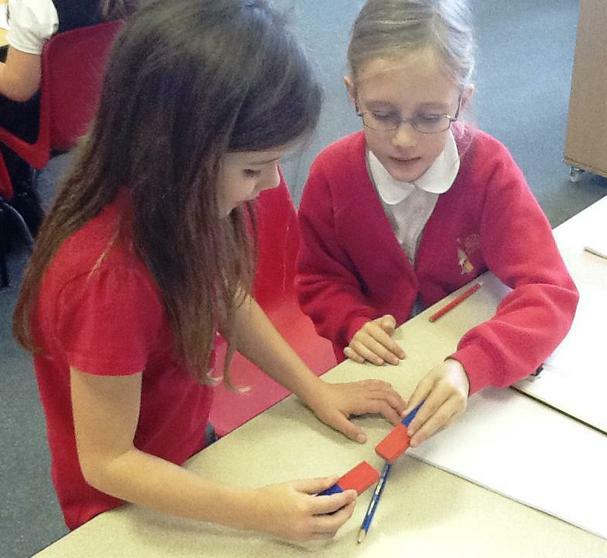 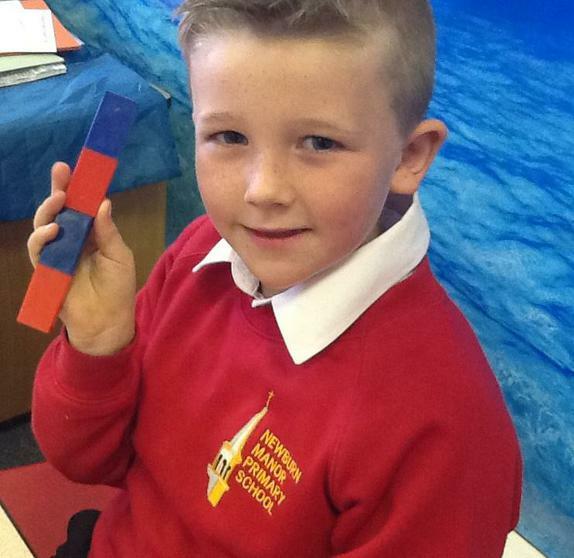 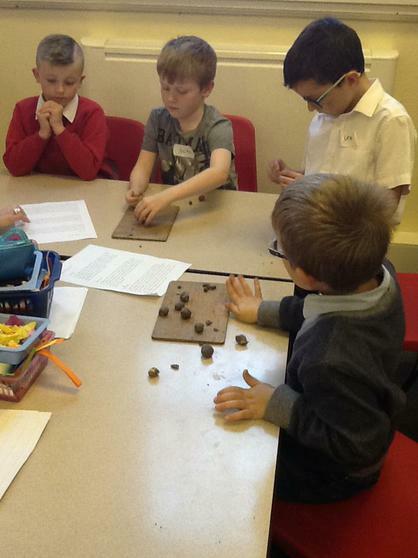 In Science, we have been investigating different types of magnets and learning about the north and south poles. 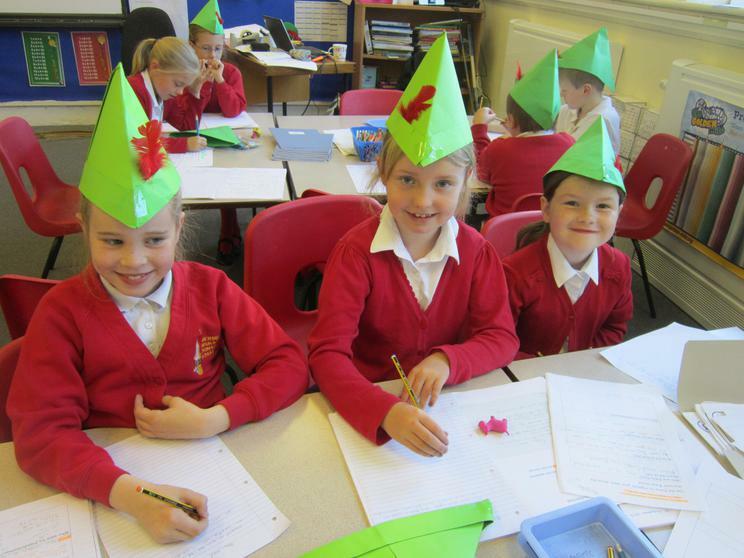 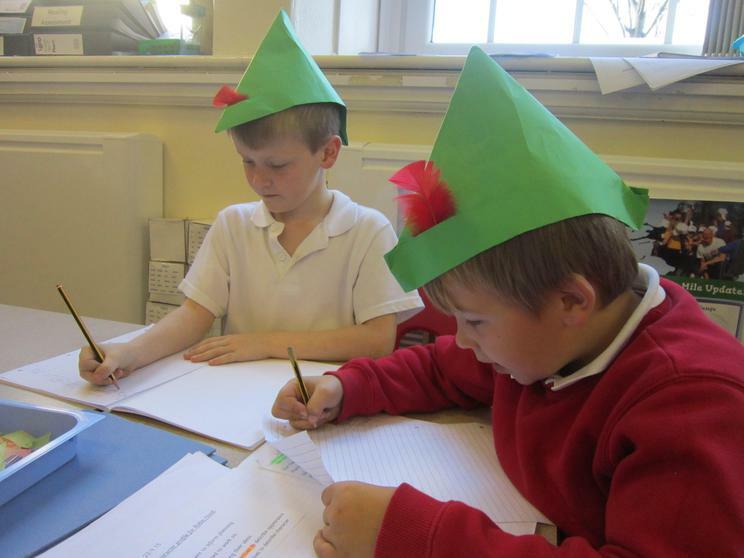 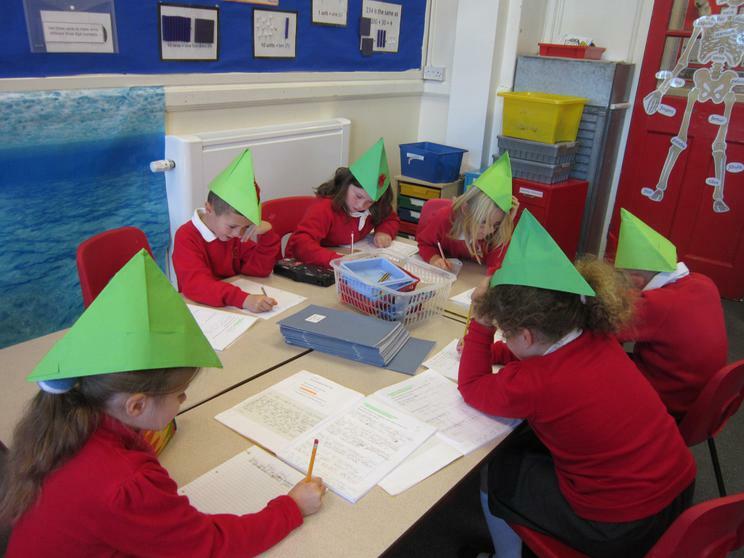 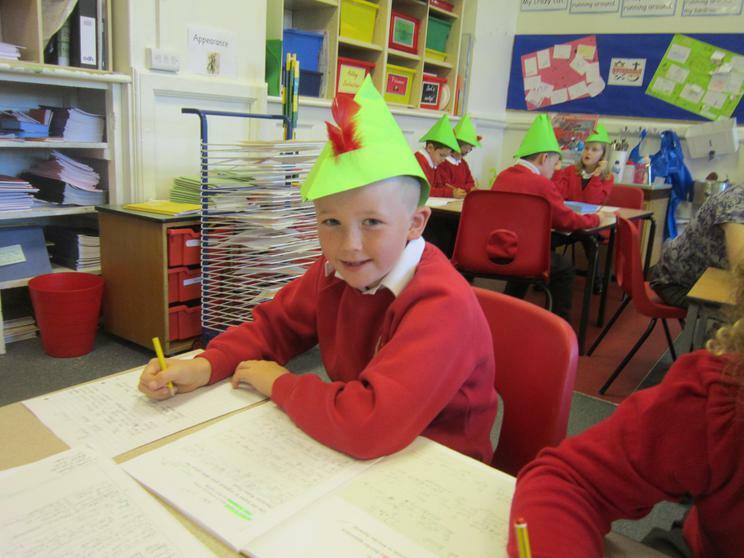 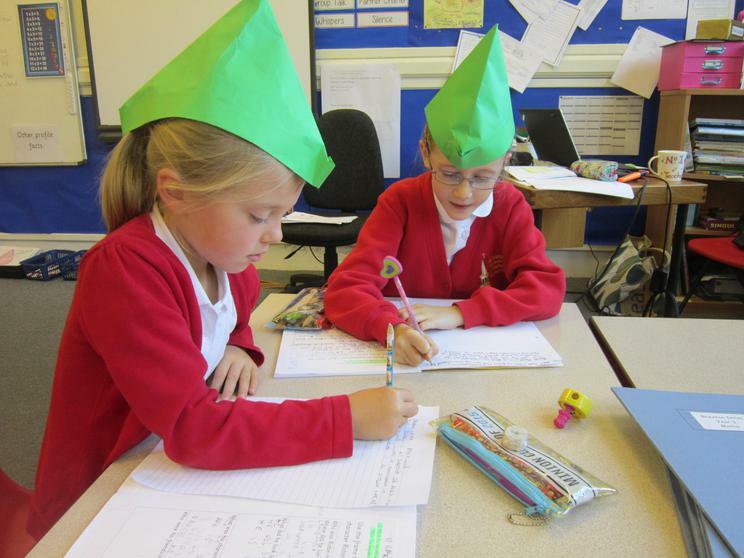 Children in Year 3 have been producing some amazing writing based on the legend of Robin Hood.